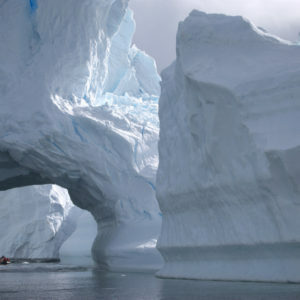 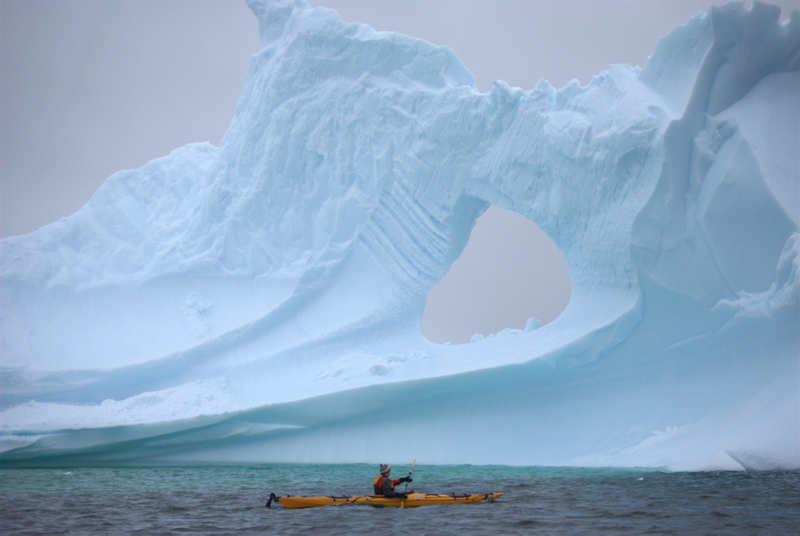 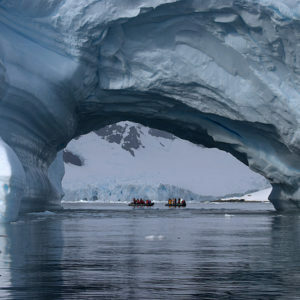 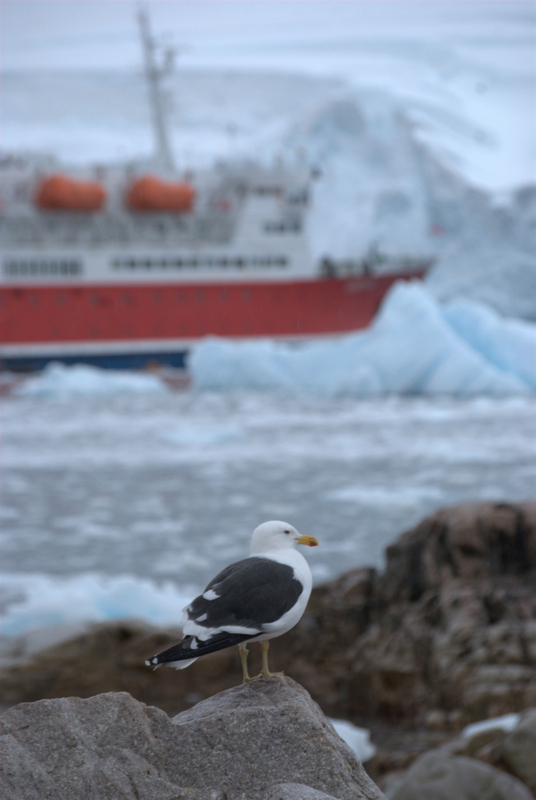 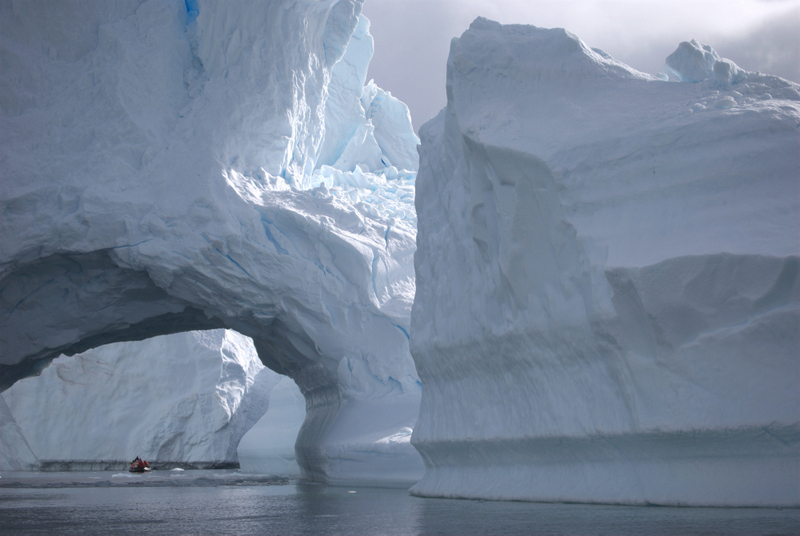 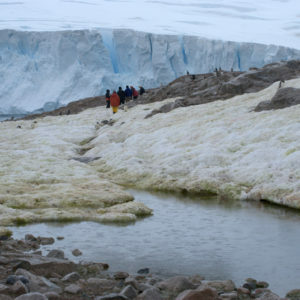 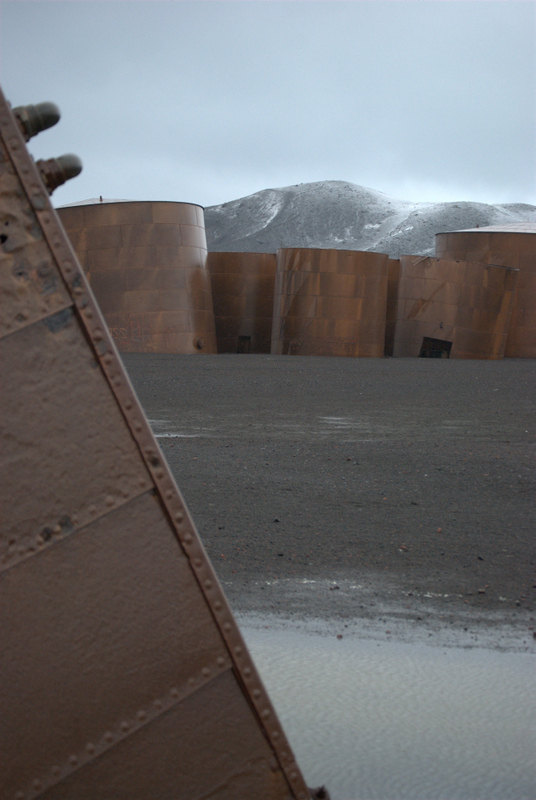 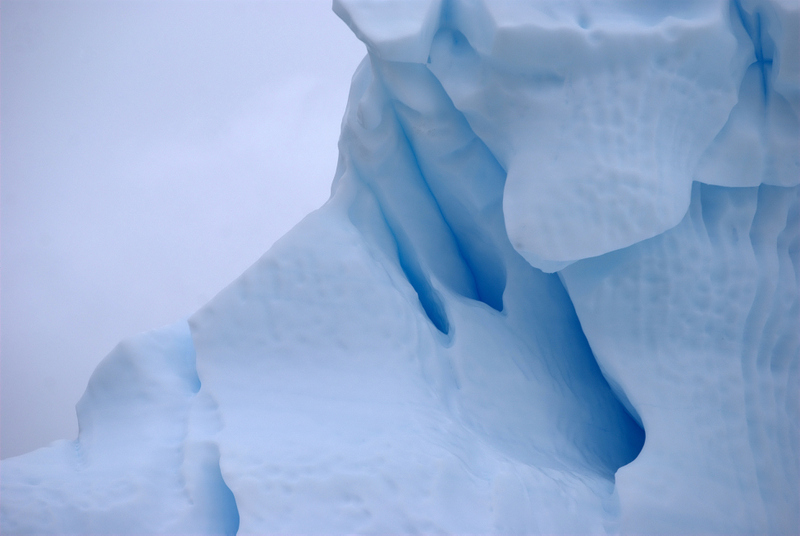 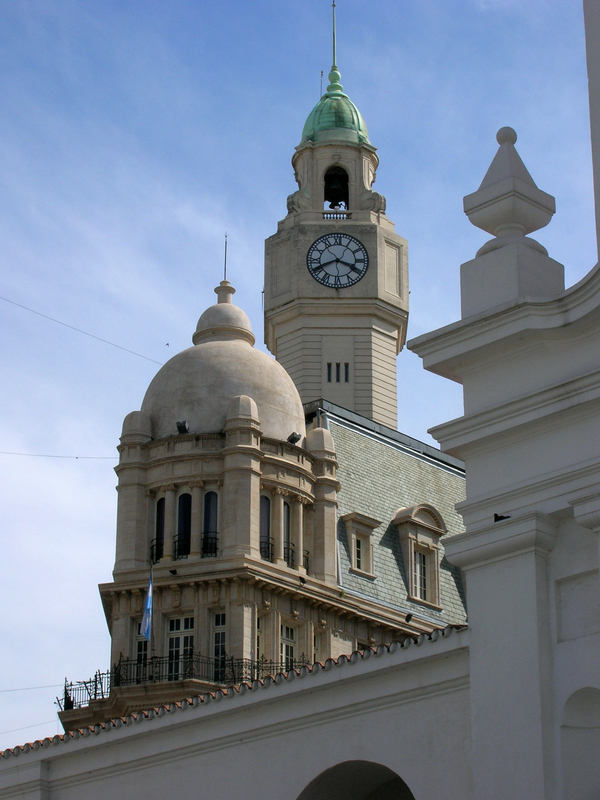 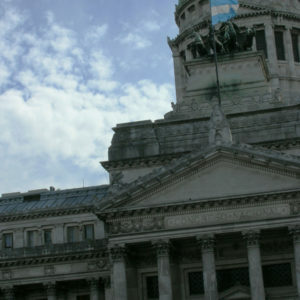 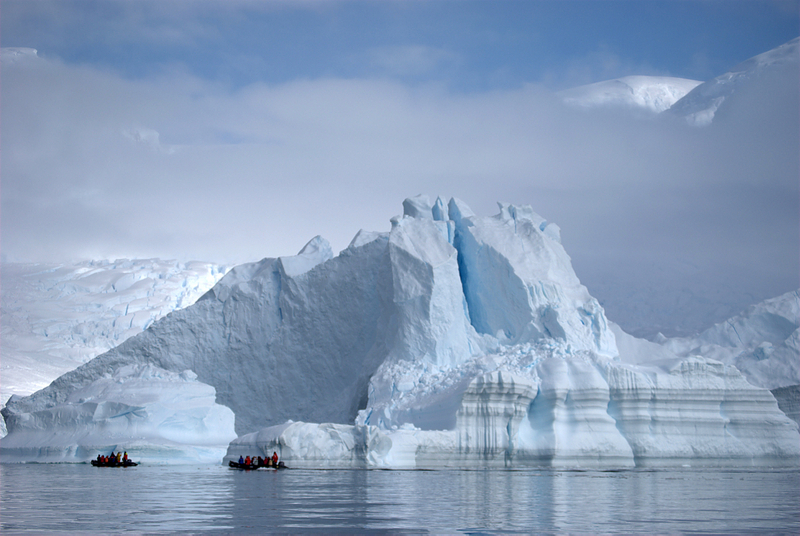 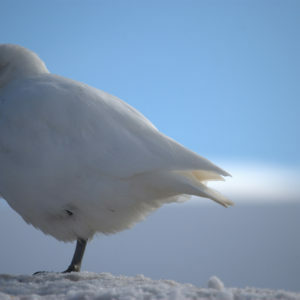 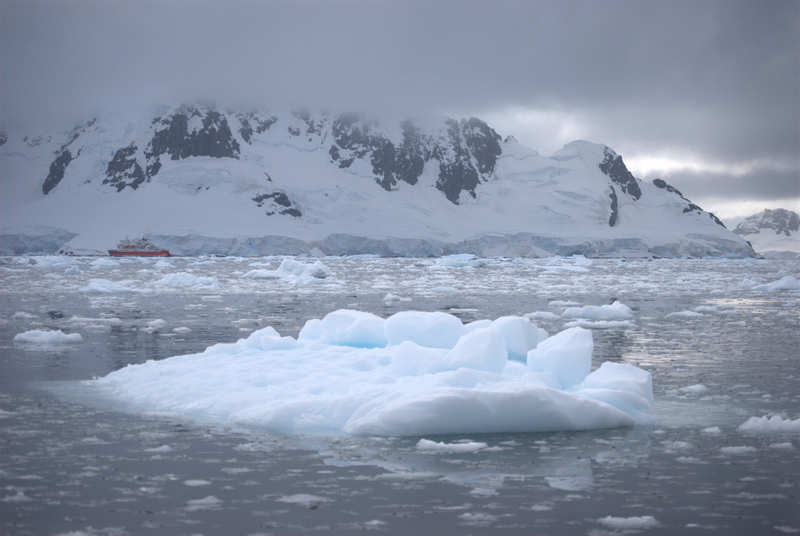 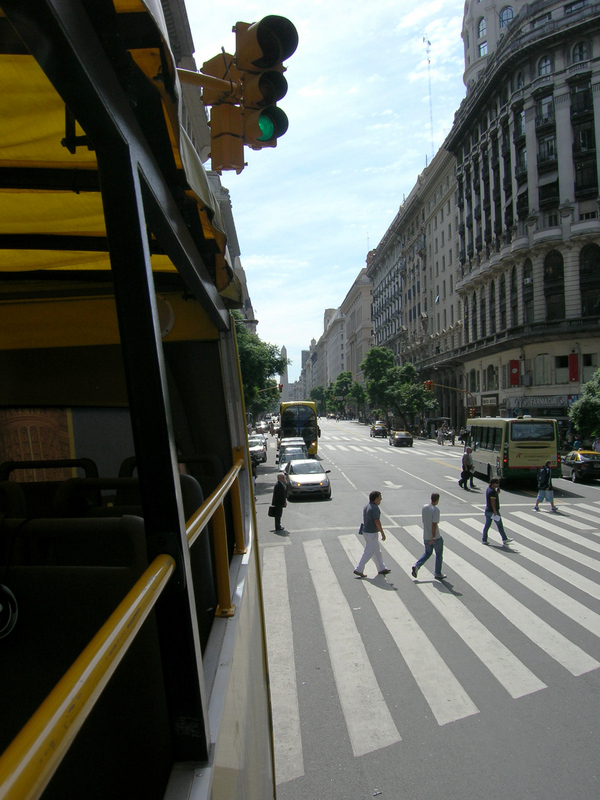 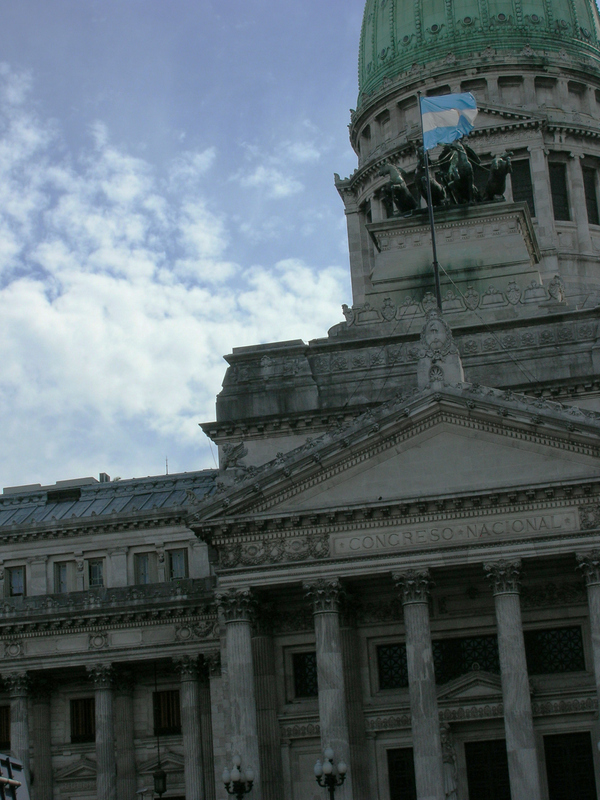 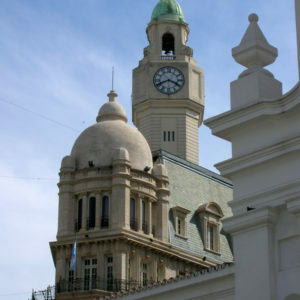 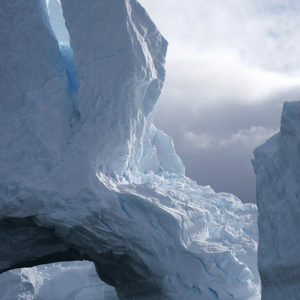 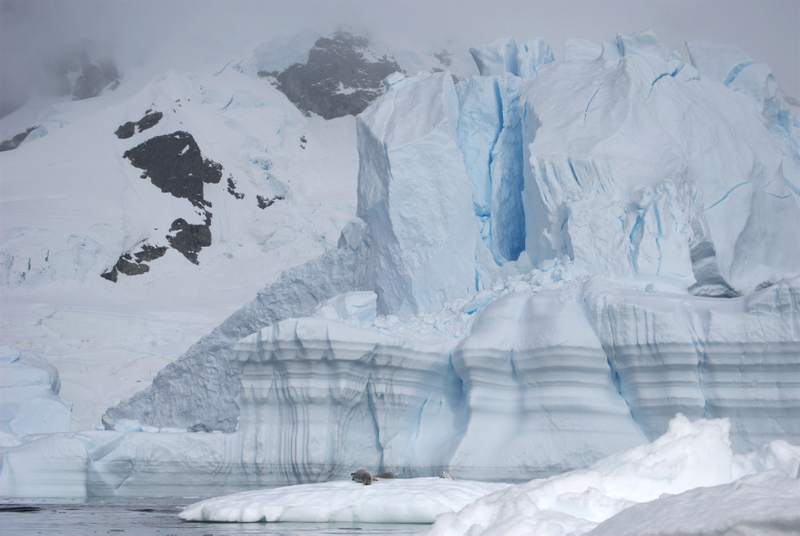 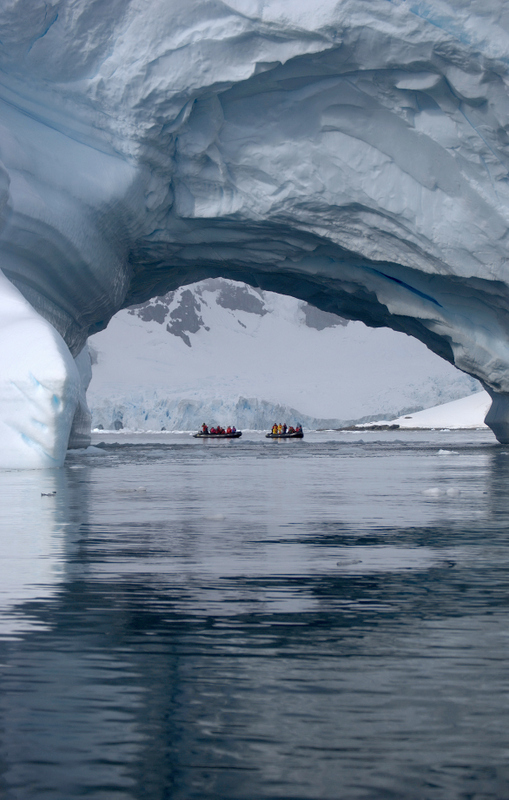 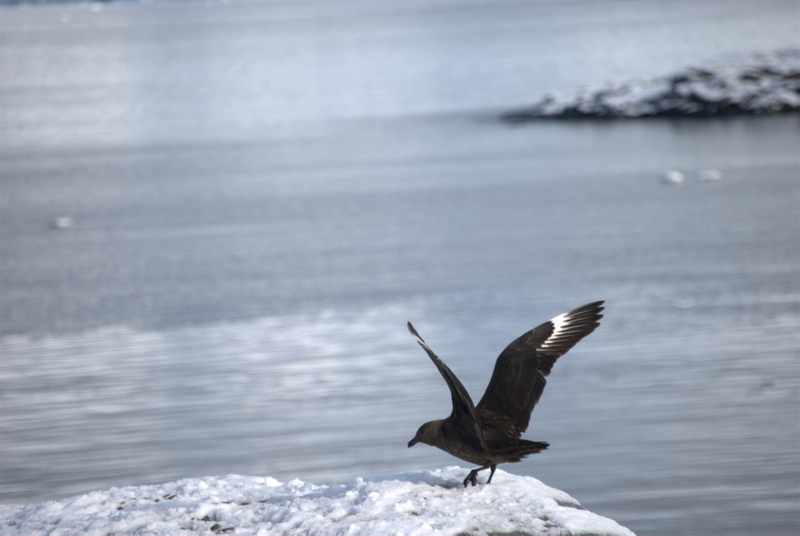 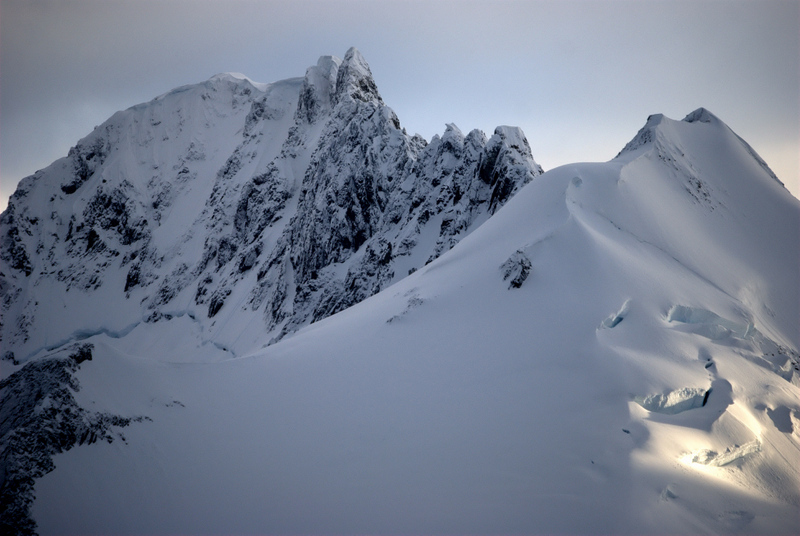 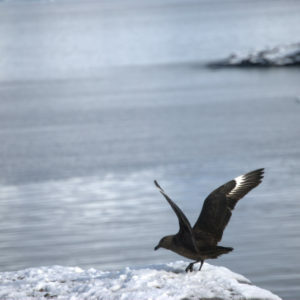 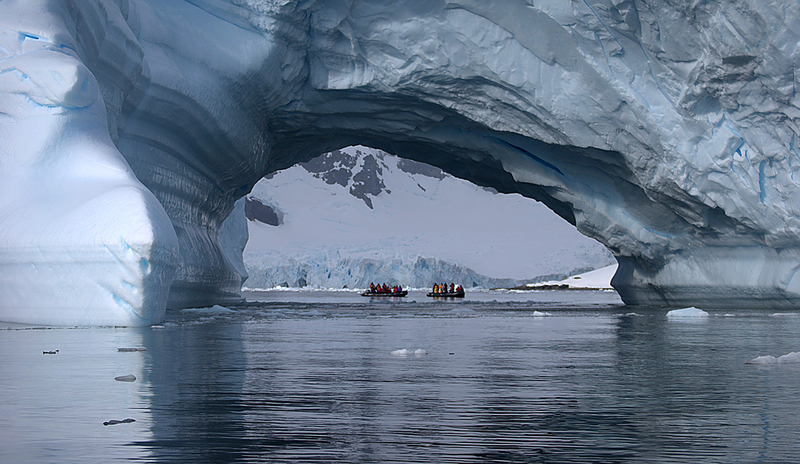 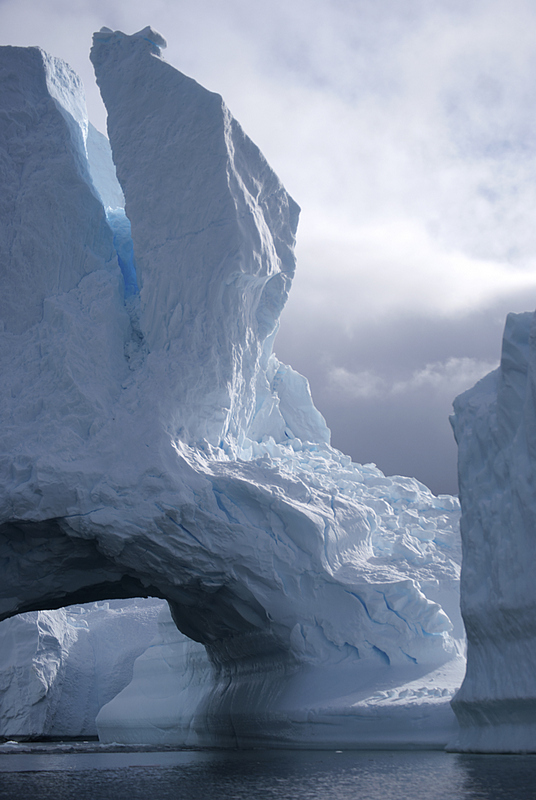 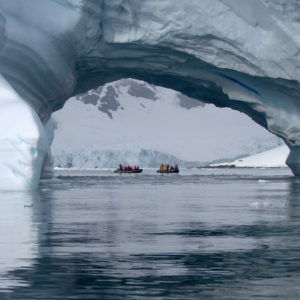 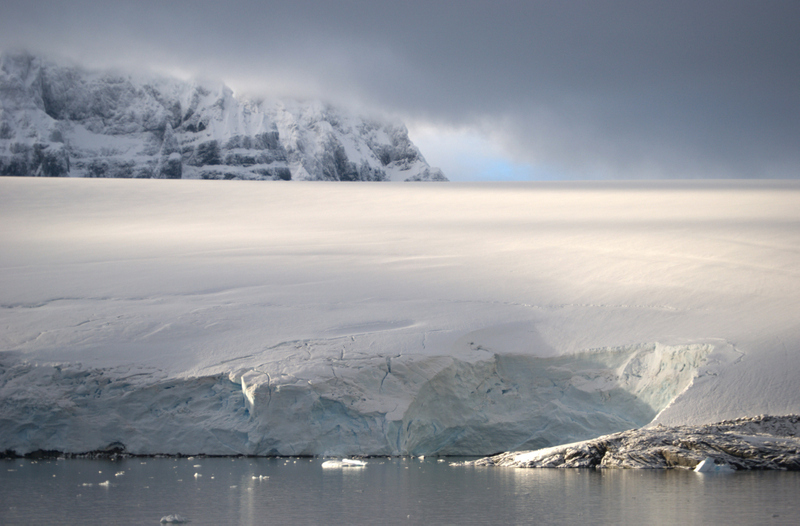 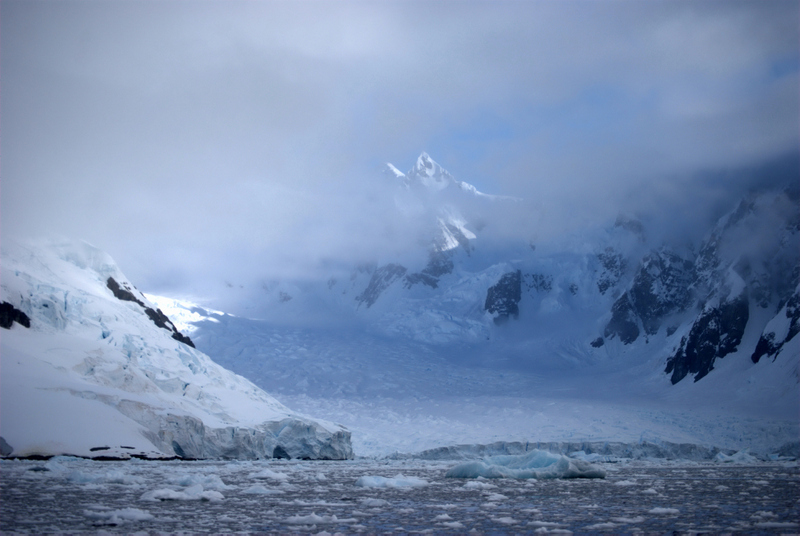 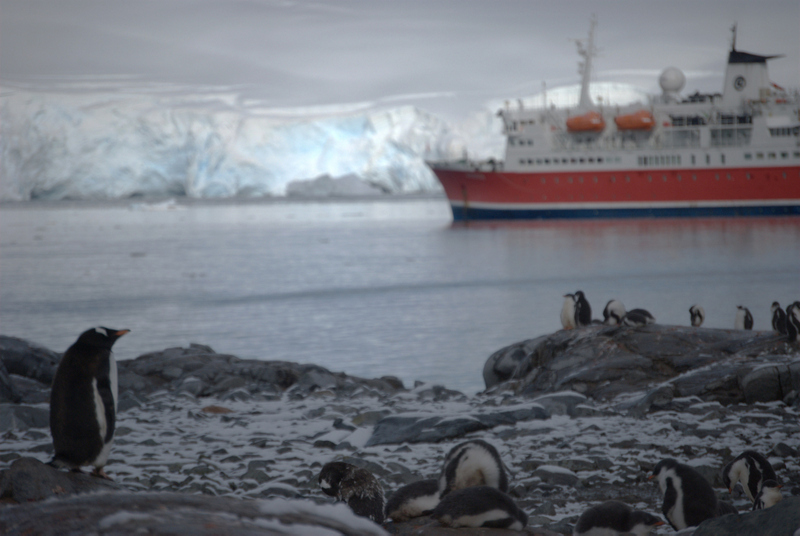 My Antarctica adventure started out from Boston, stopping through Buenos Aires and Patagonia, then crossing turbulent Drake Passage to the Antarctic islands. 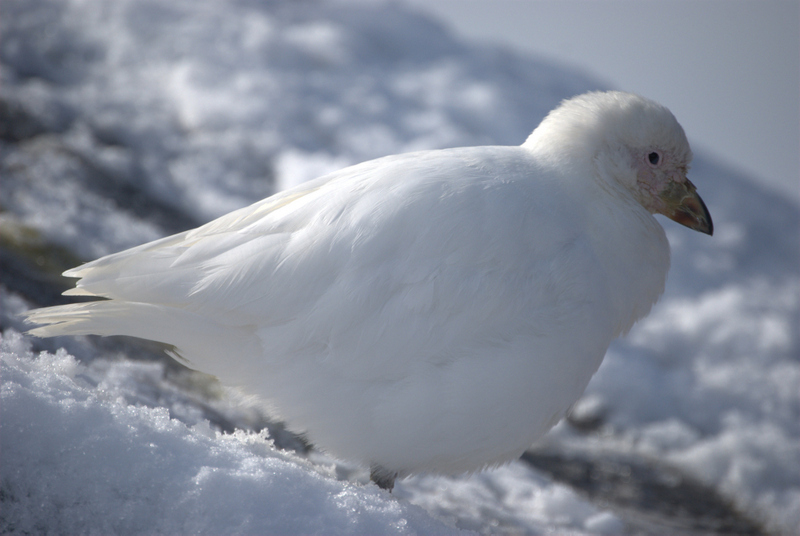 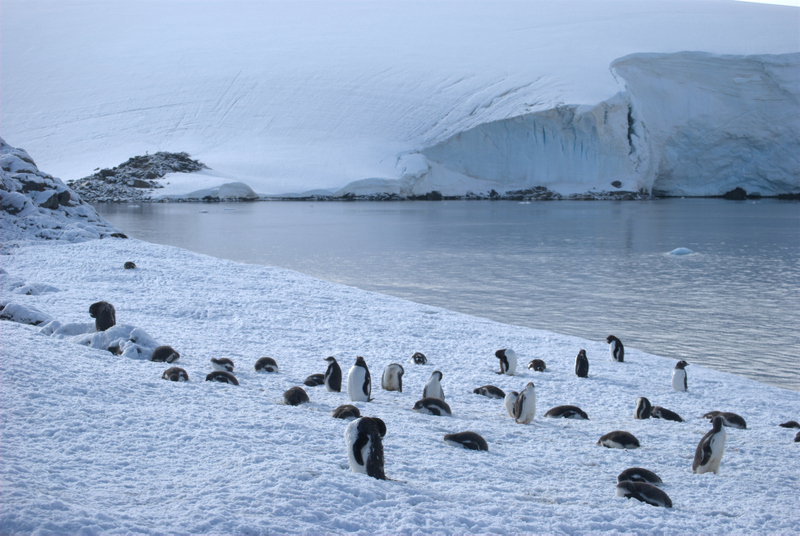 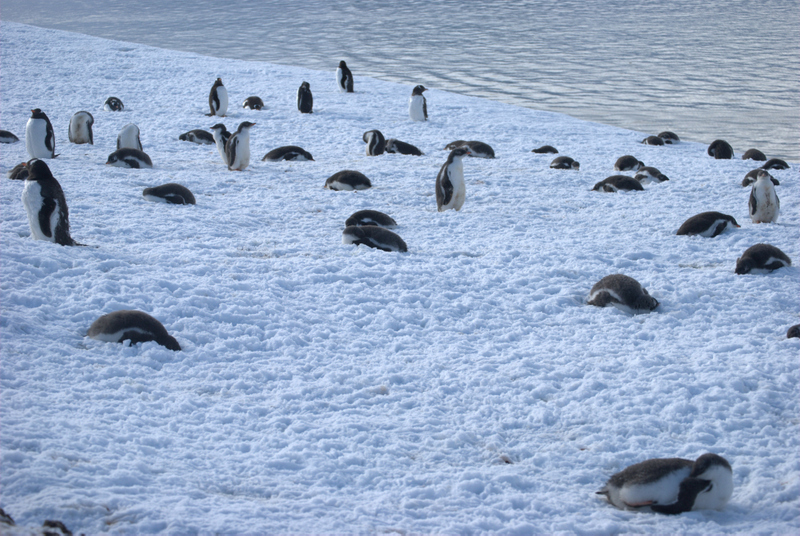 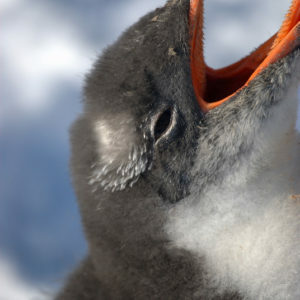 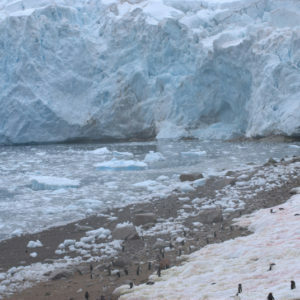 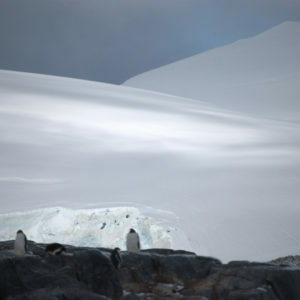 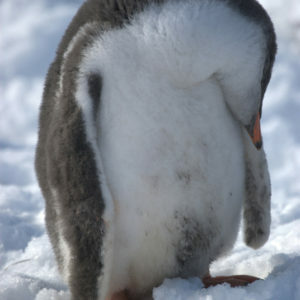 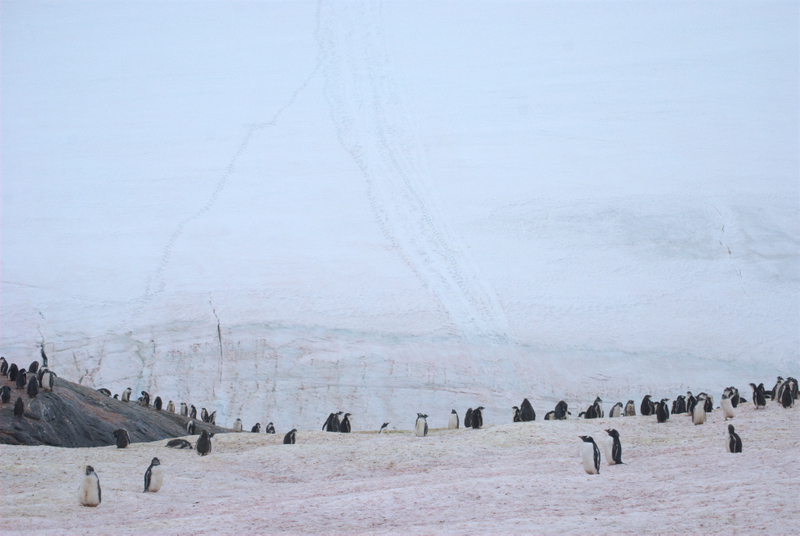 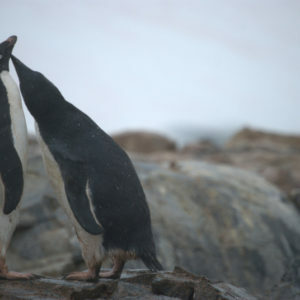 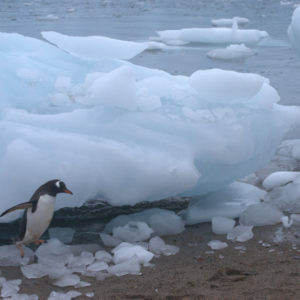 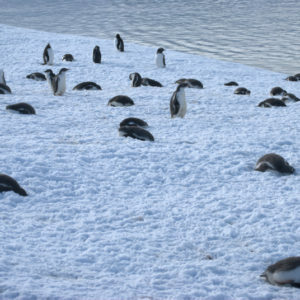 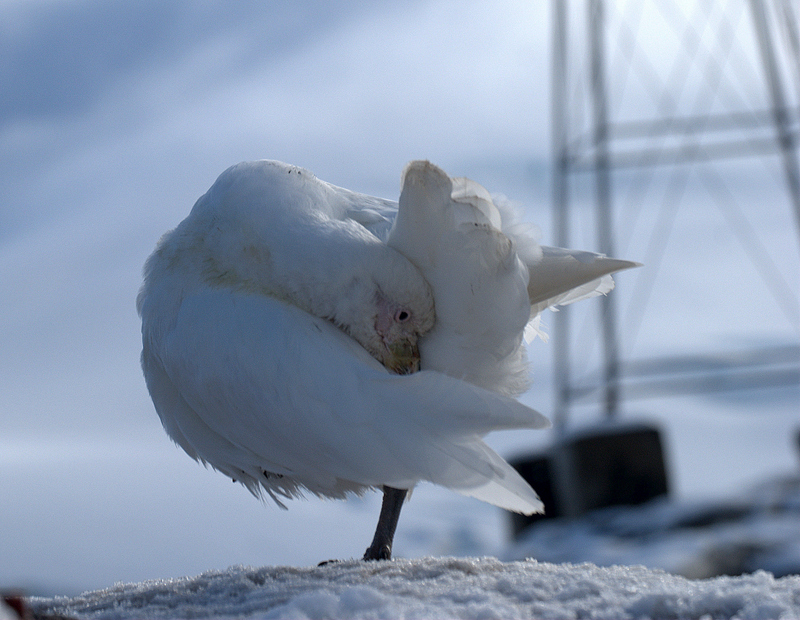 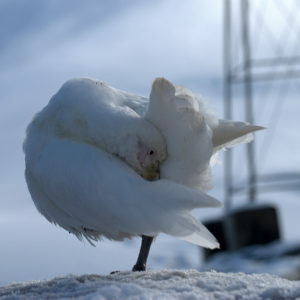 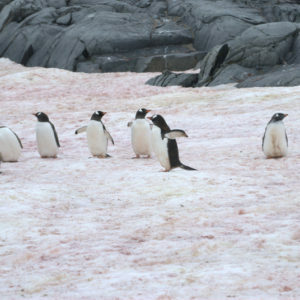 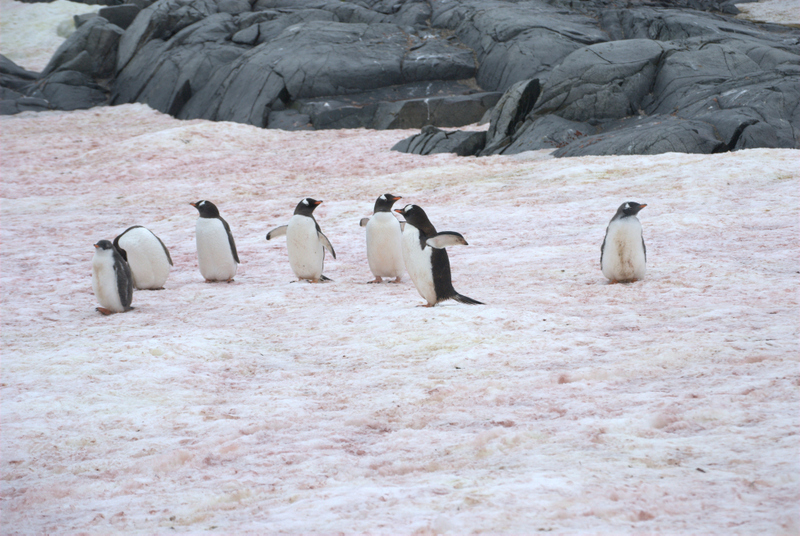 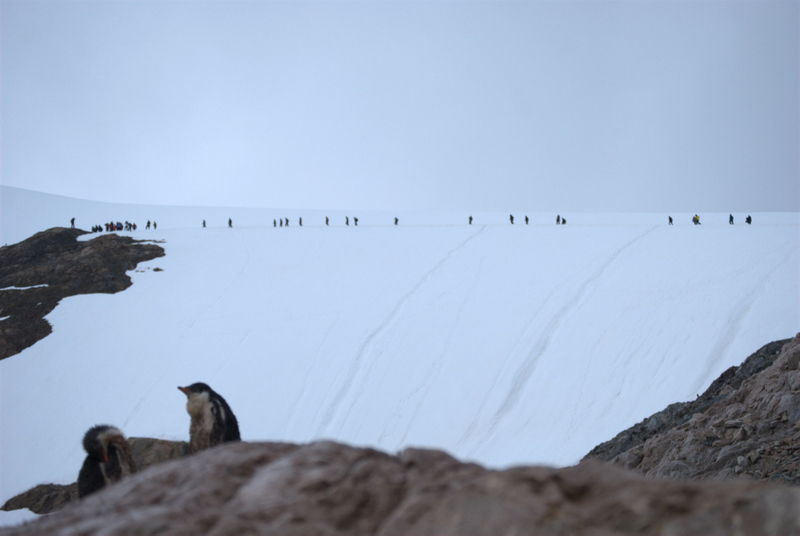 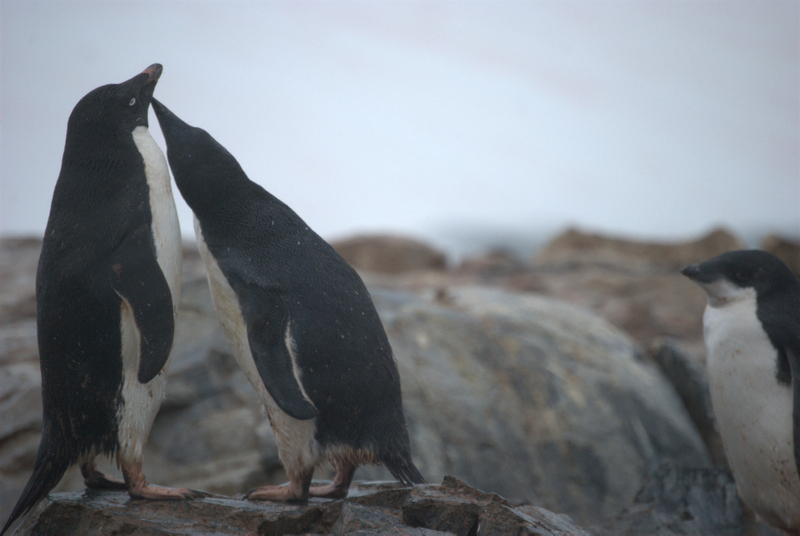 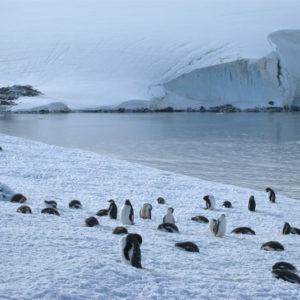 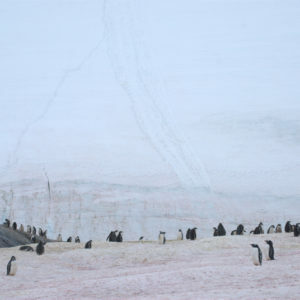 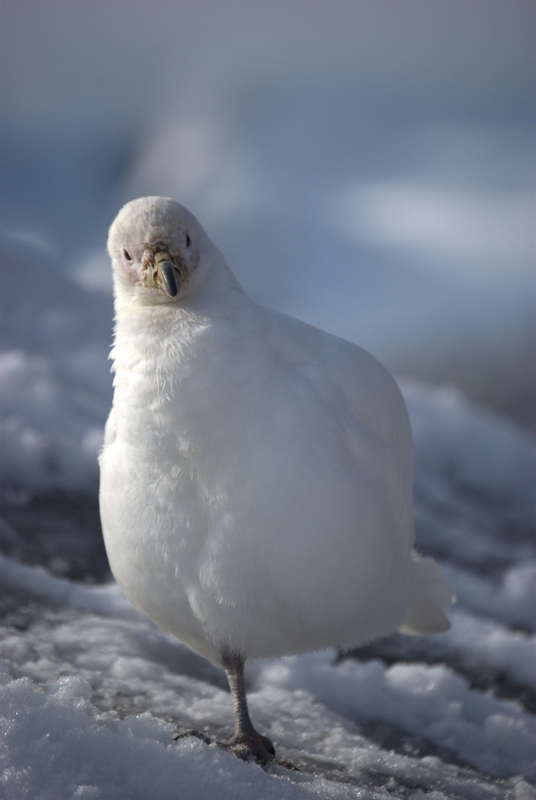 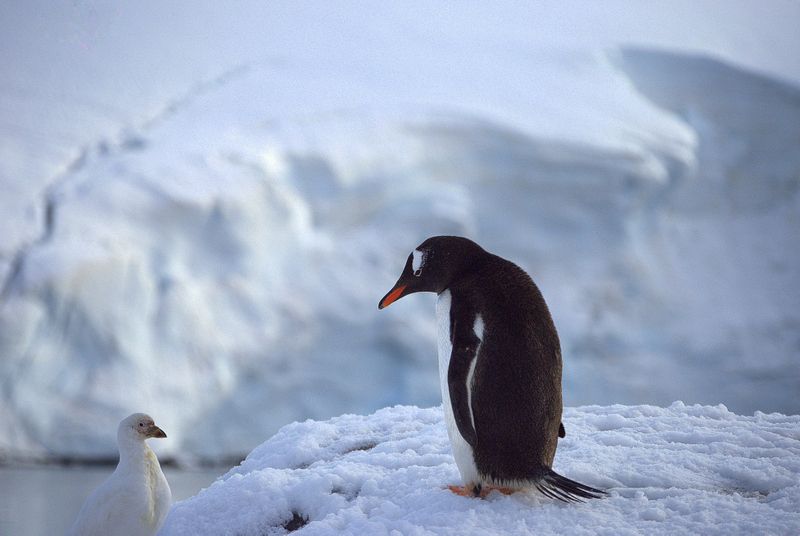 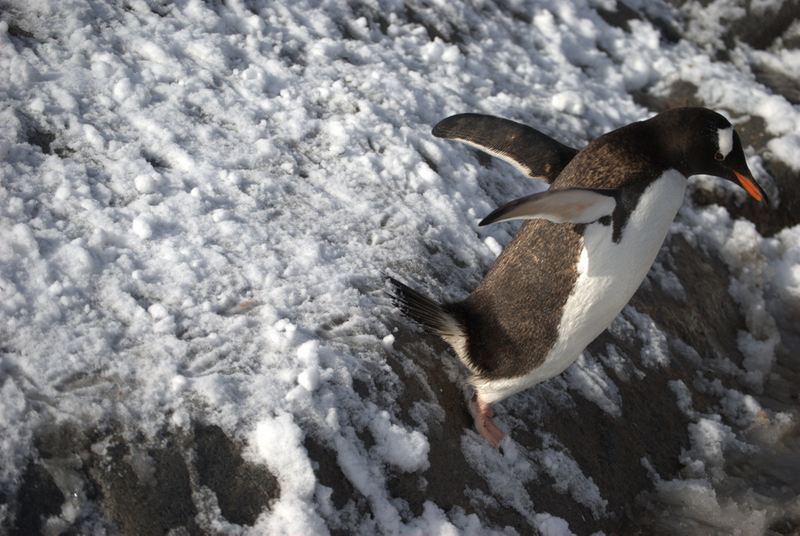 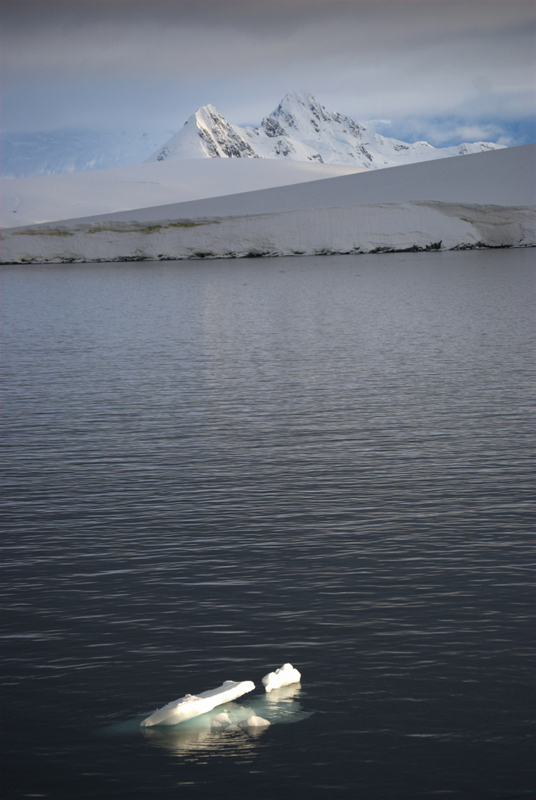 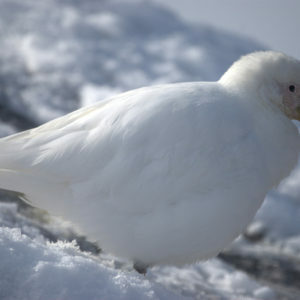 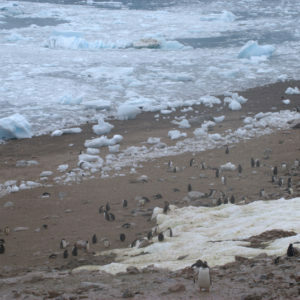 It was penguin breeding season and summer in Antarctica. 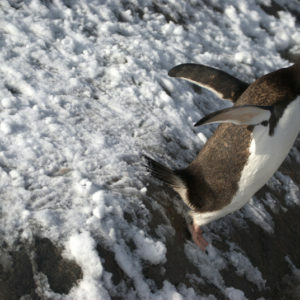 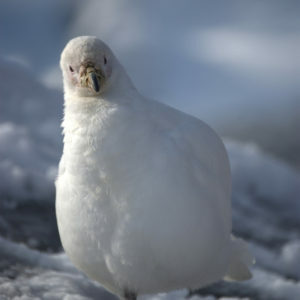 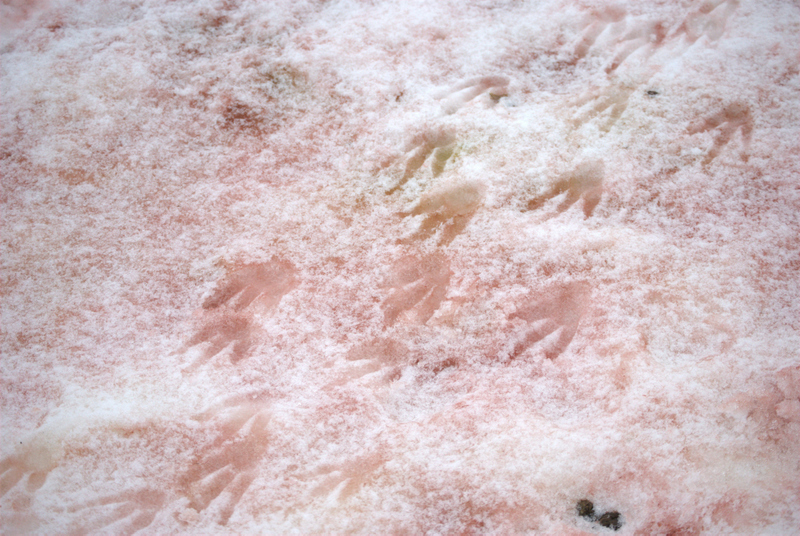 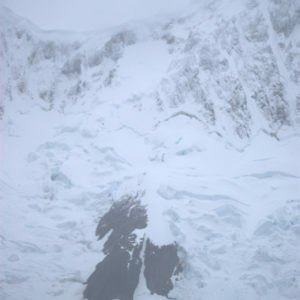 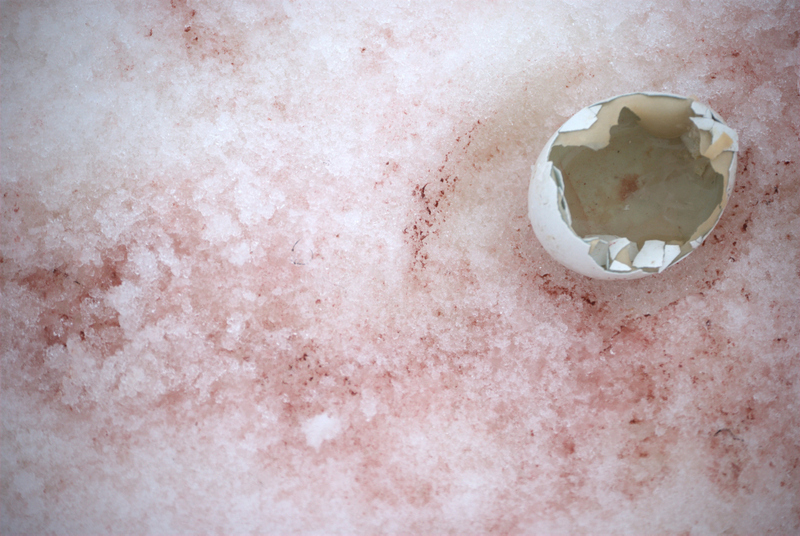 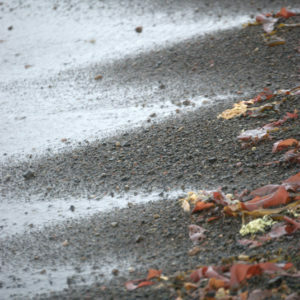 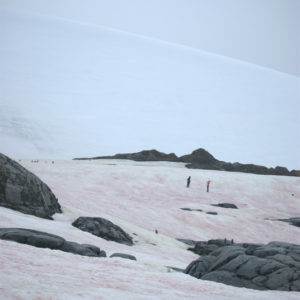 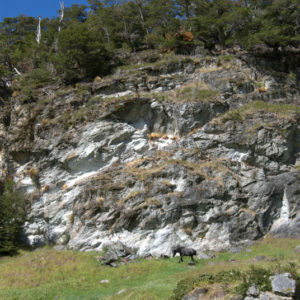 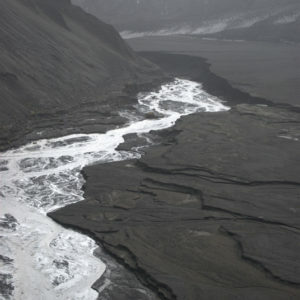 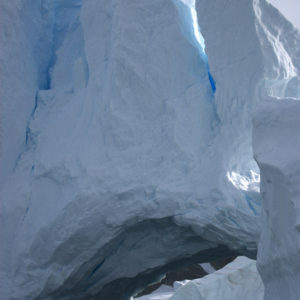 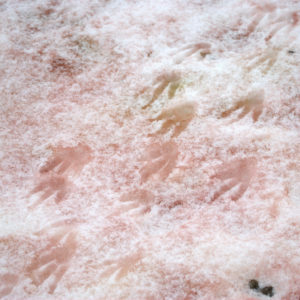 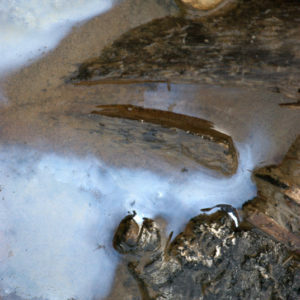 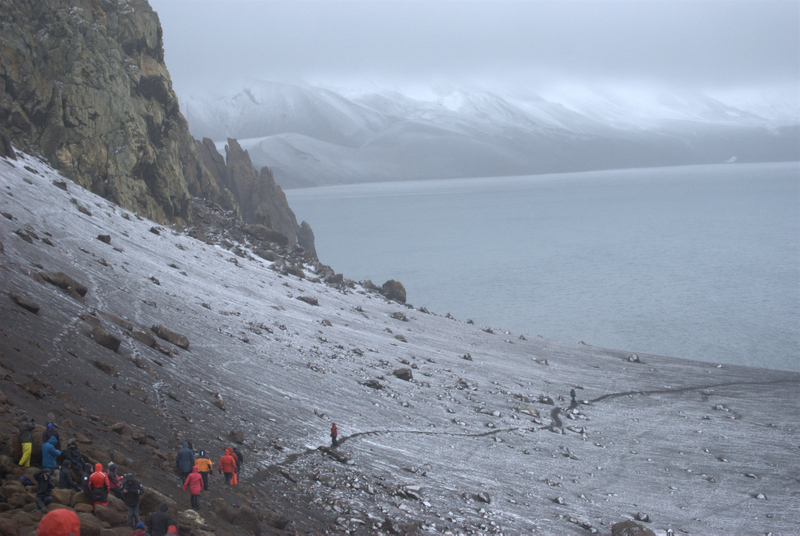 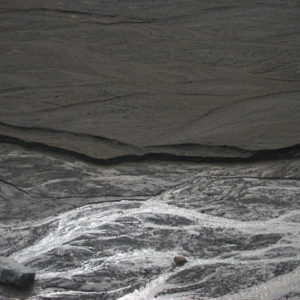 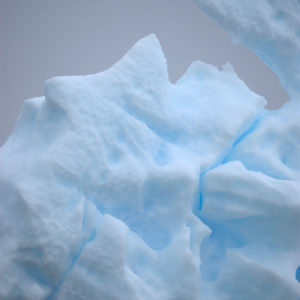 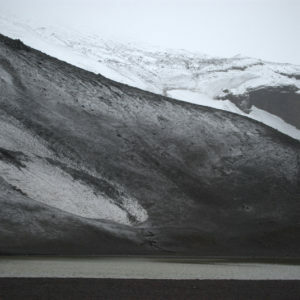 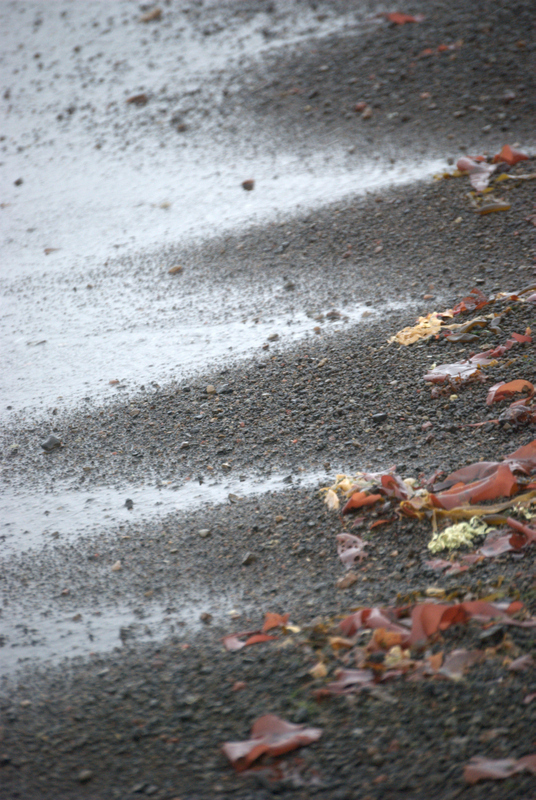 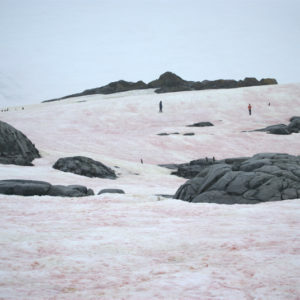 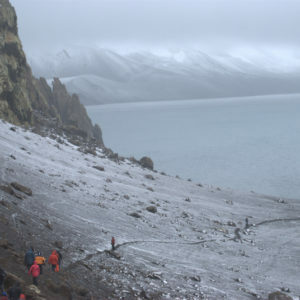 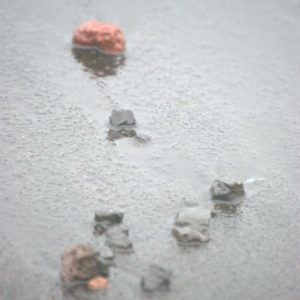 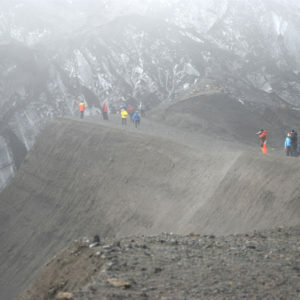 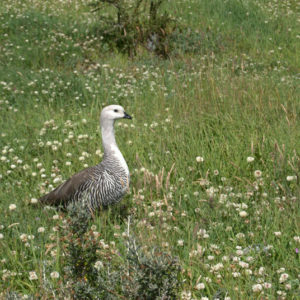 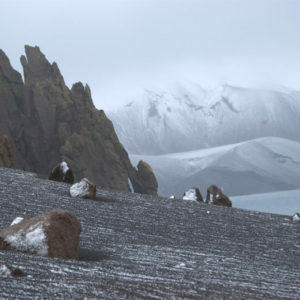 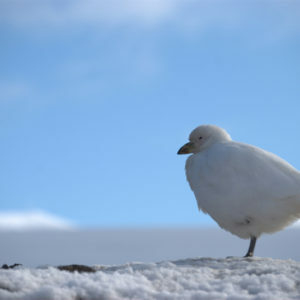 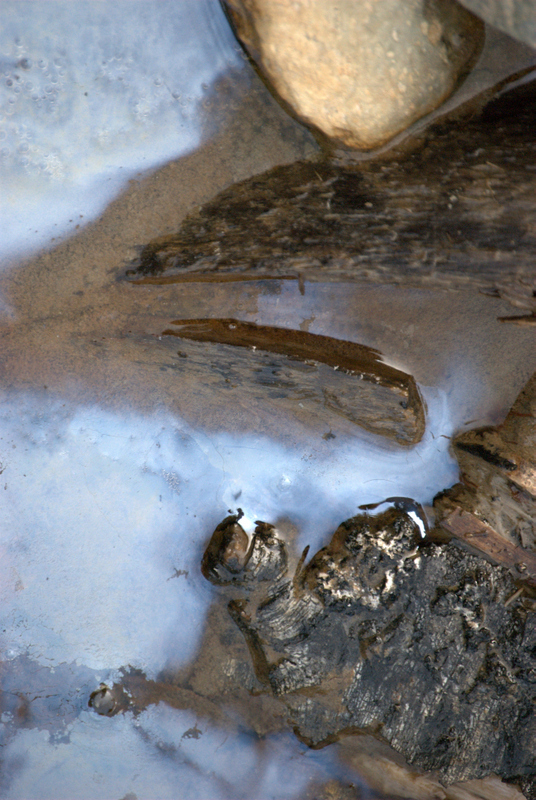 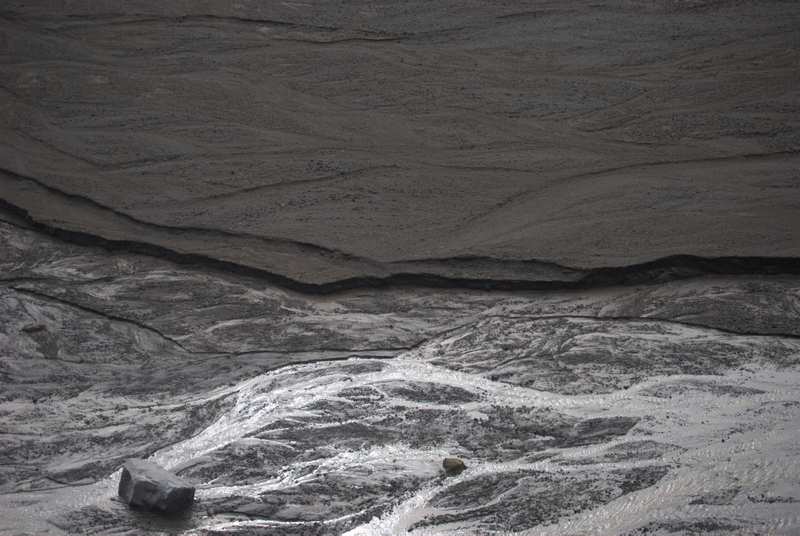 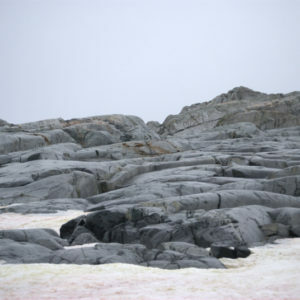 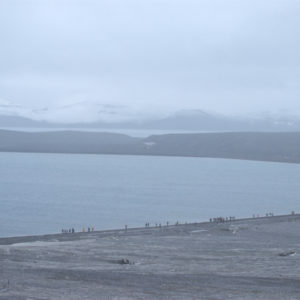 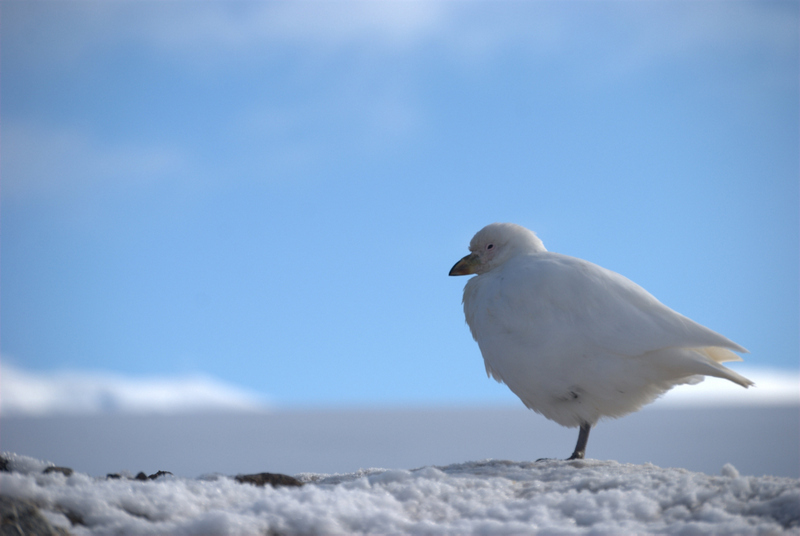 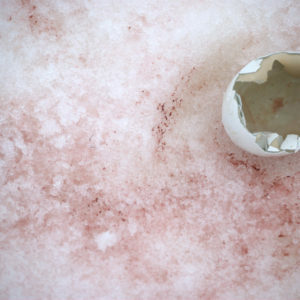 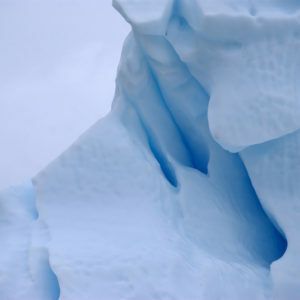 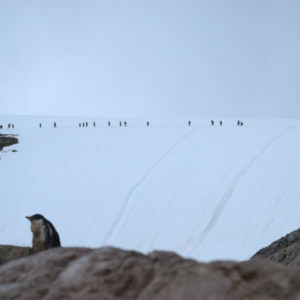 I could see the eggs, migration trails and penguins molting. 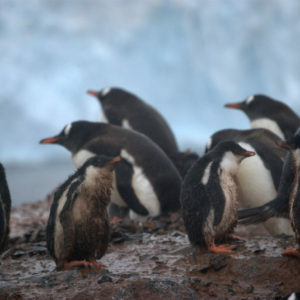 The penguins looked mischievous and were quite inquisitive, not even shy to come right up to inspect people. 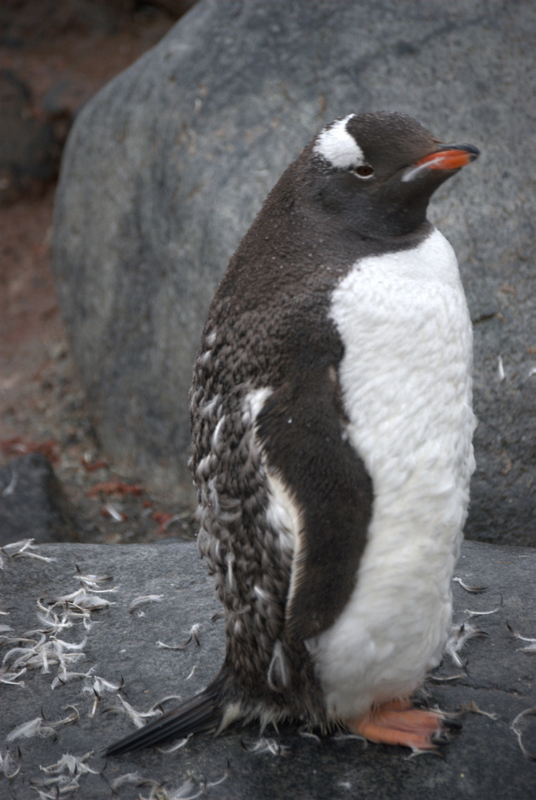 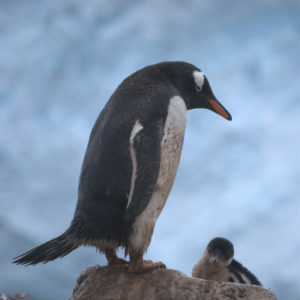 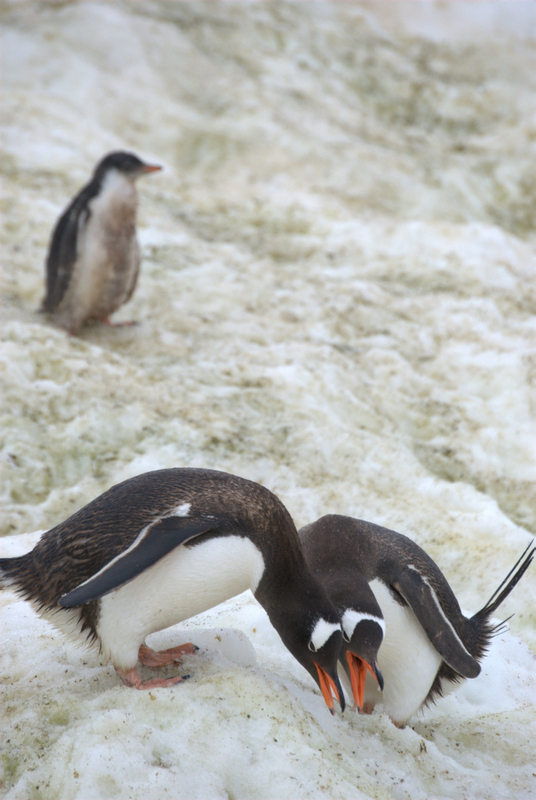 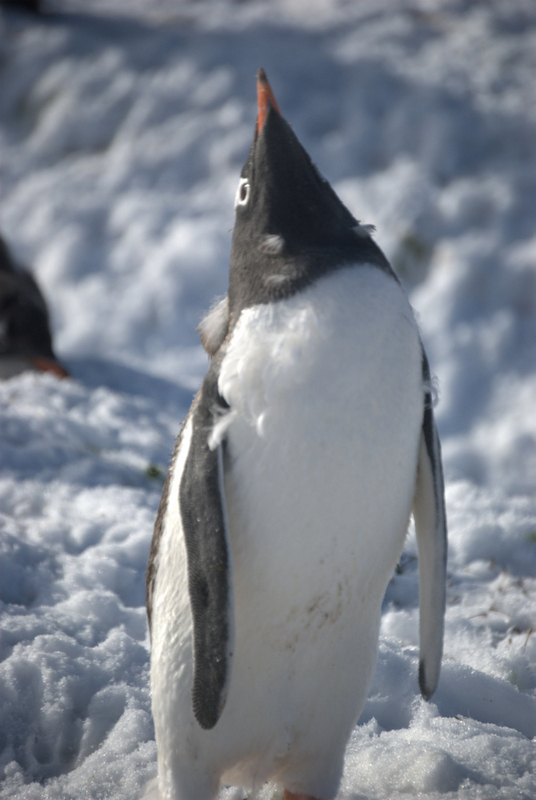 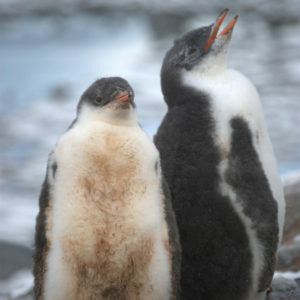 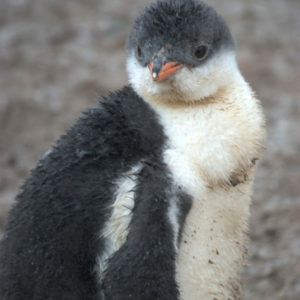 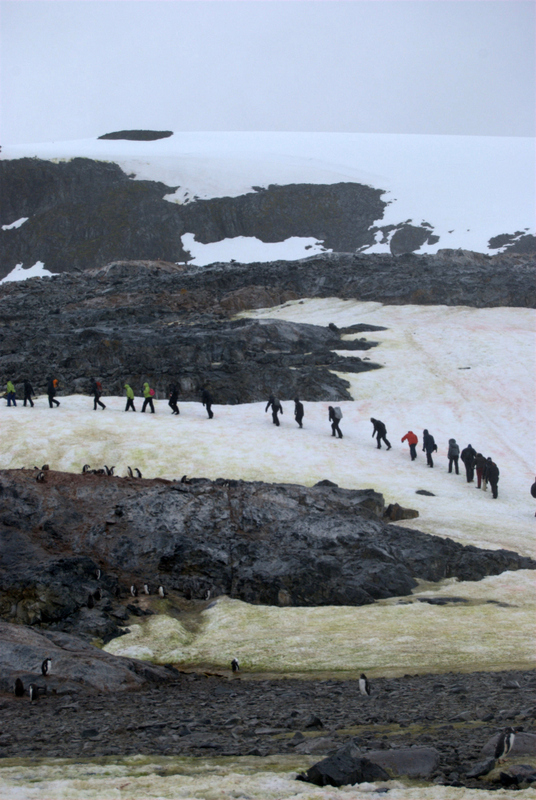 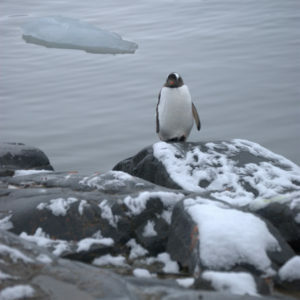 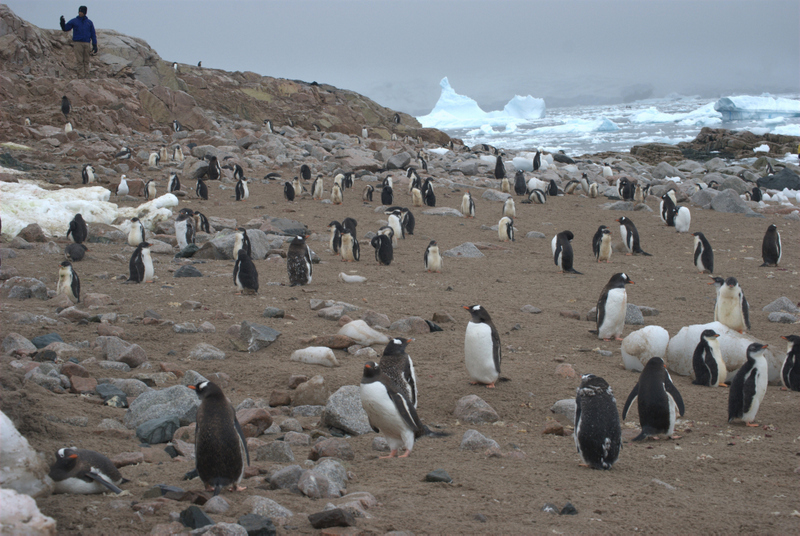 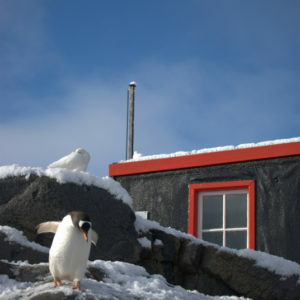 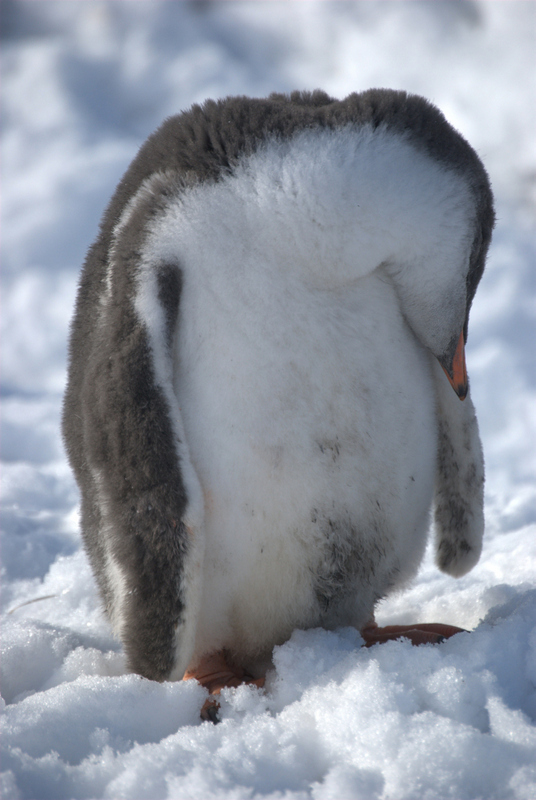 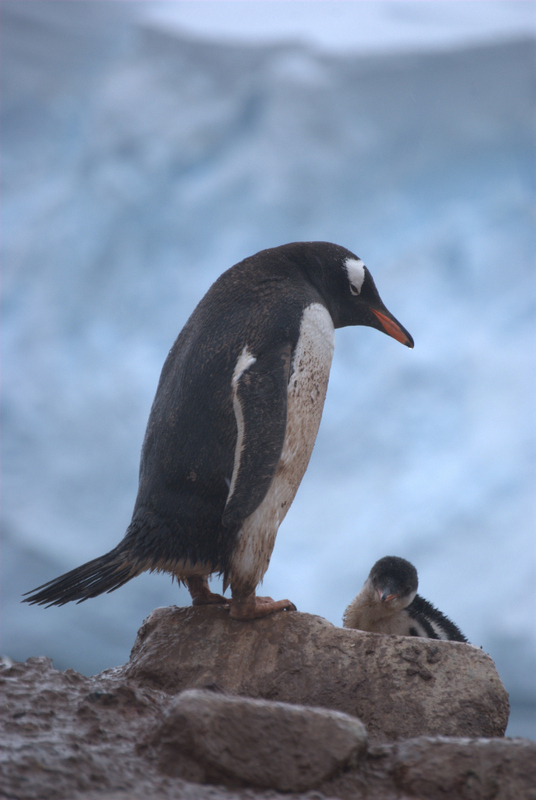 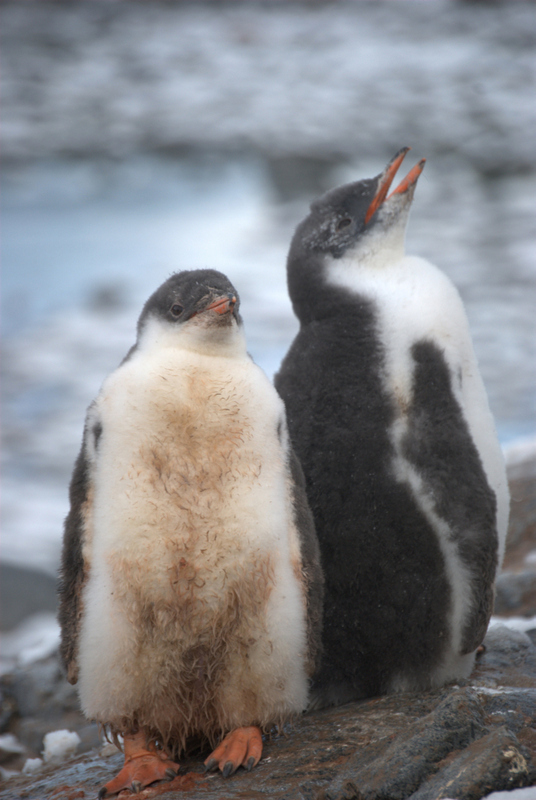 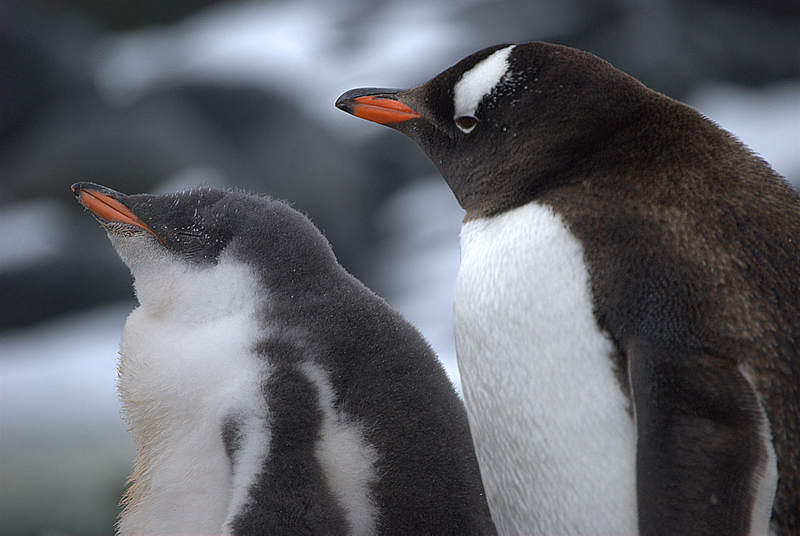 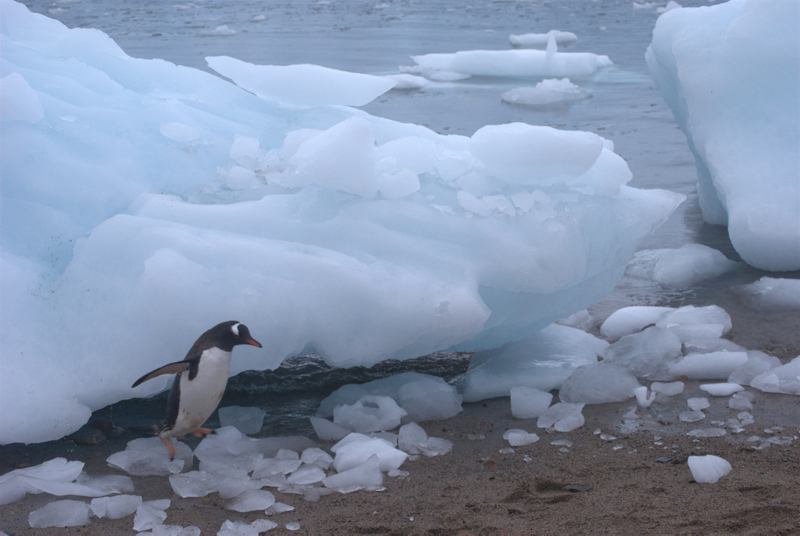 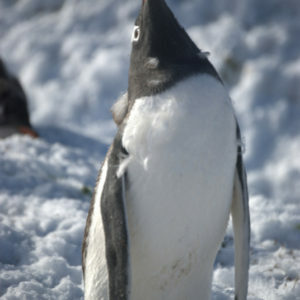 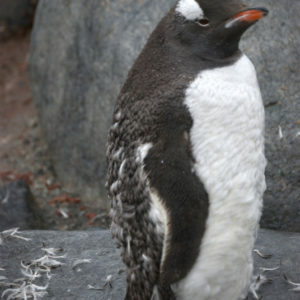 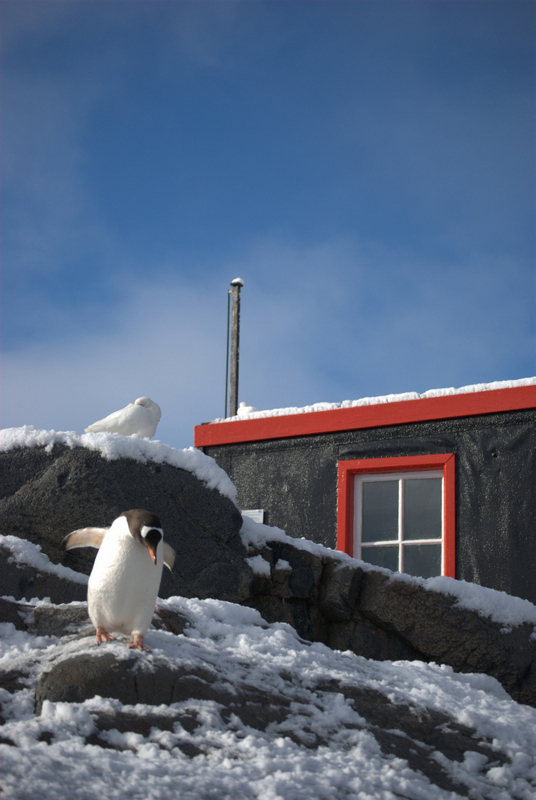 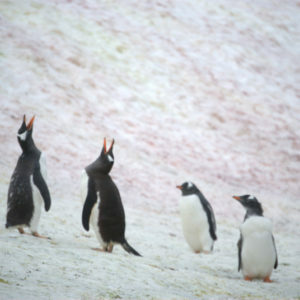 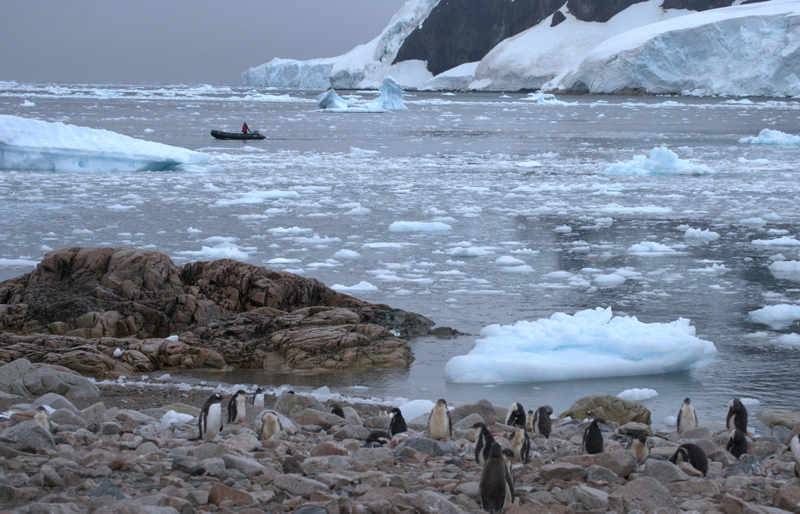 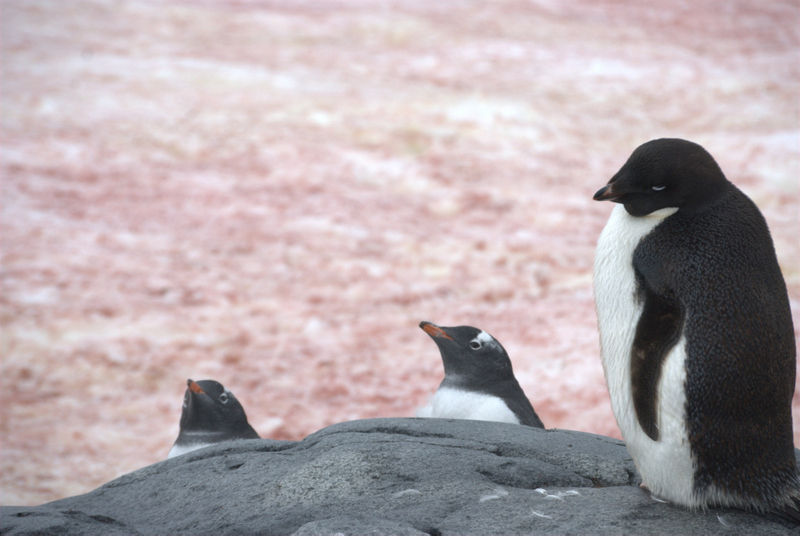 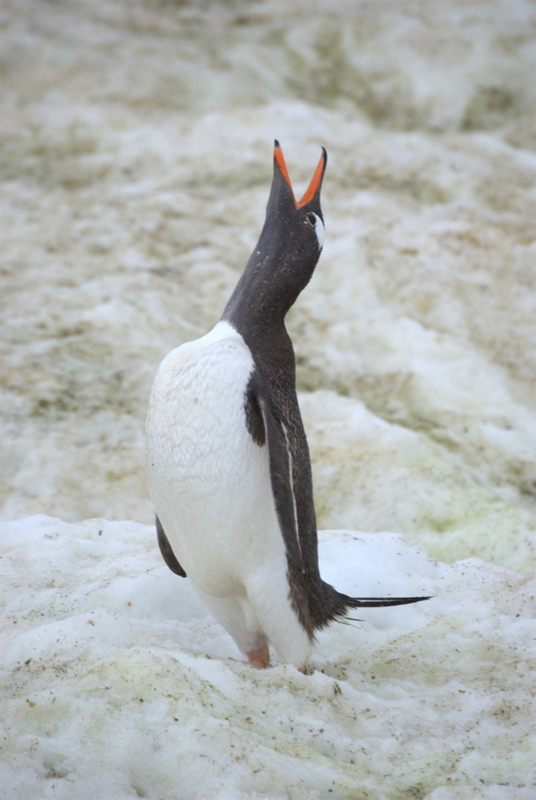 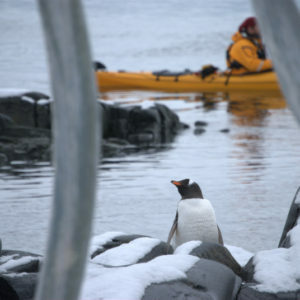 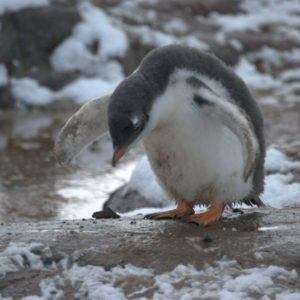 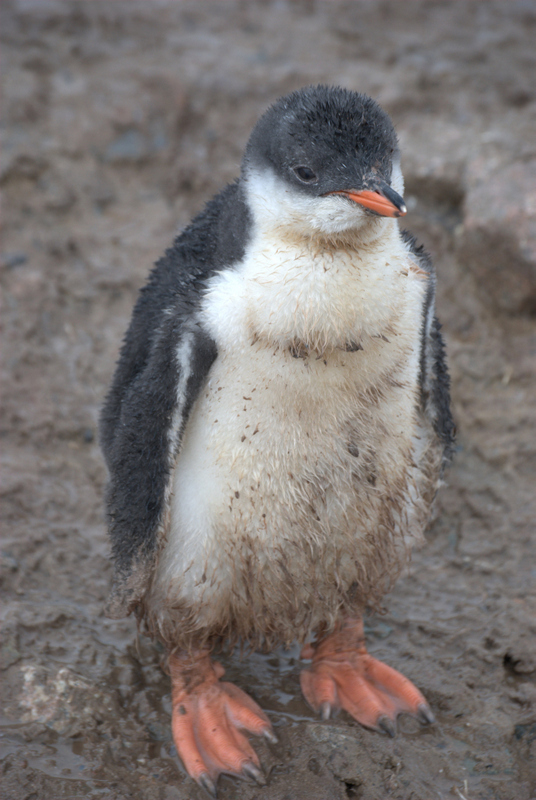 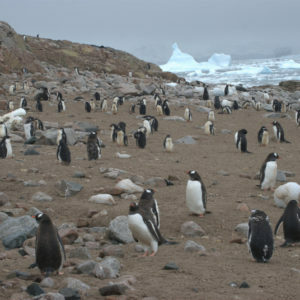 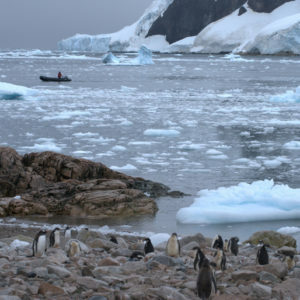 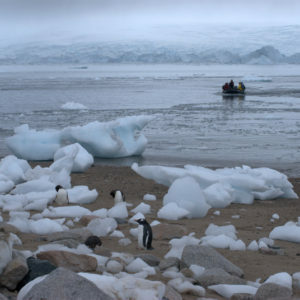 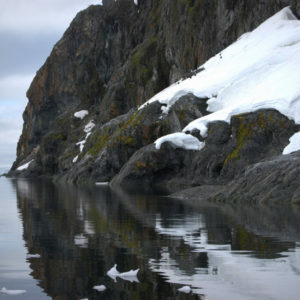 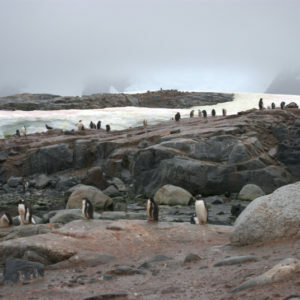 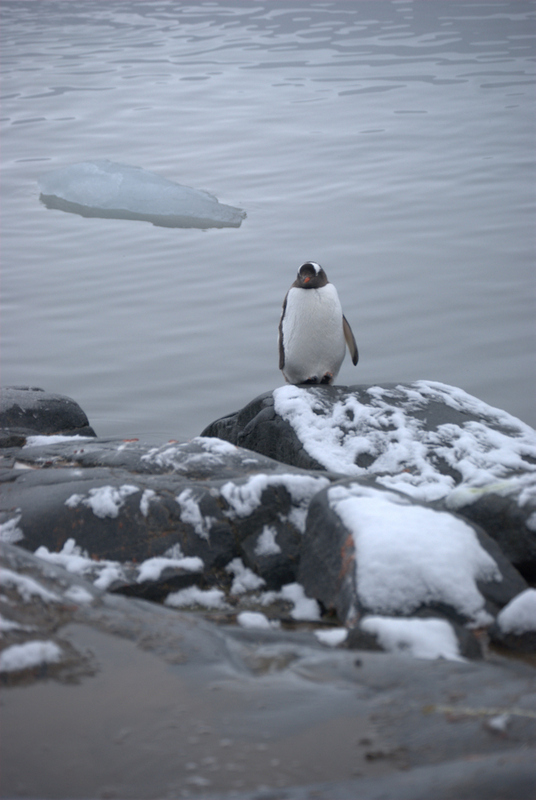 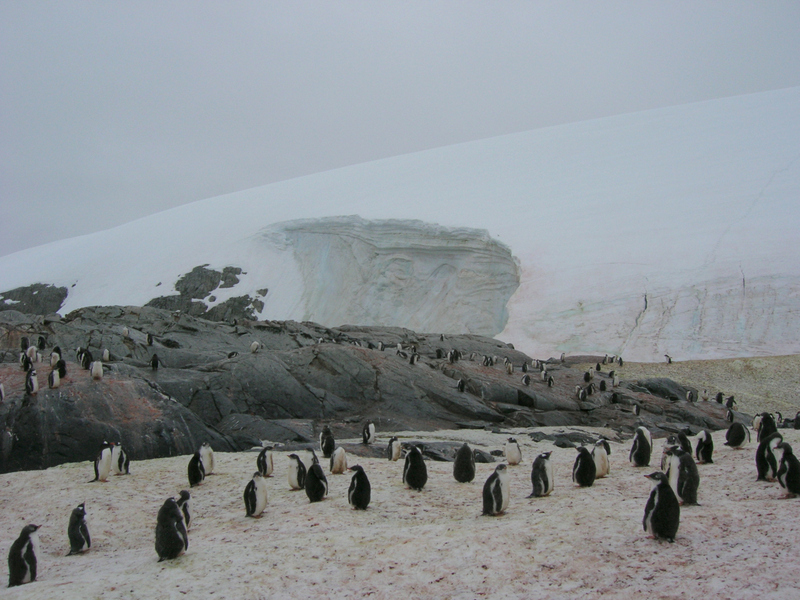 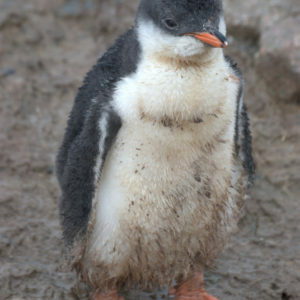 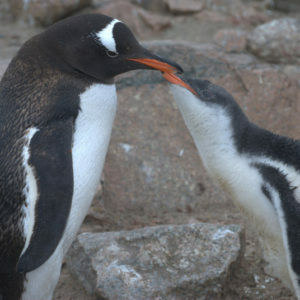 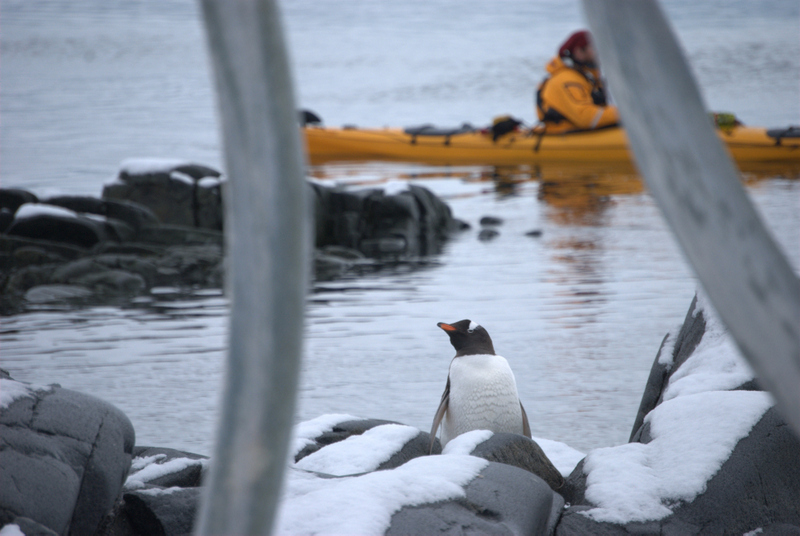 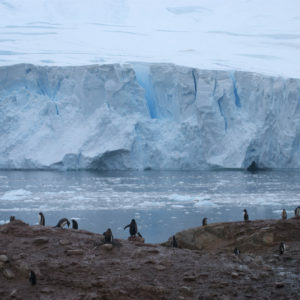 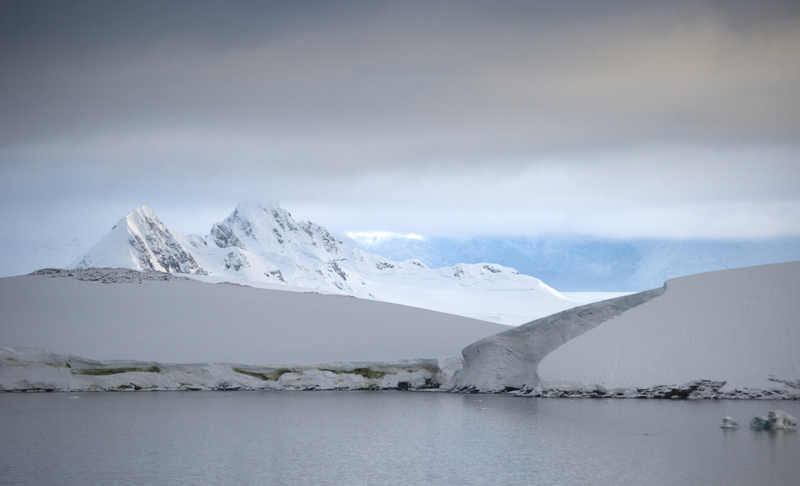 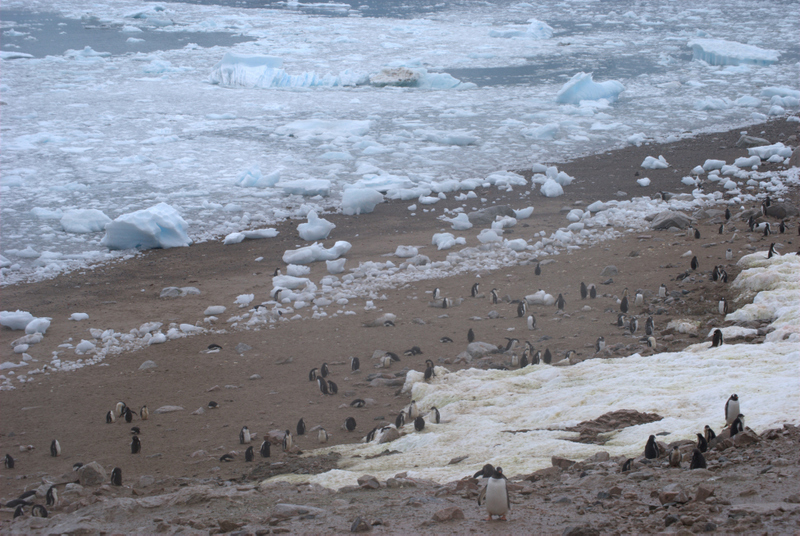 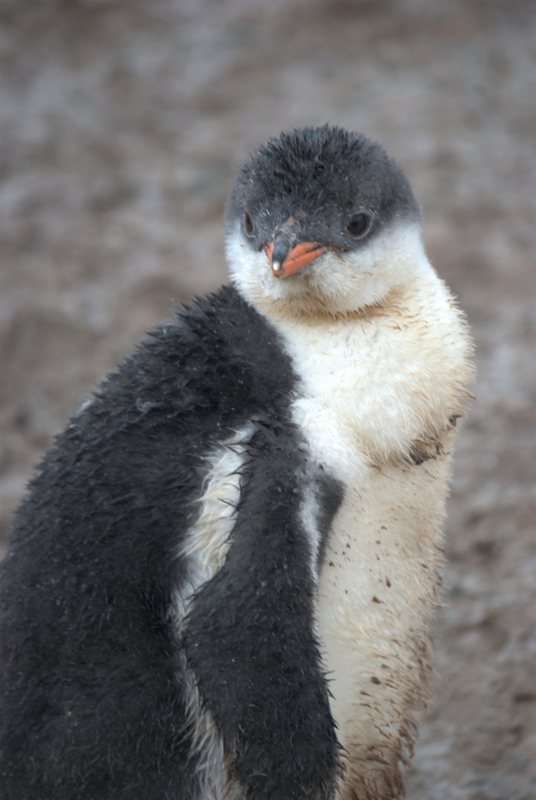 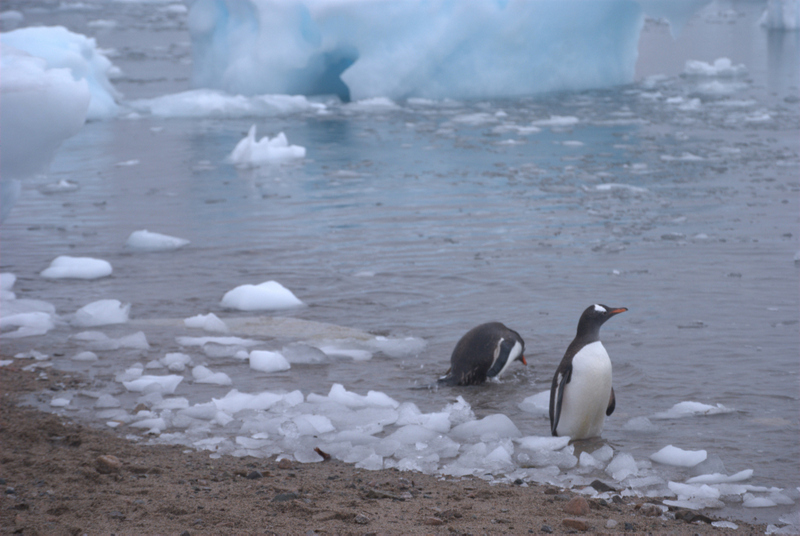 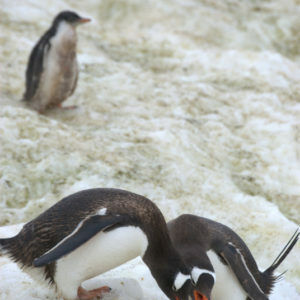 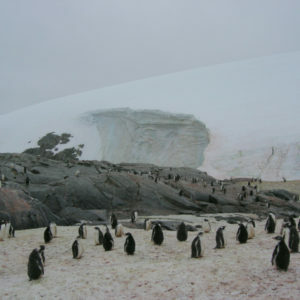 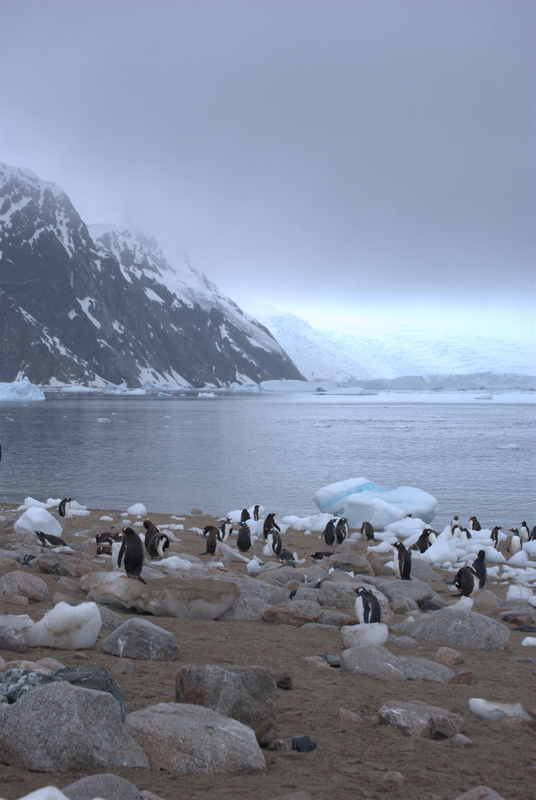 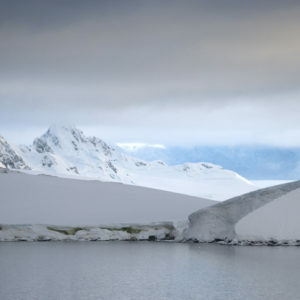 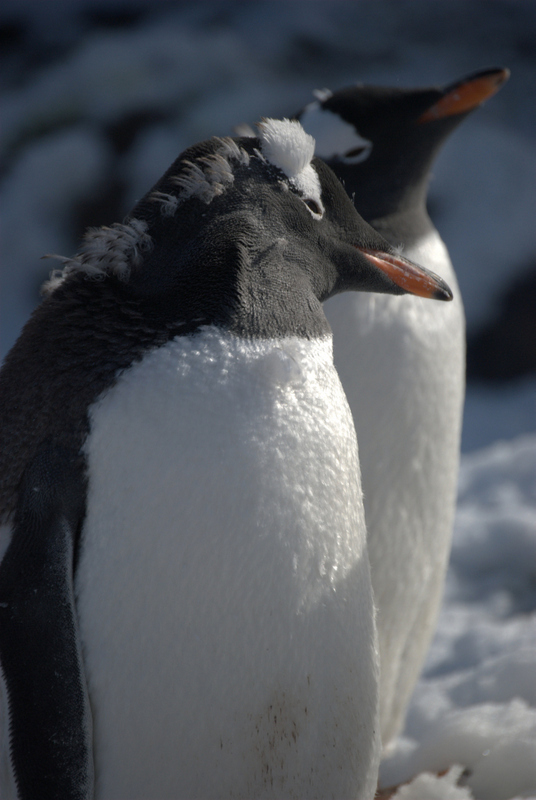 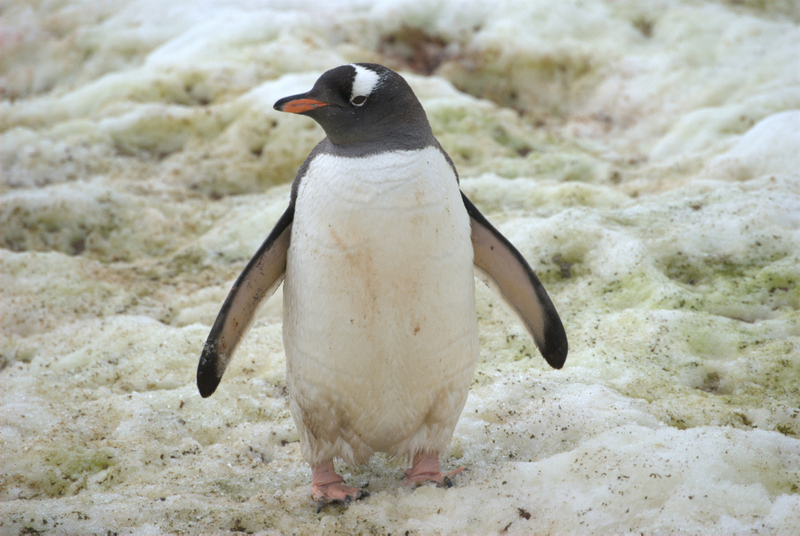 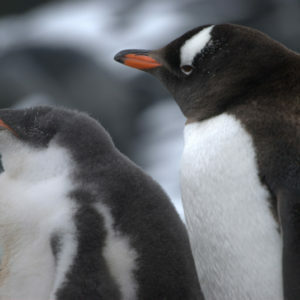 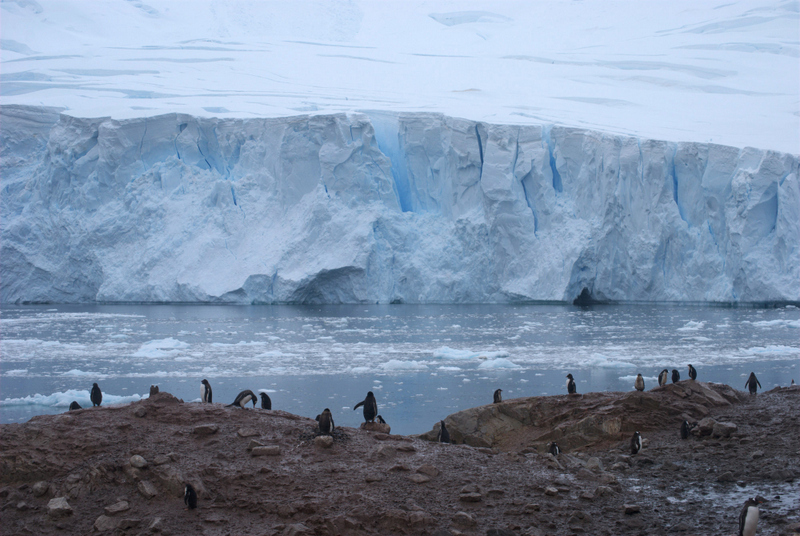 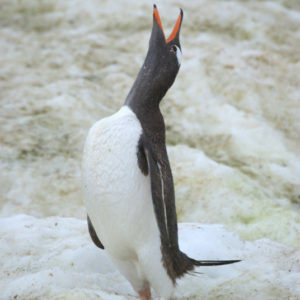 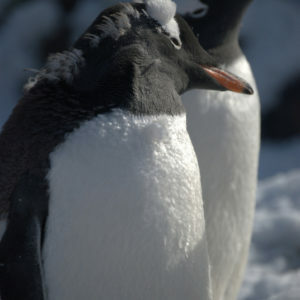 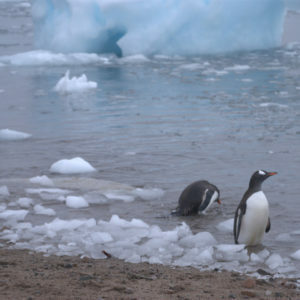 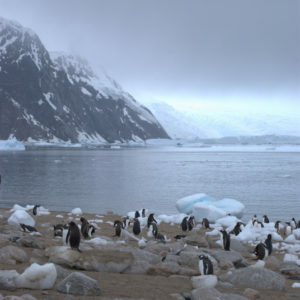 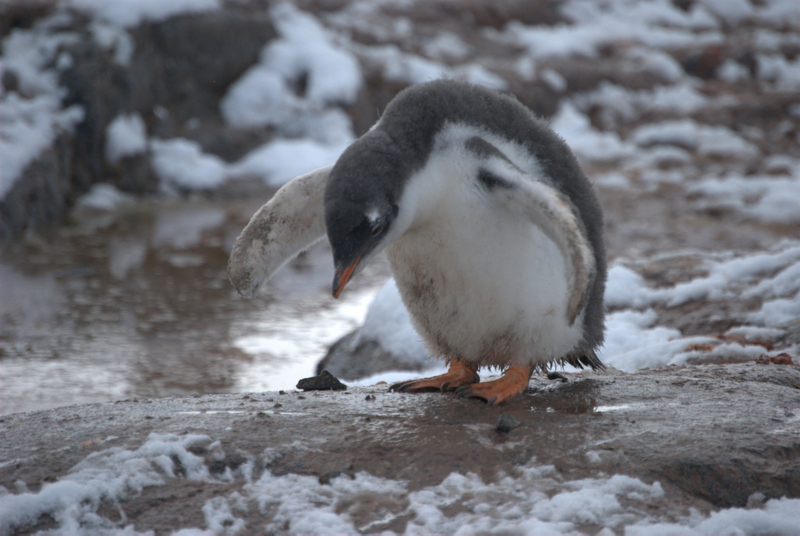 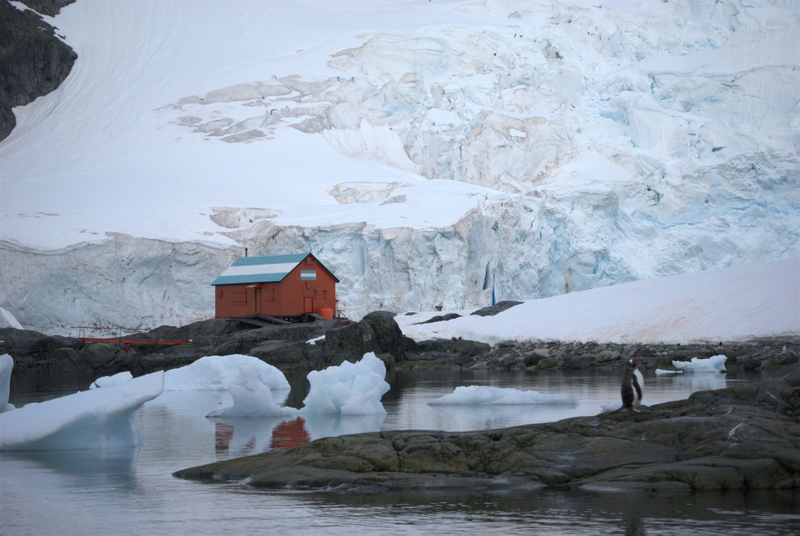 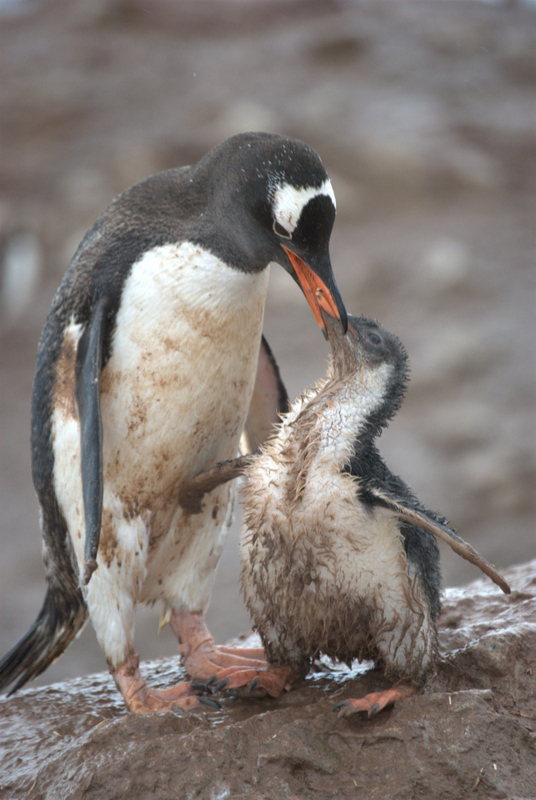 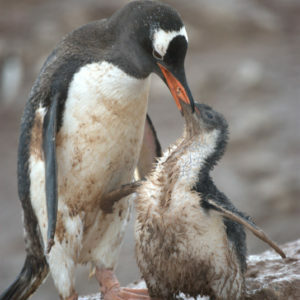 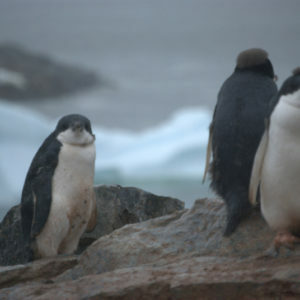 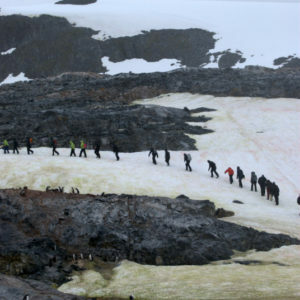 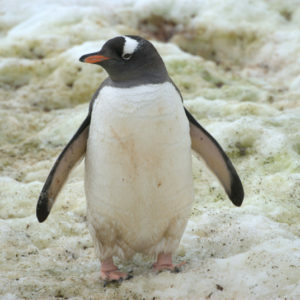 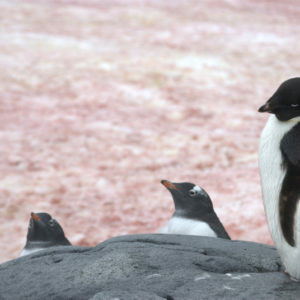 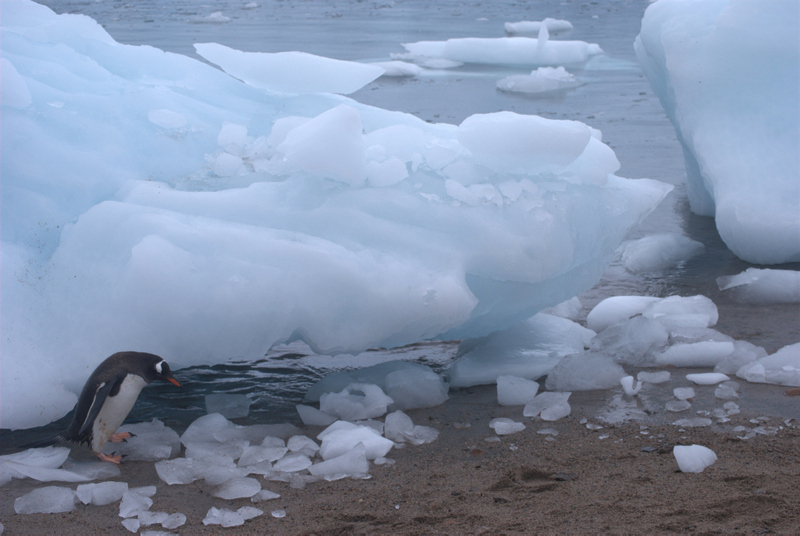 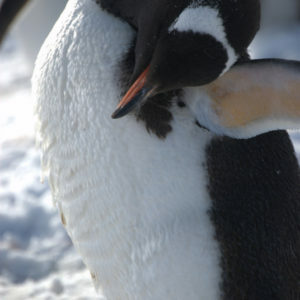 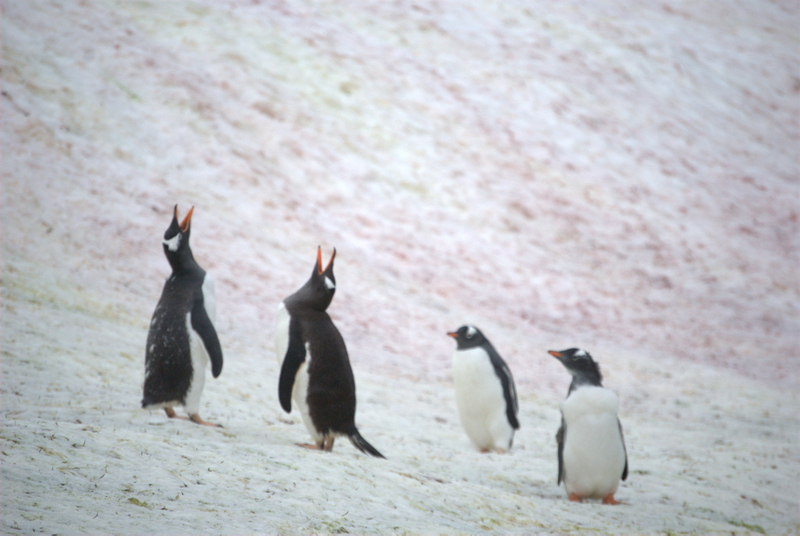 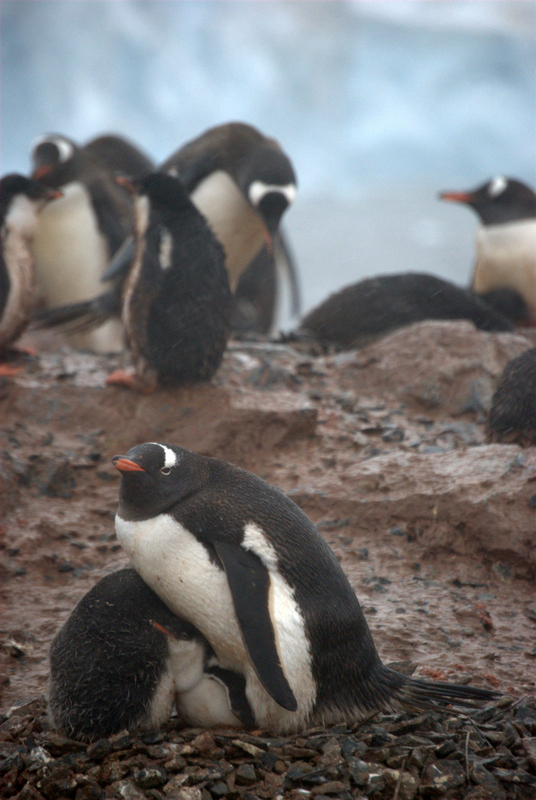 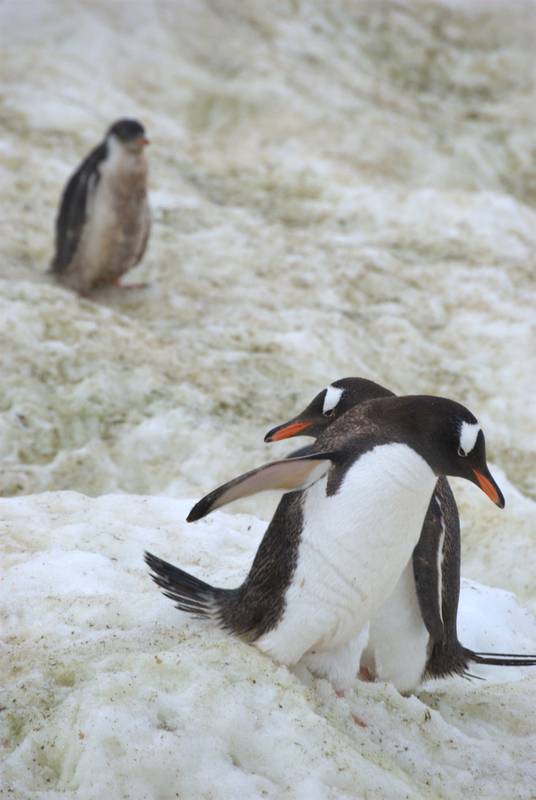 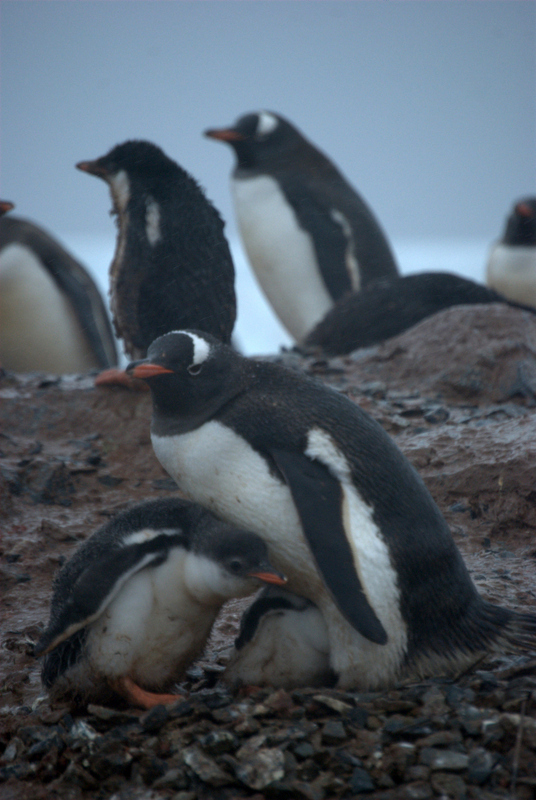 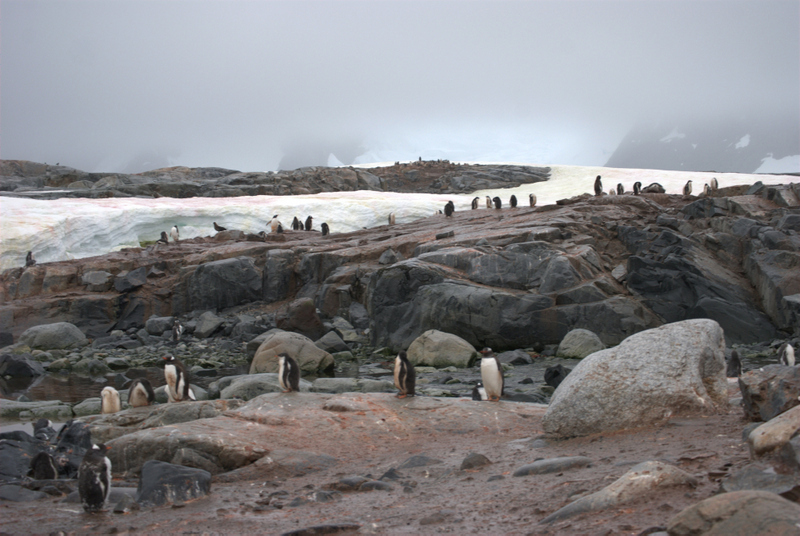 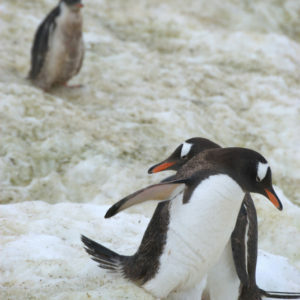 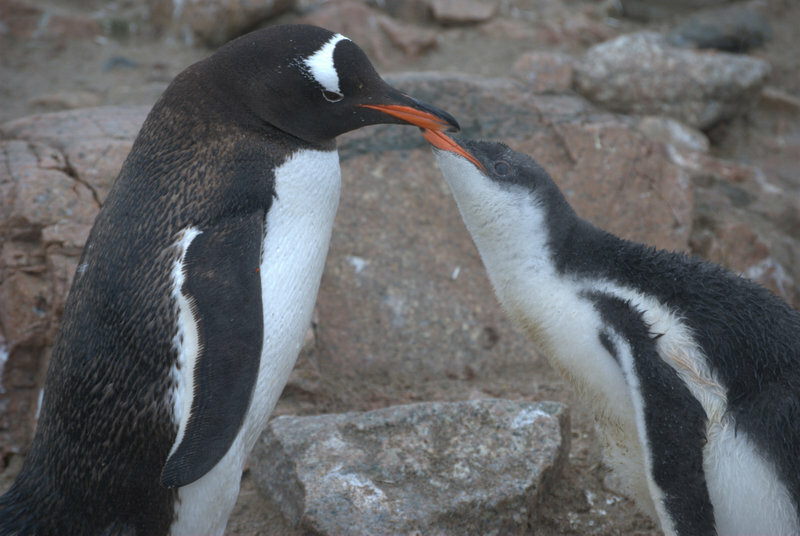 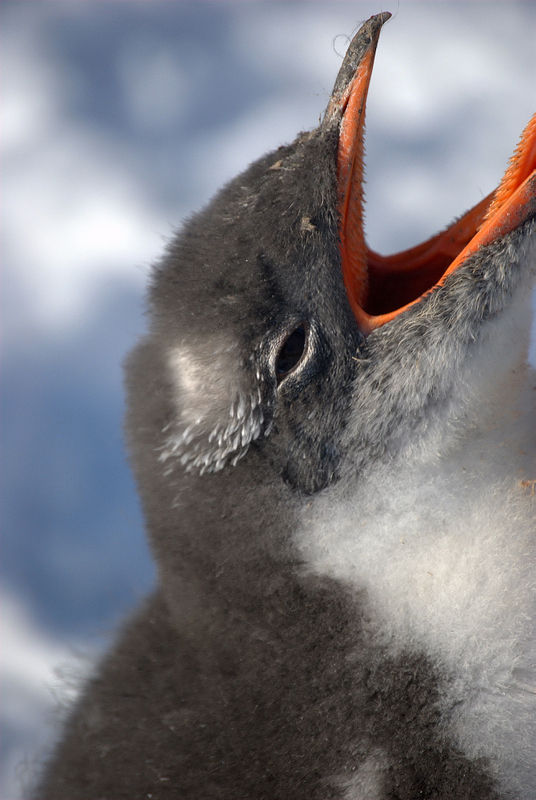 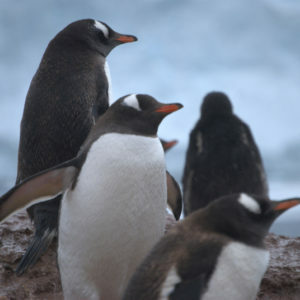 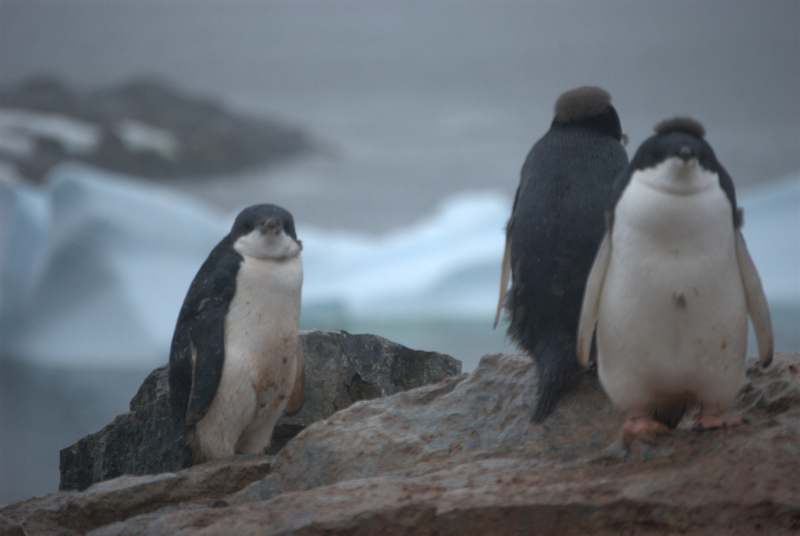 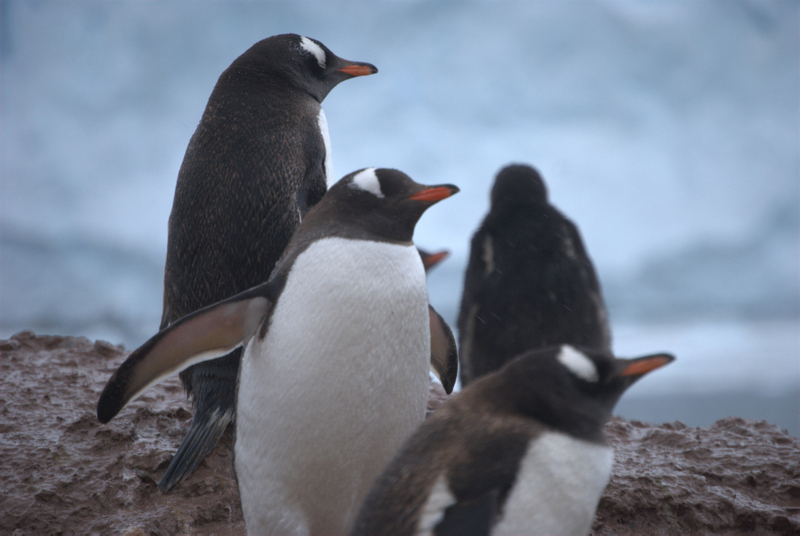 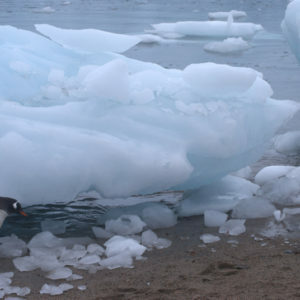 Gentoo penguins were the most prevalent on the islands visited, followed by Chinstrap and then Adelie penguins. 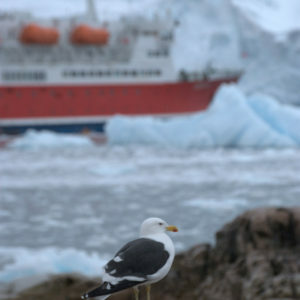 Each island had its own perk, but my faves were Paradise Harbor, Pleneau Bay and Petermann Island. 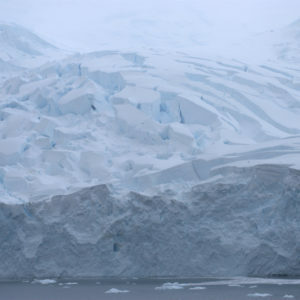 Paradise Harbor especially made me feel as if I was at an ice sculpture park with ice skyscrapers. 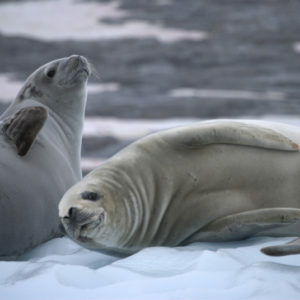 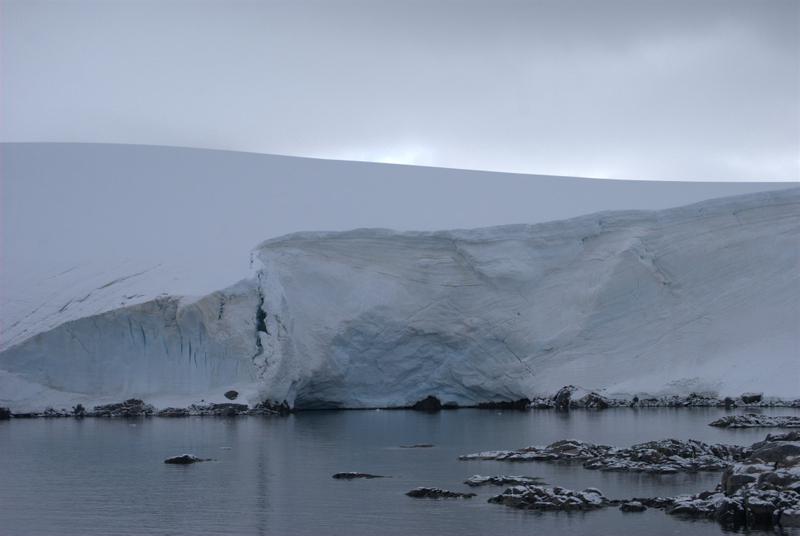 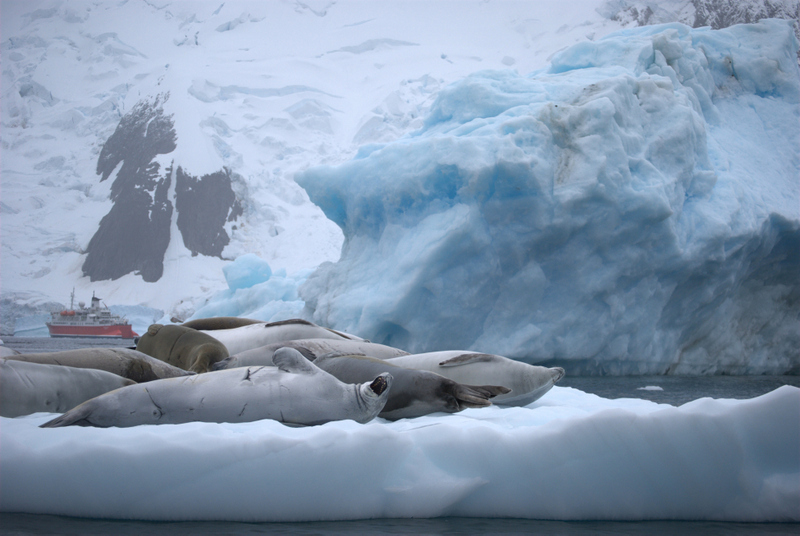 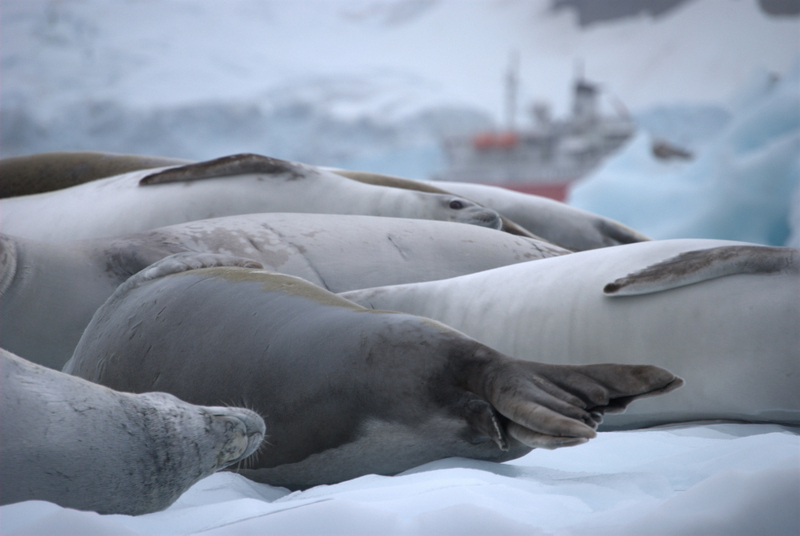 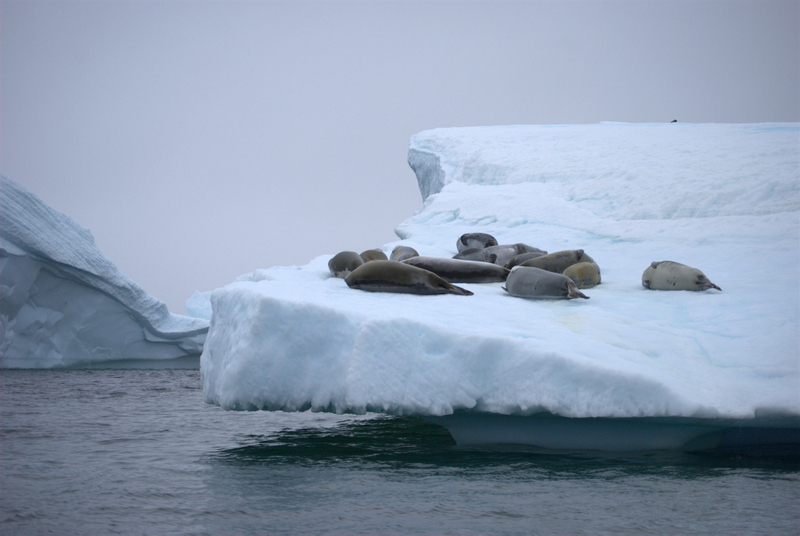 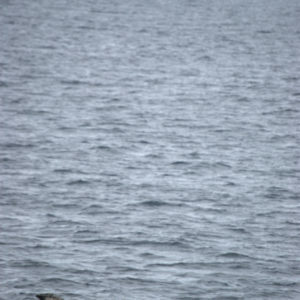 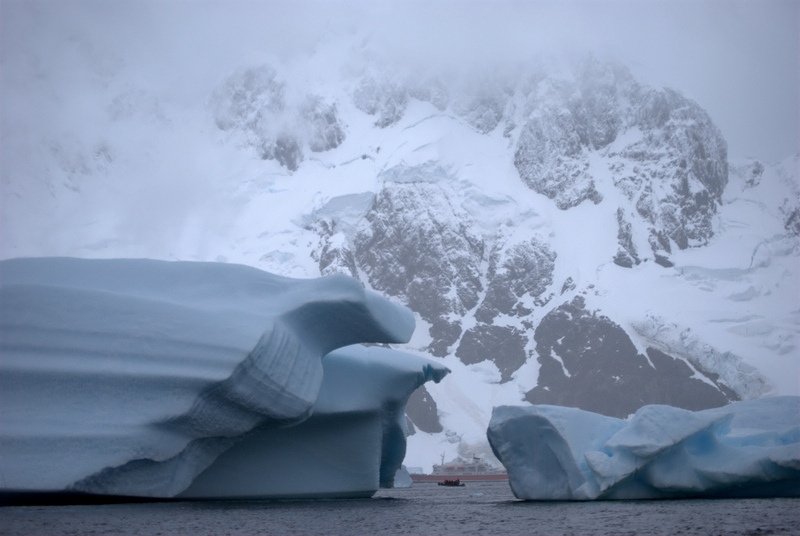 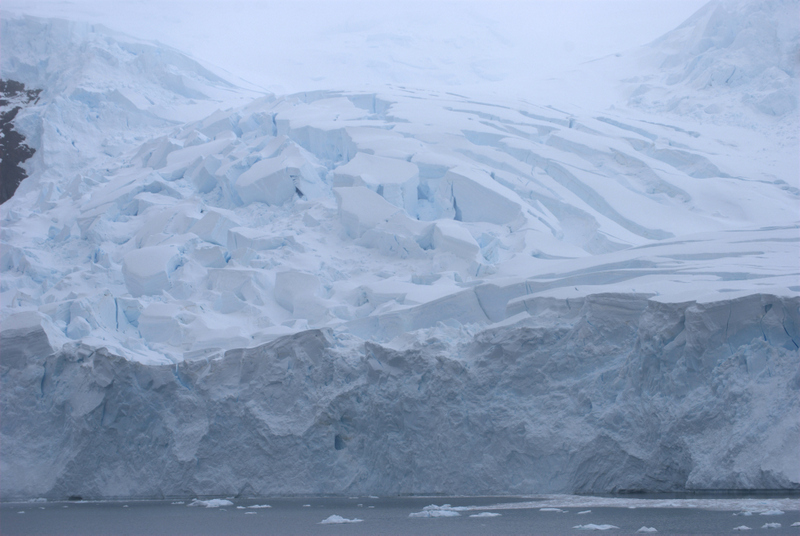 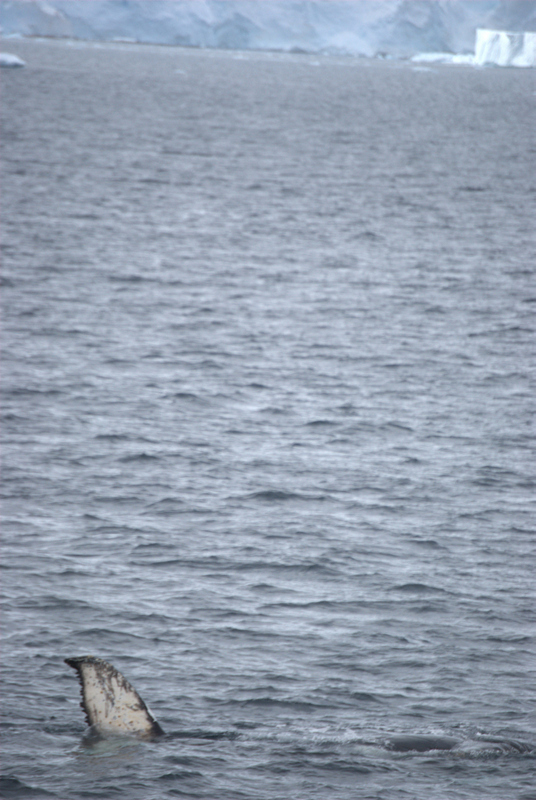 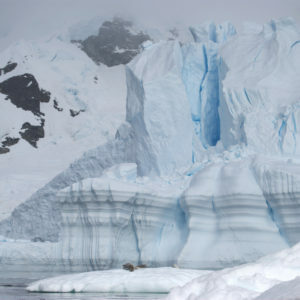 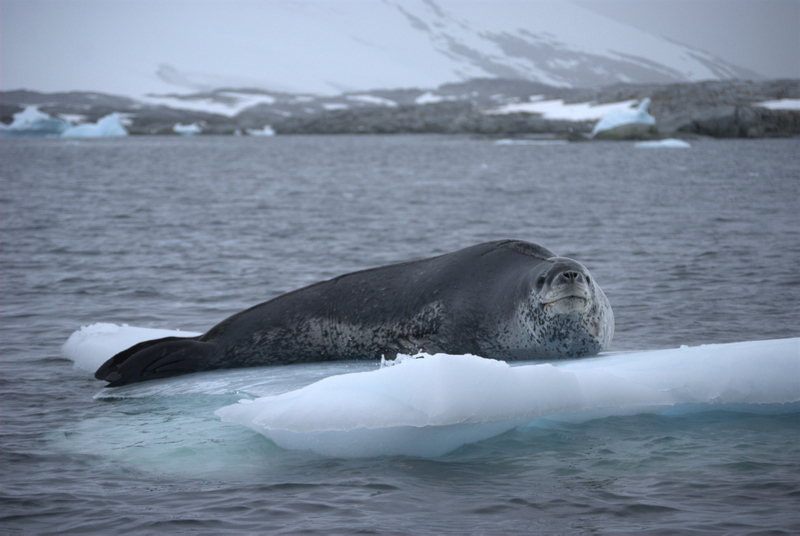 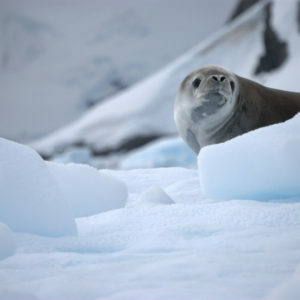 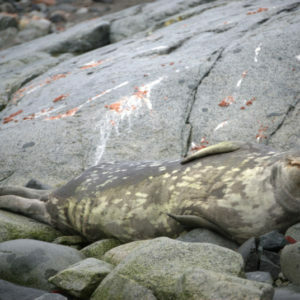 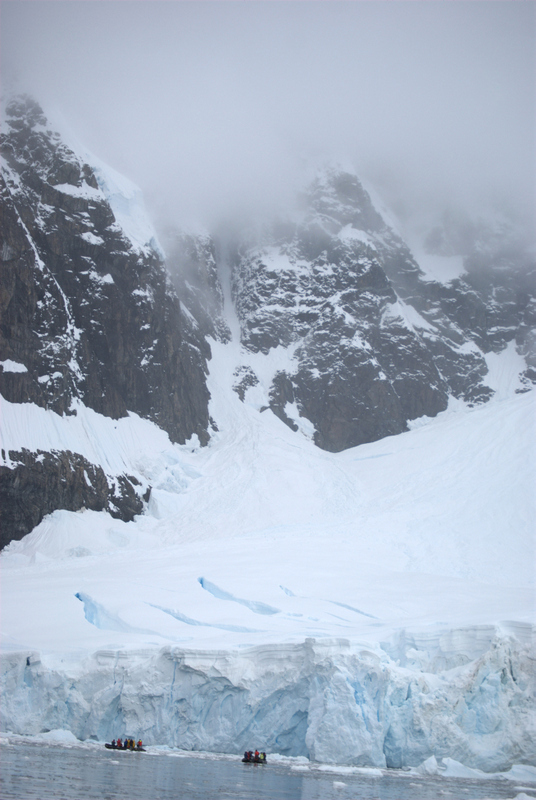 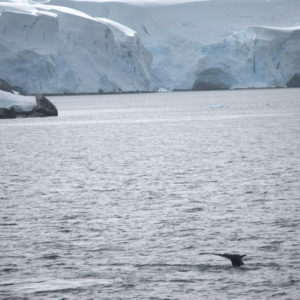 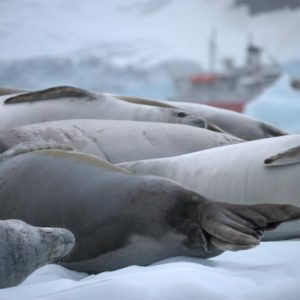 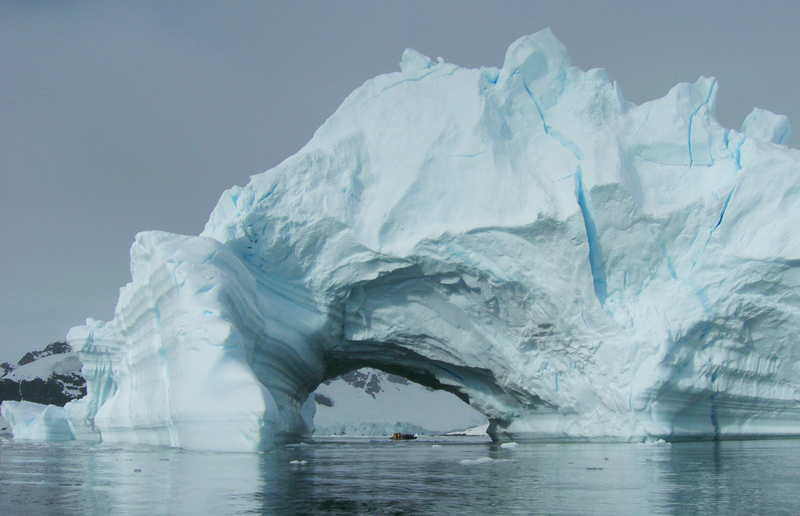 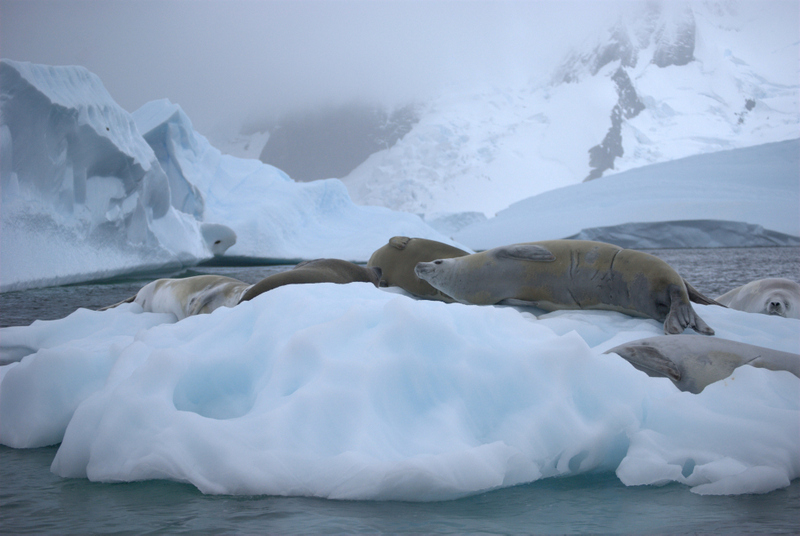 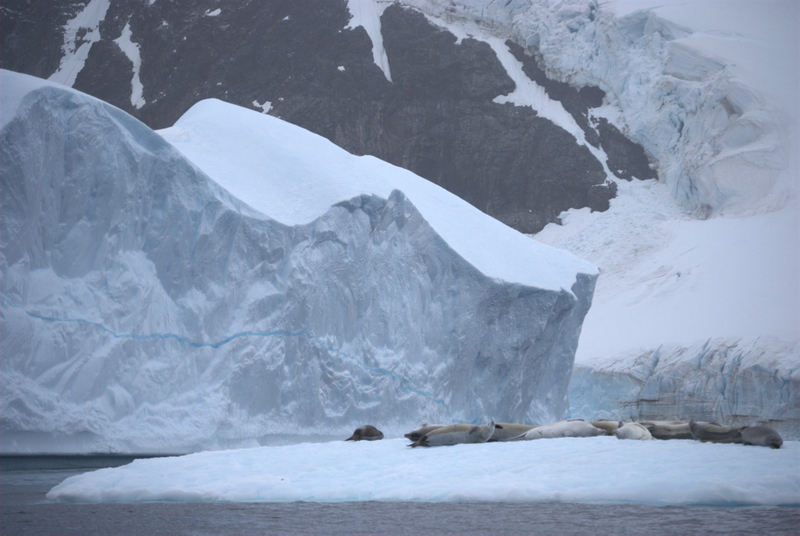 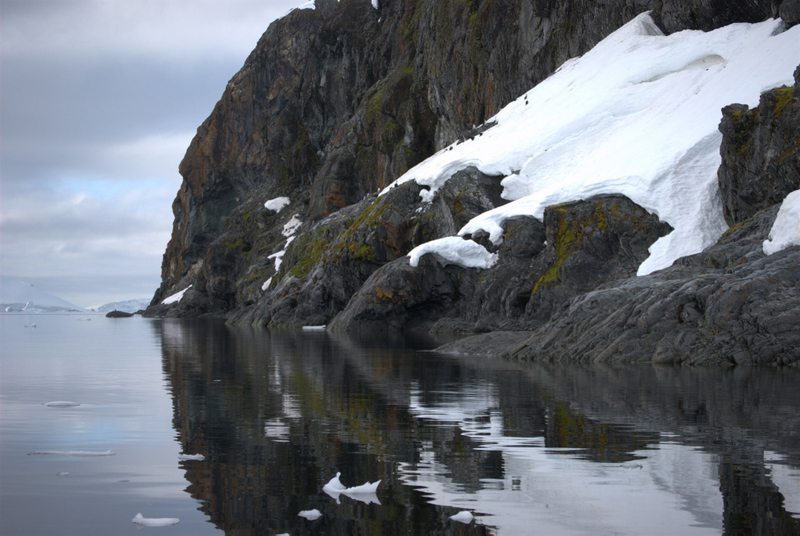 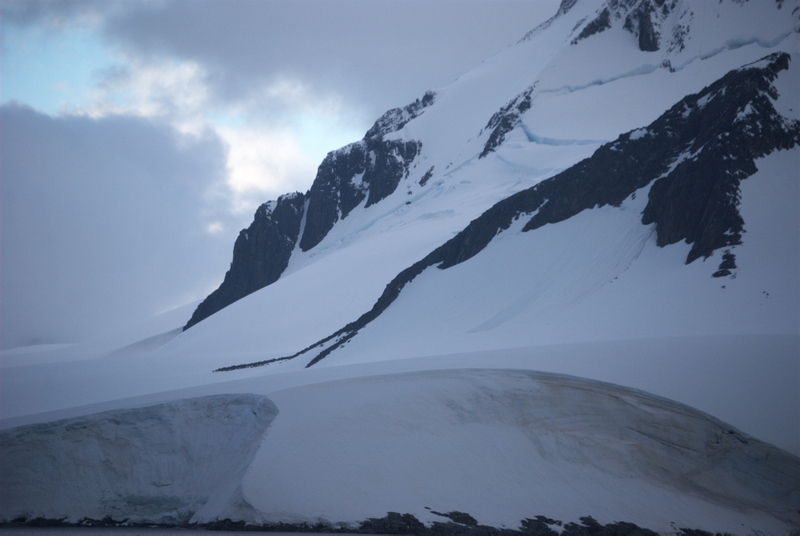 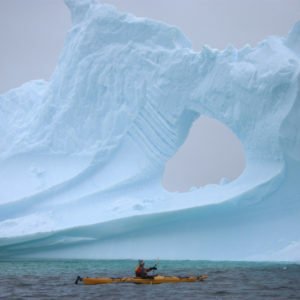 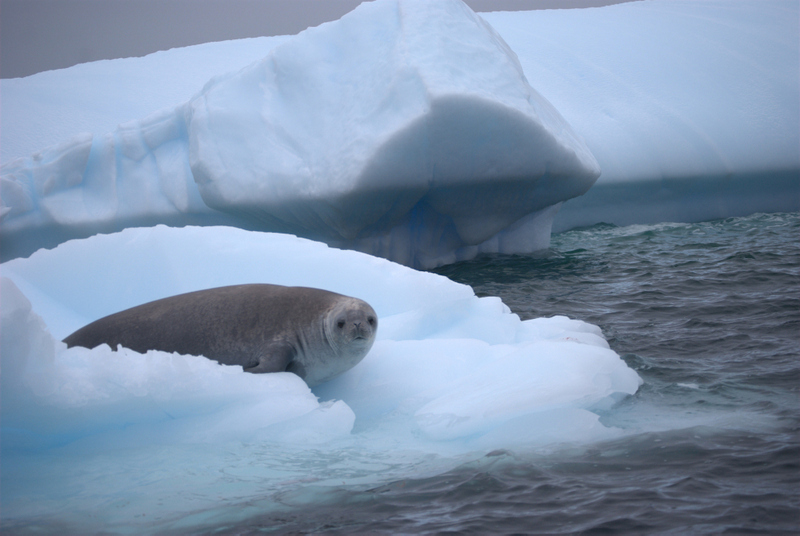 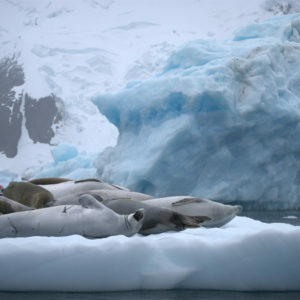 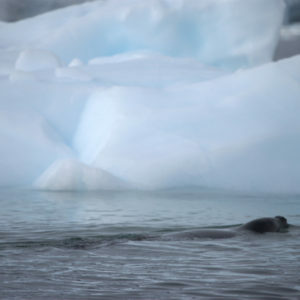 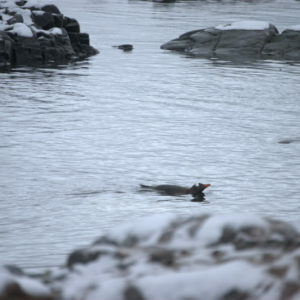 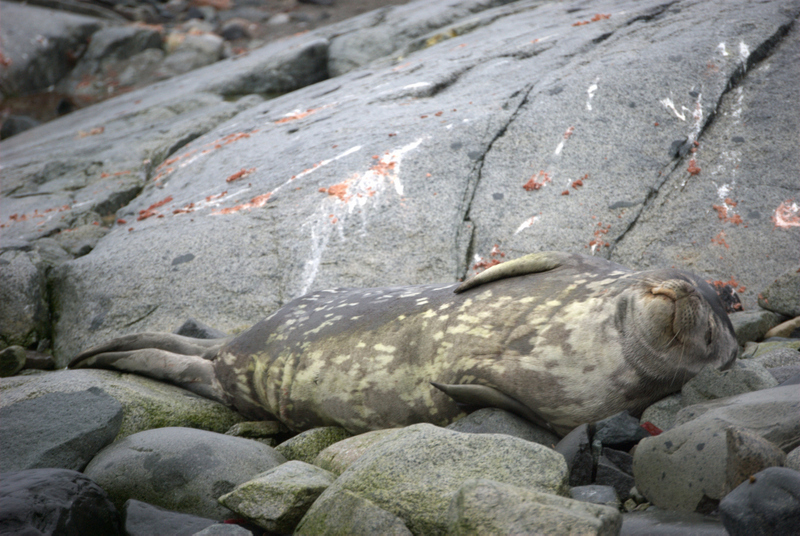 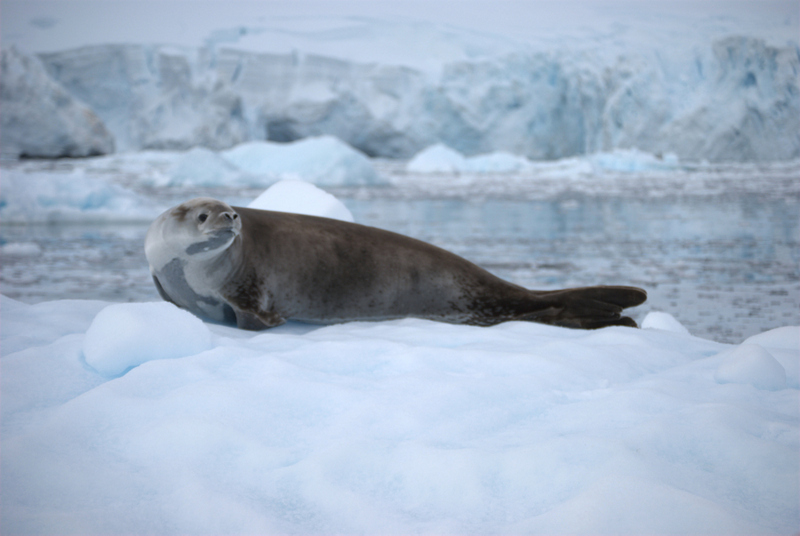 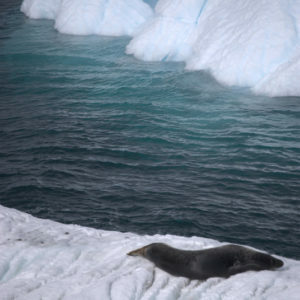 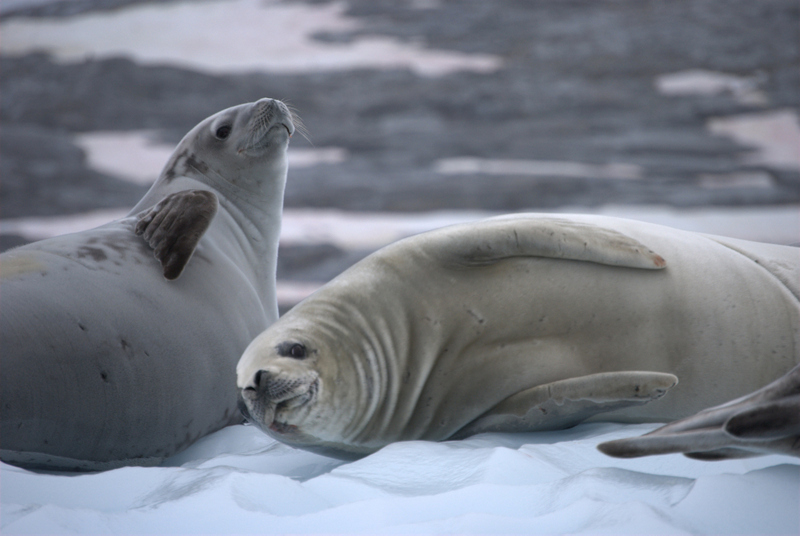 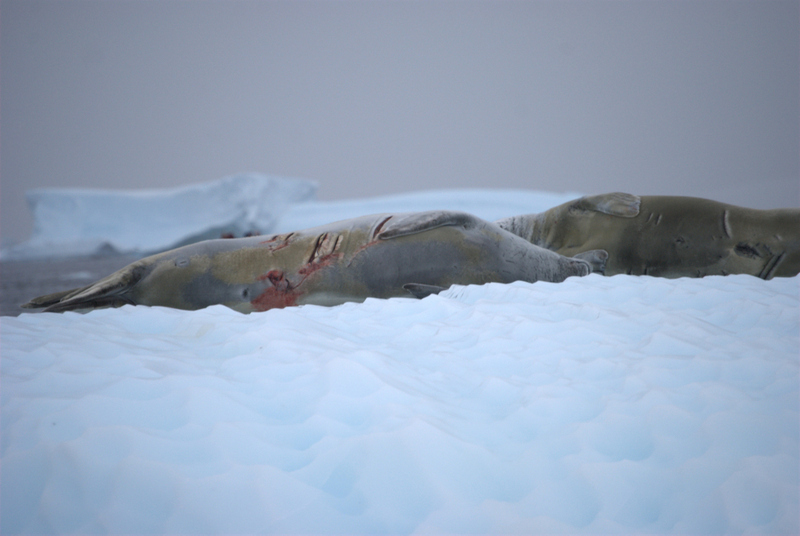 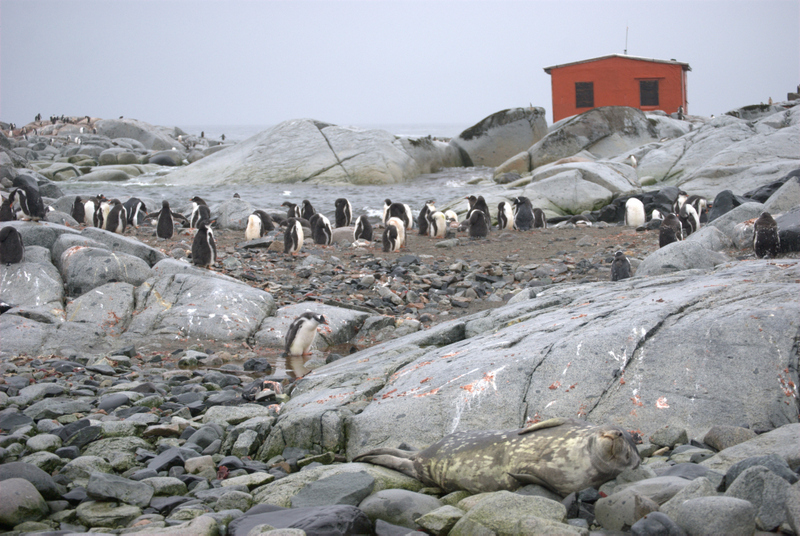 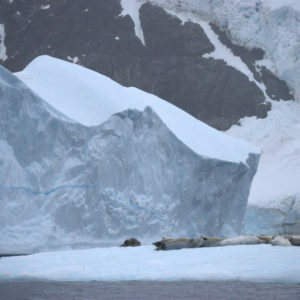 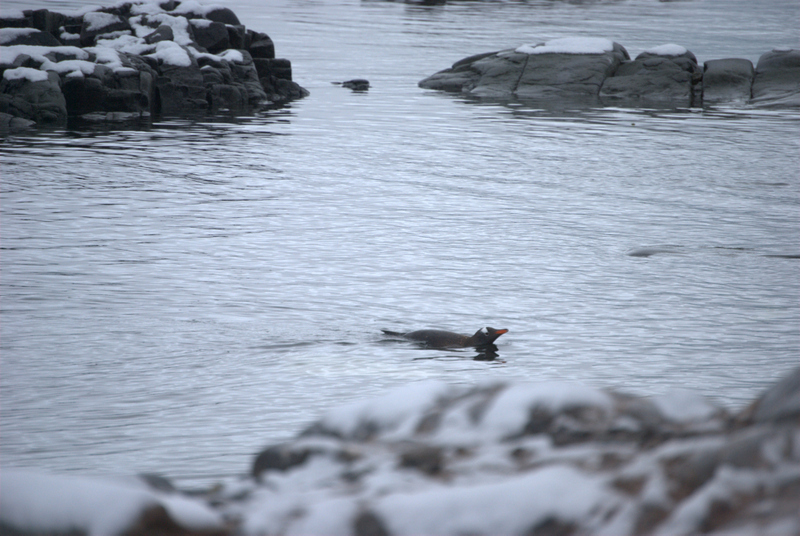 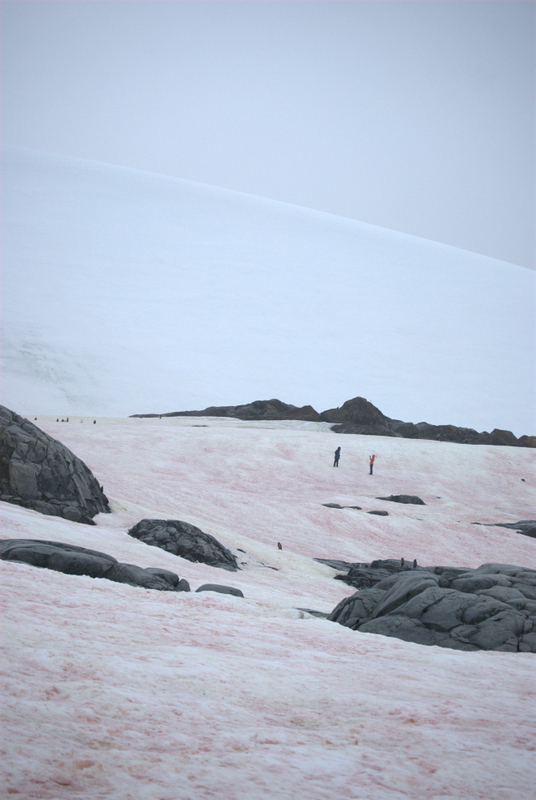 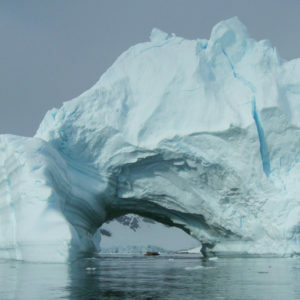 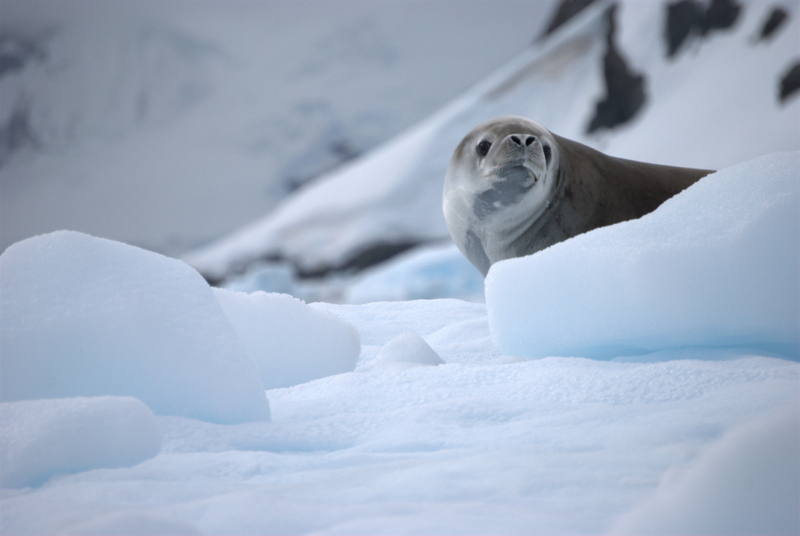 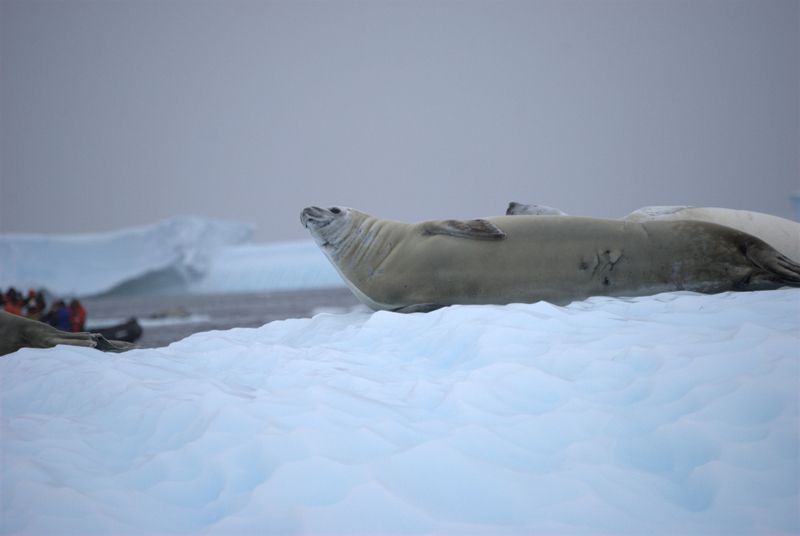 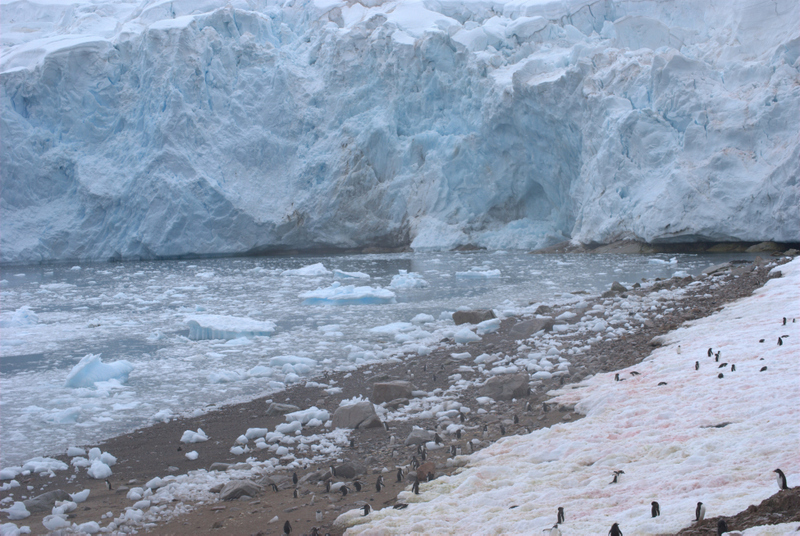 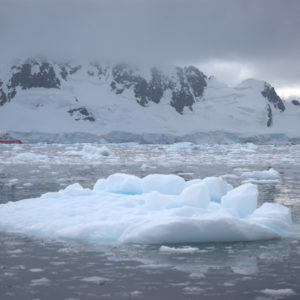 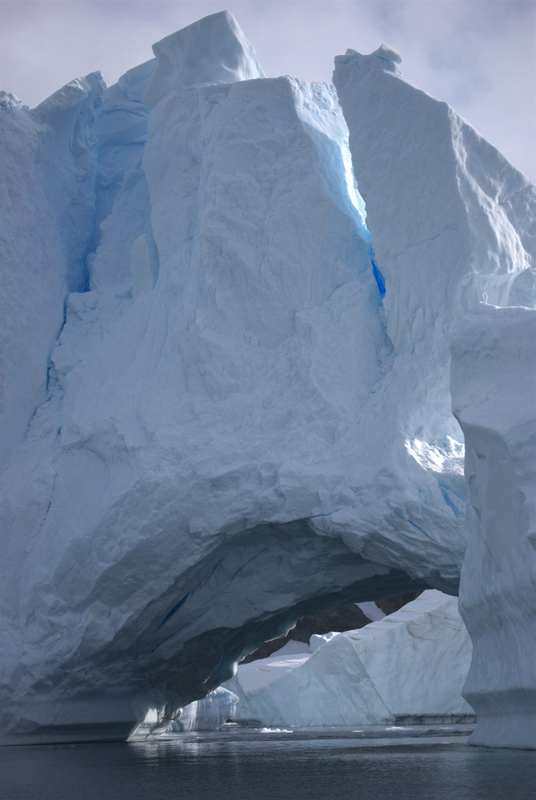 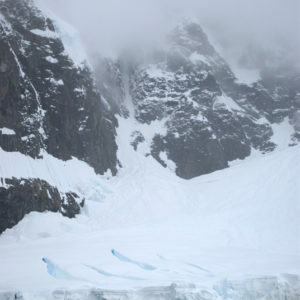 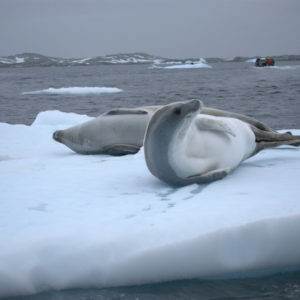 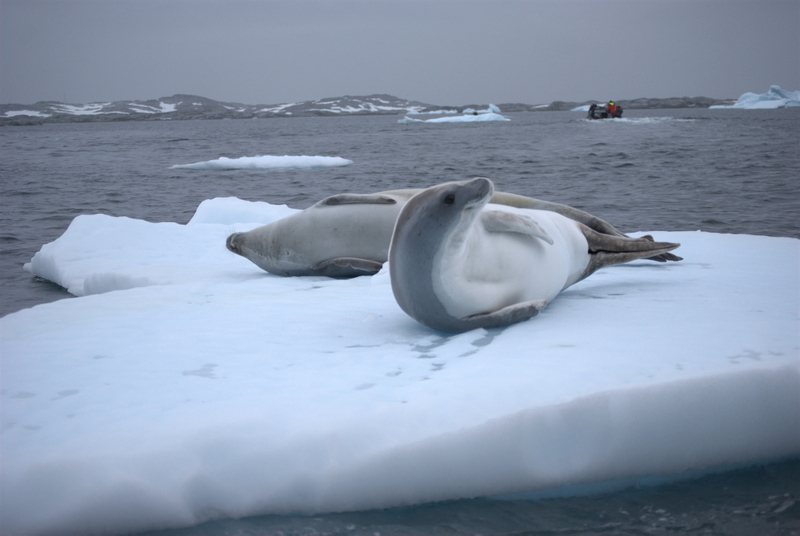 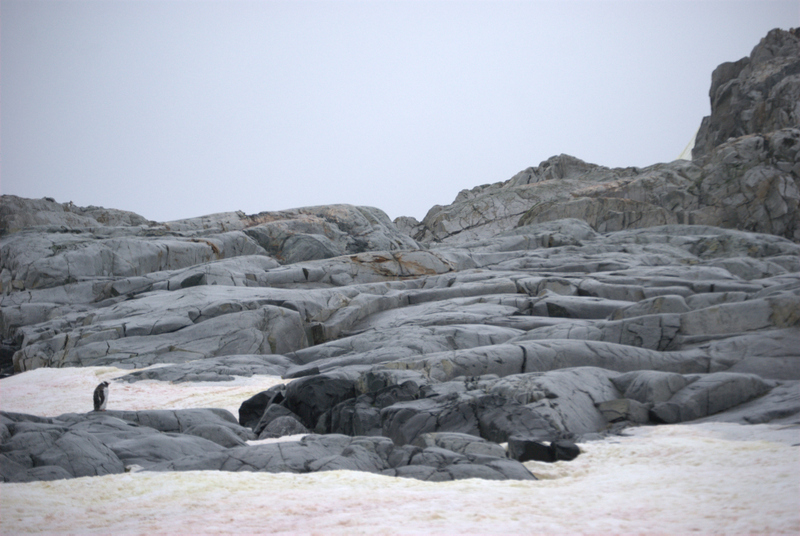 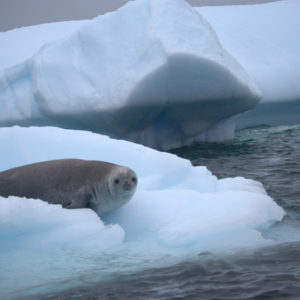 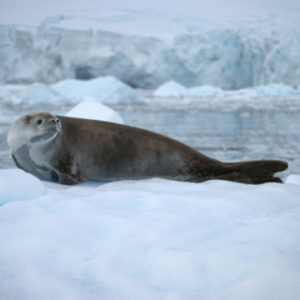 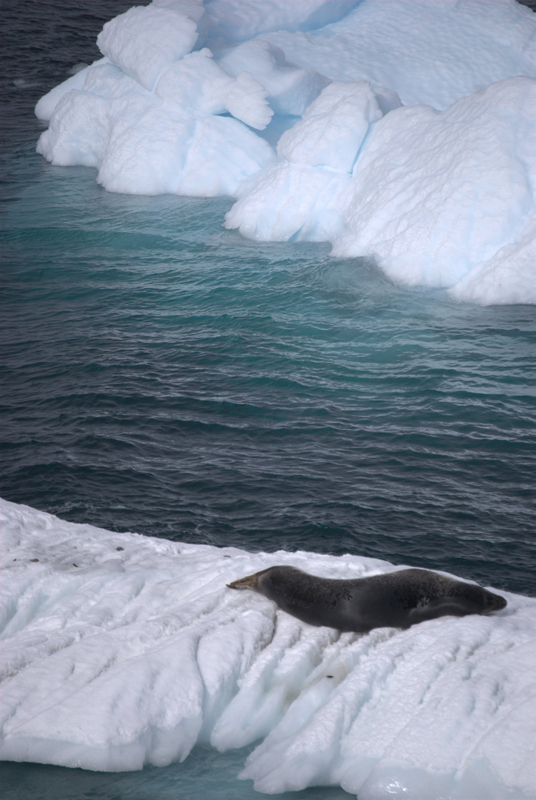 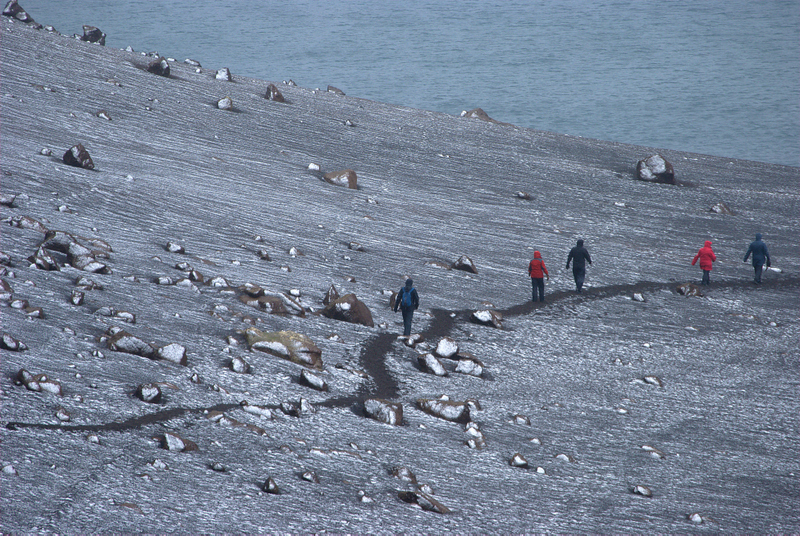 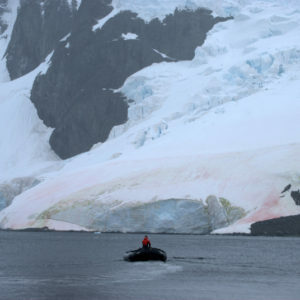 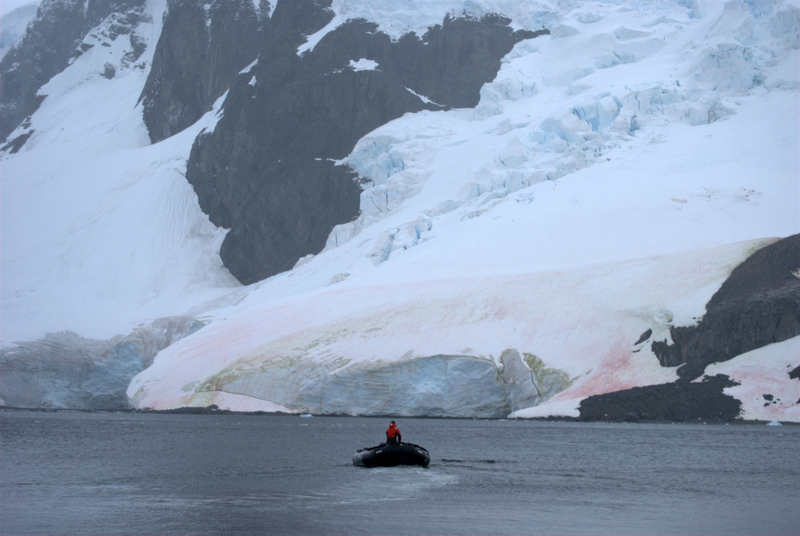 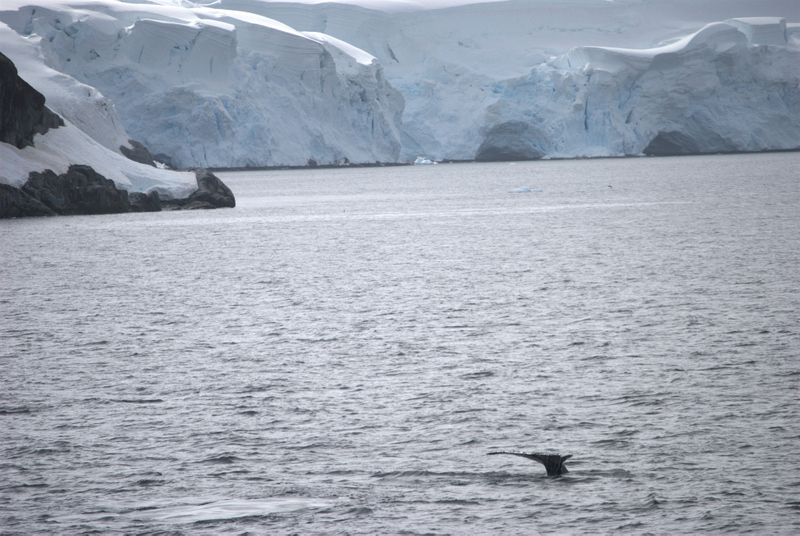 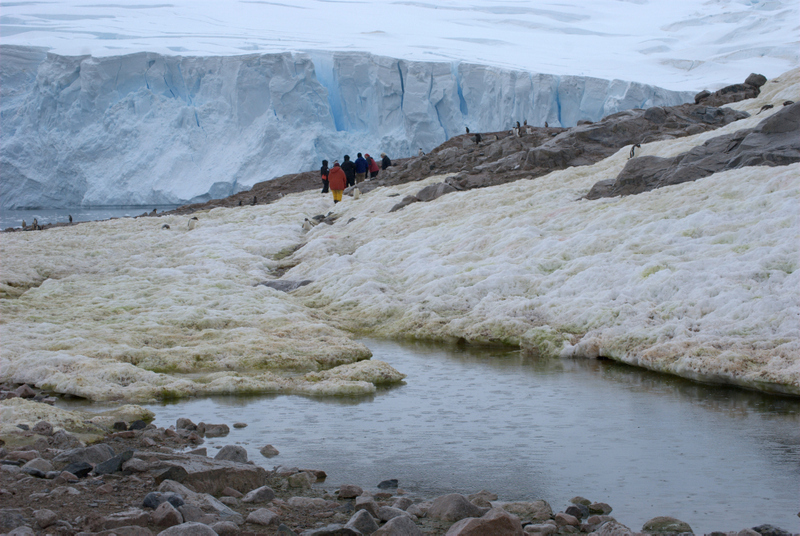 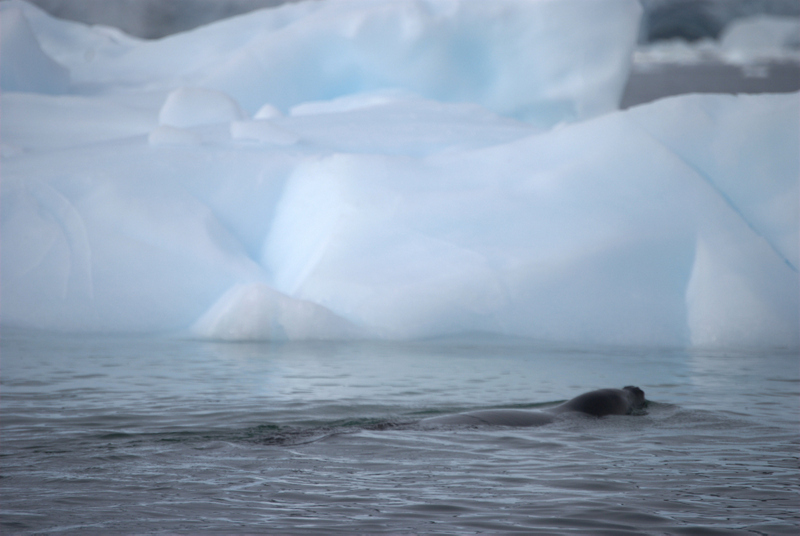 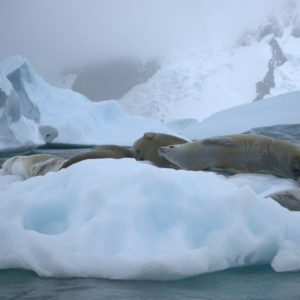 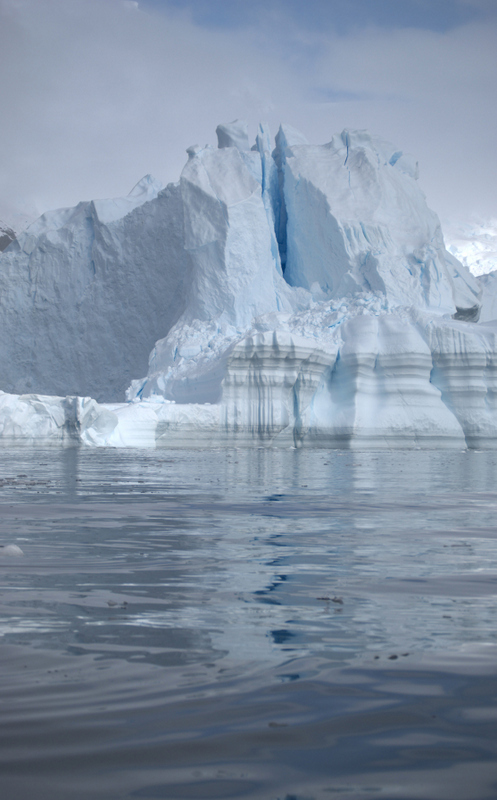 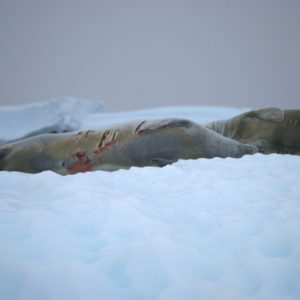 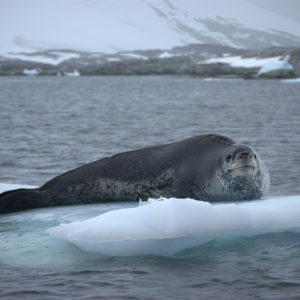 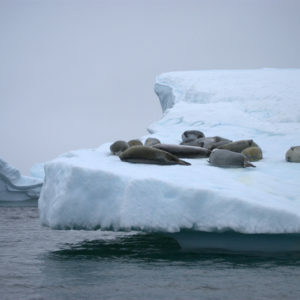 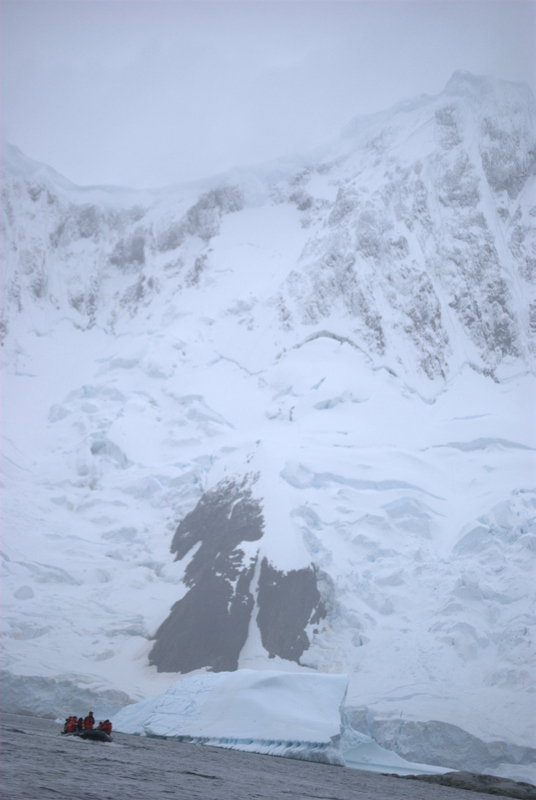 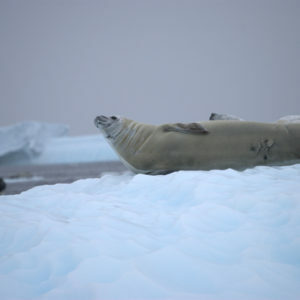 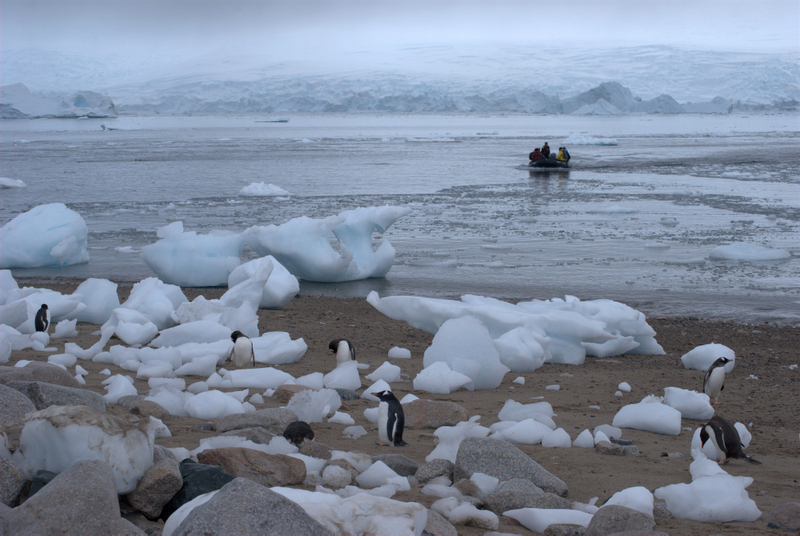 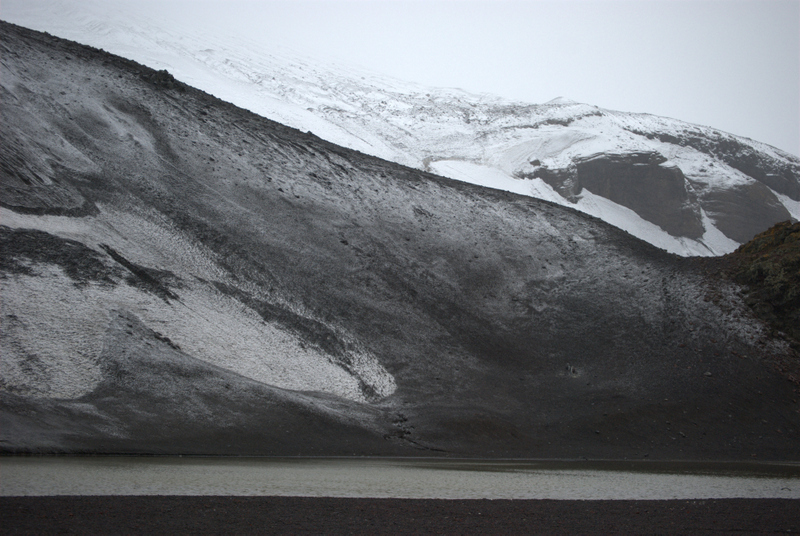 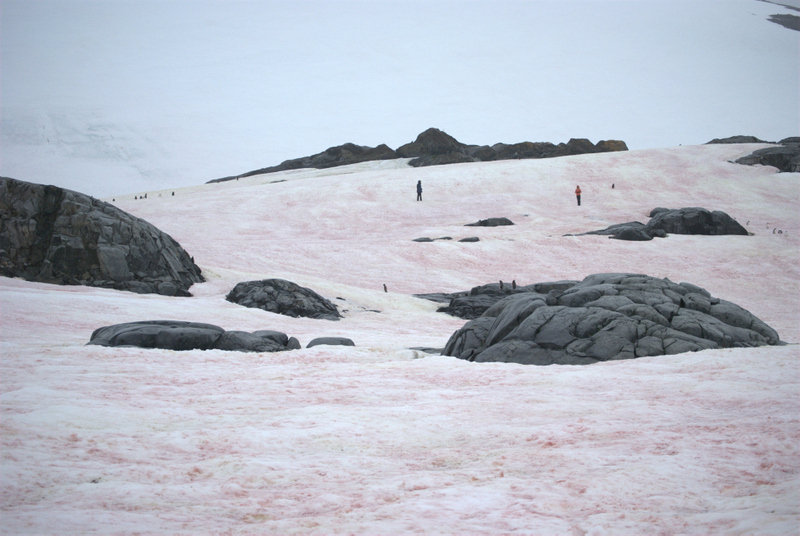 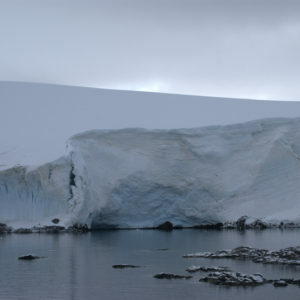 Pleneau Bay had many seals resting on icebergs, including the leopard seal, probably the most feared predator there. 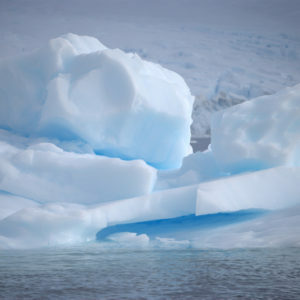 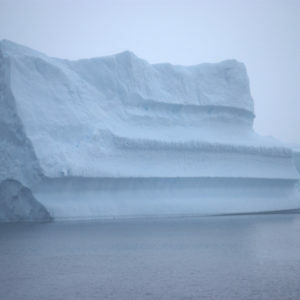 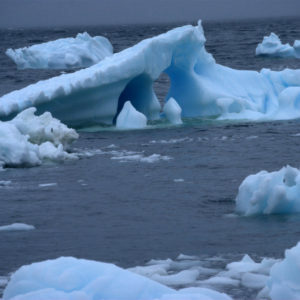 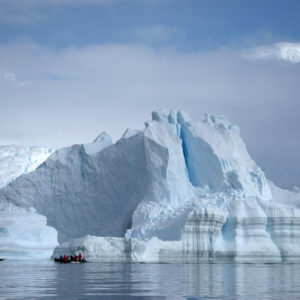 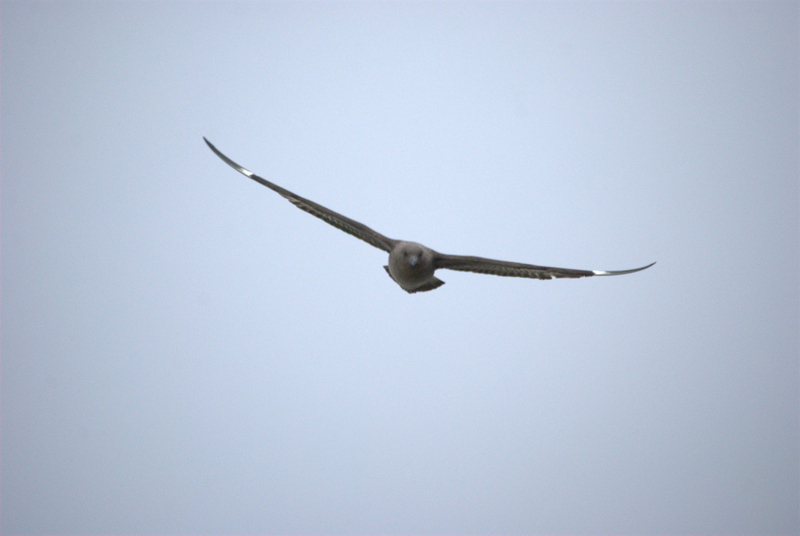 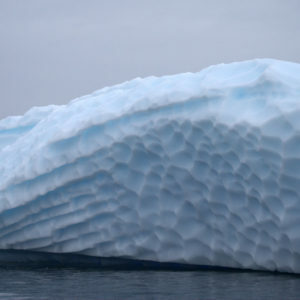 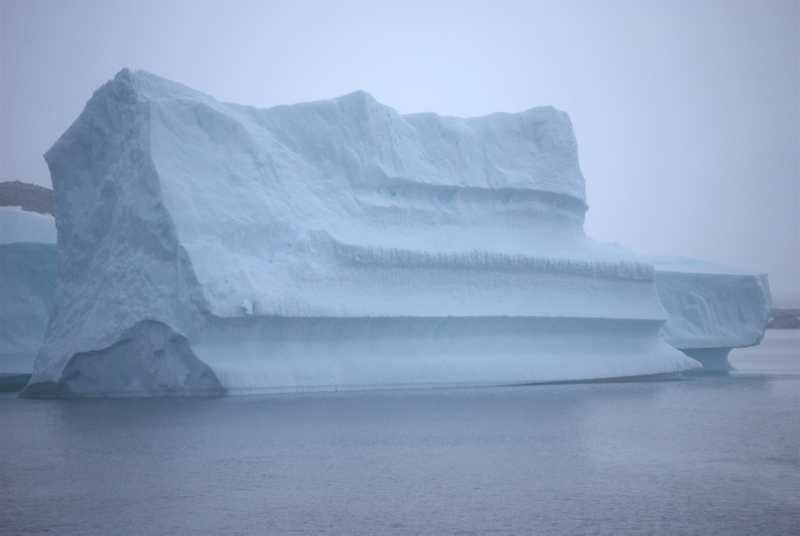 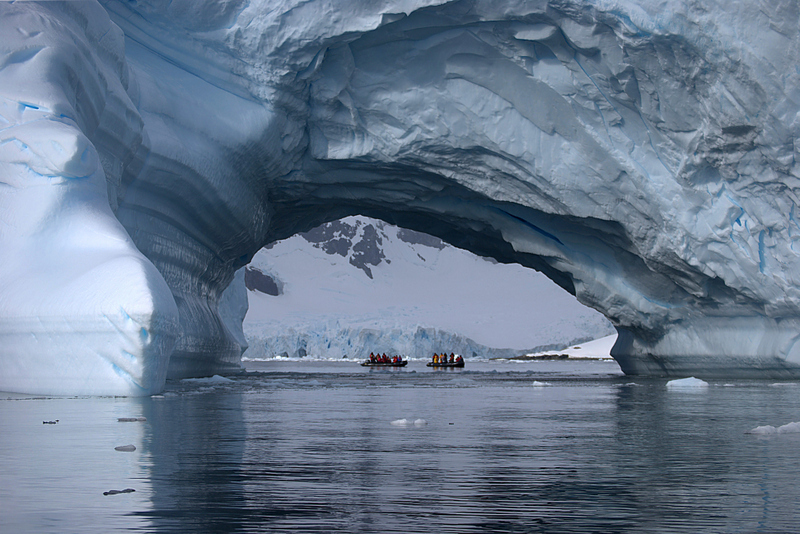 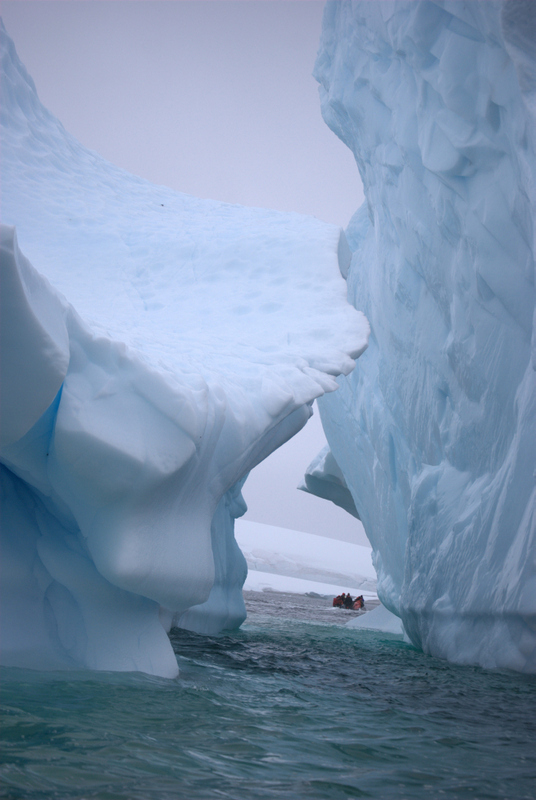 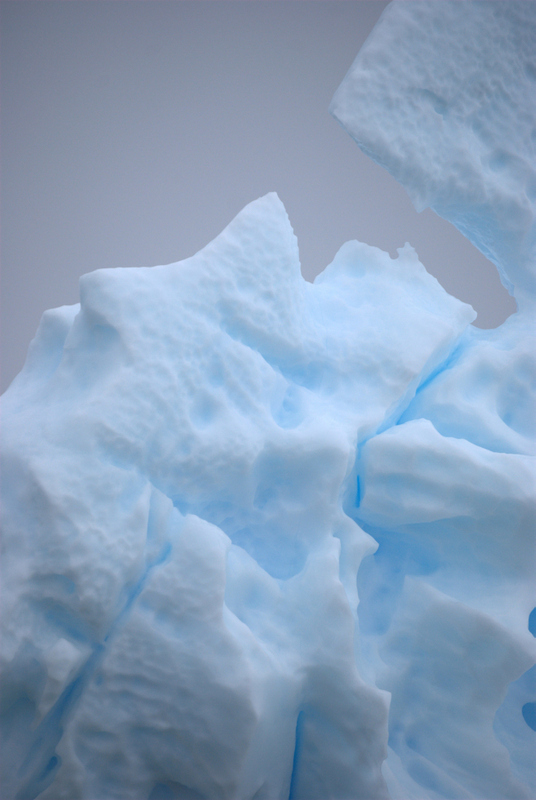 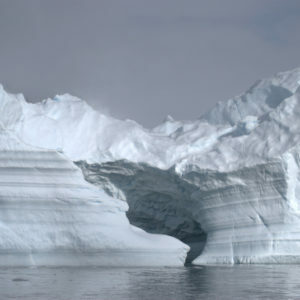 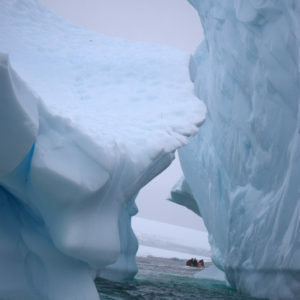 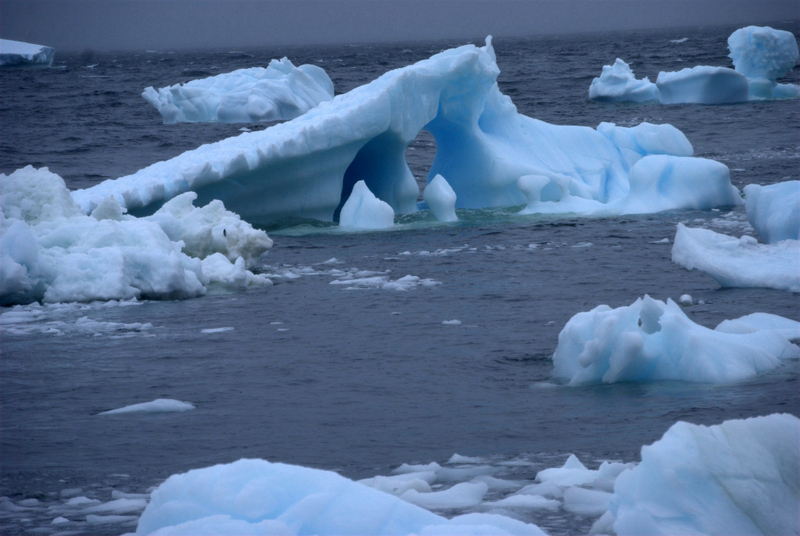 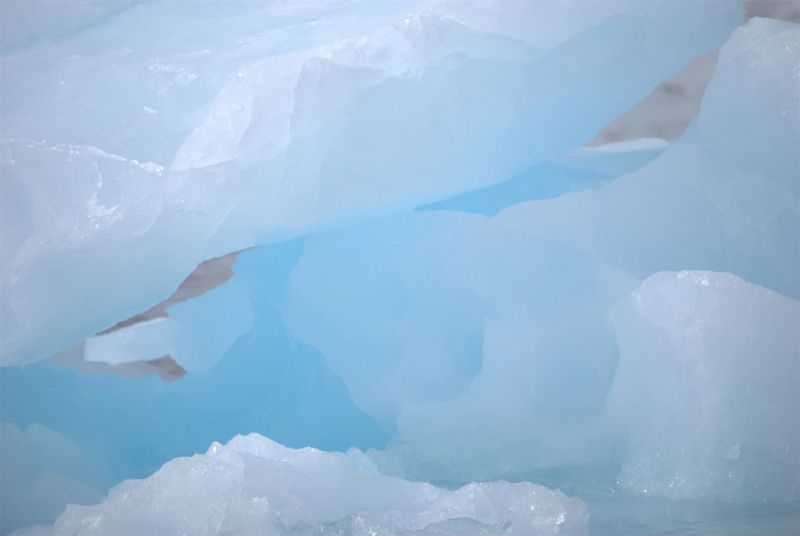 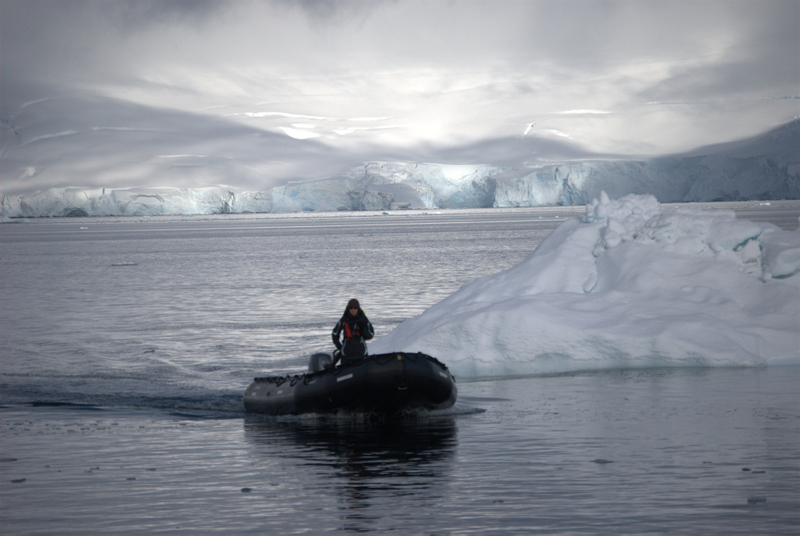 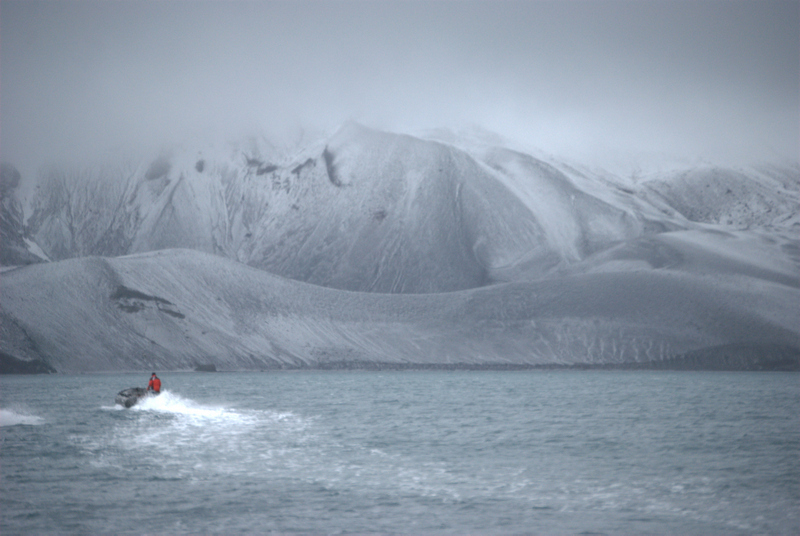 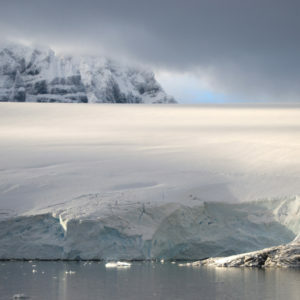 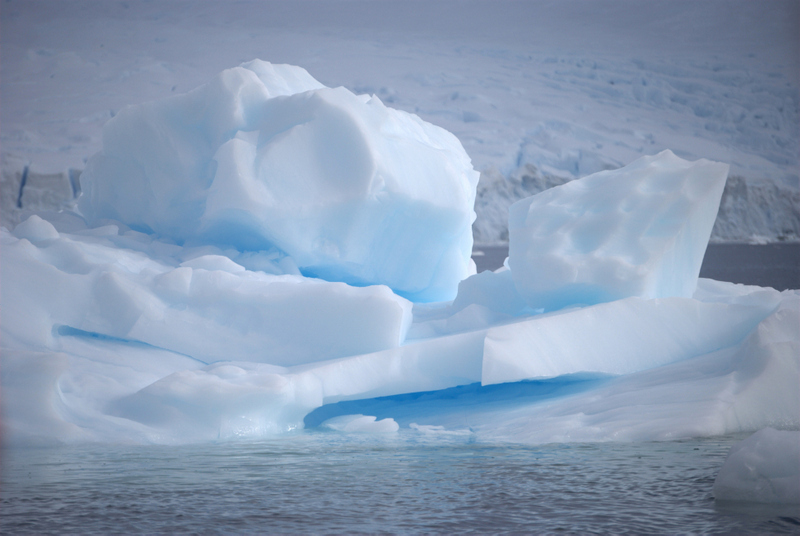 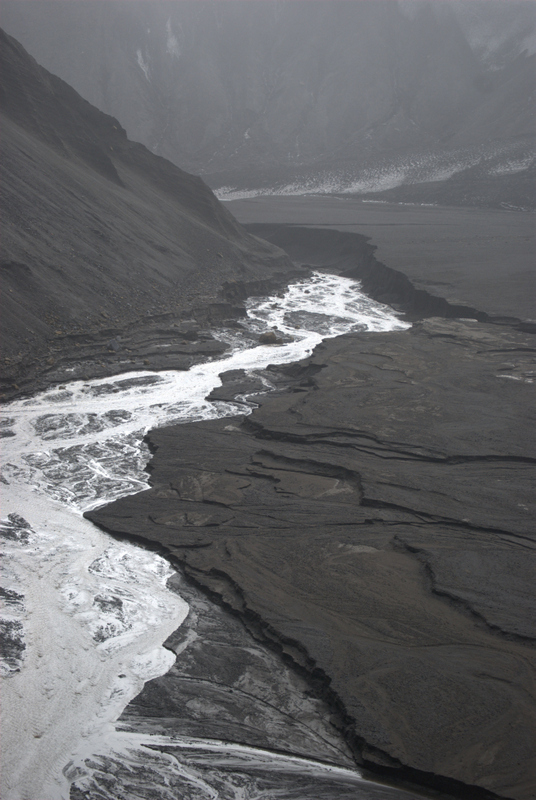 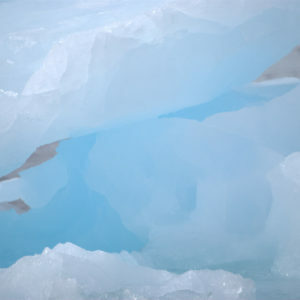 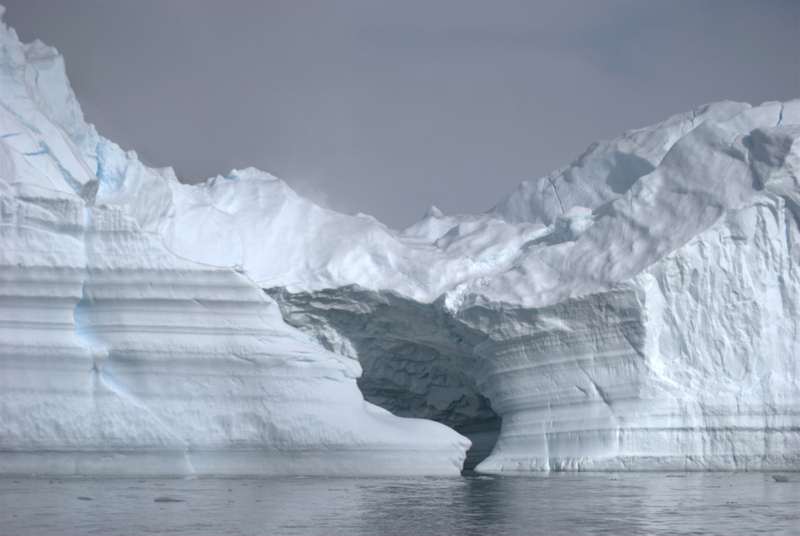 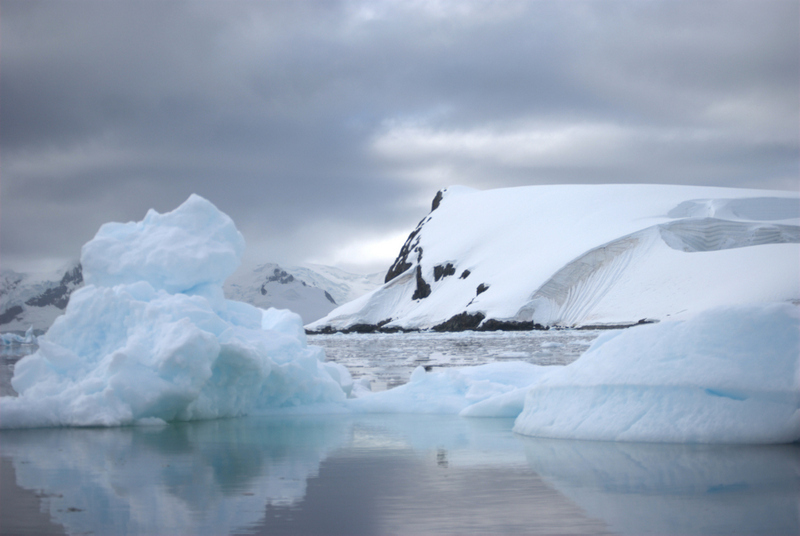 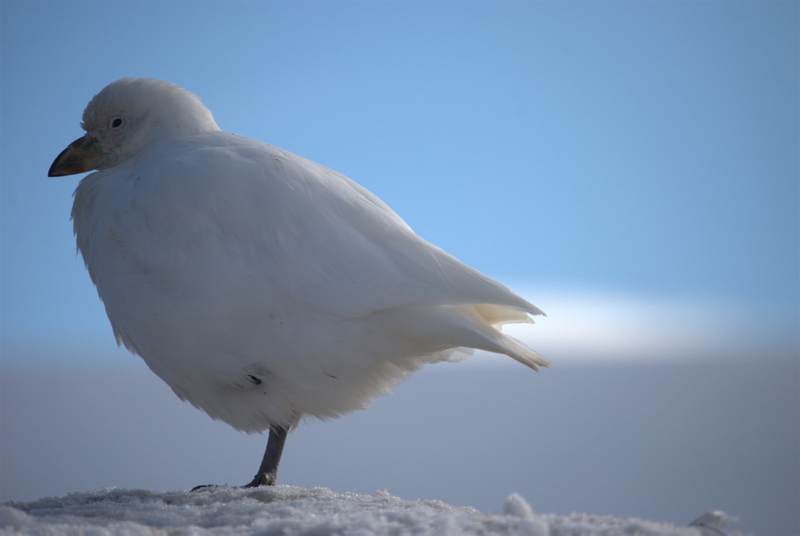 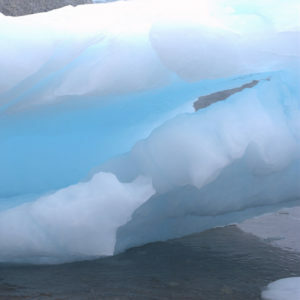 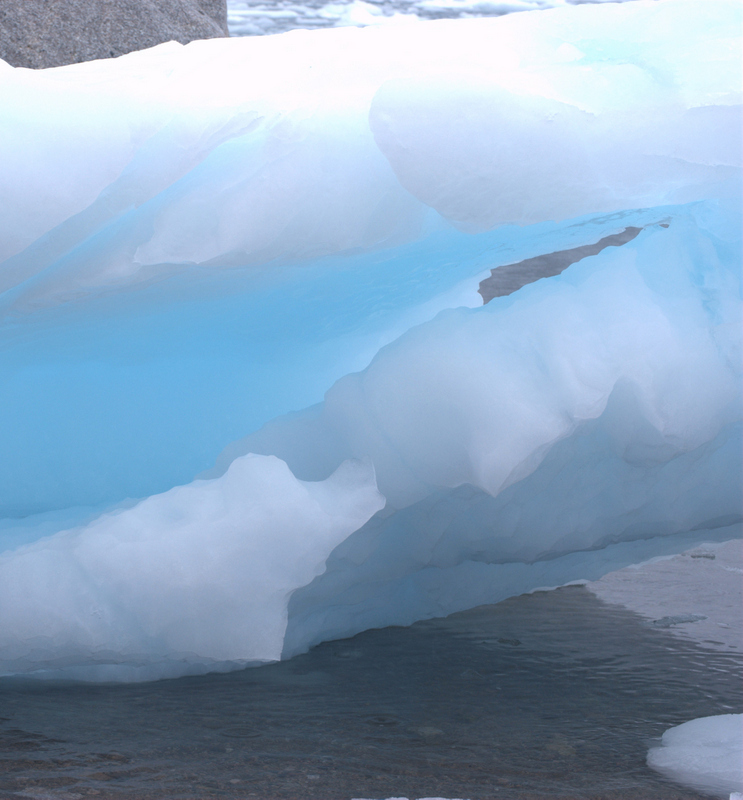 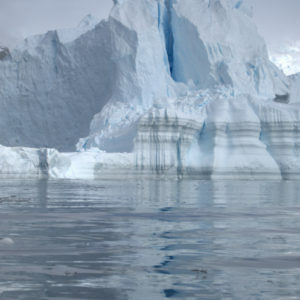 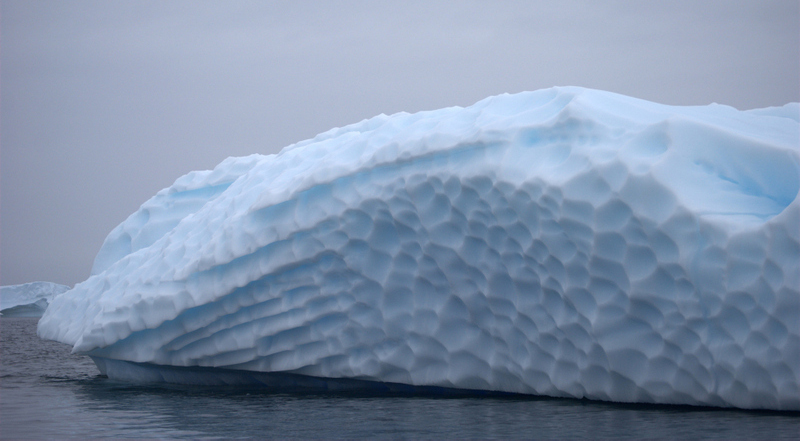 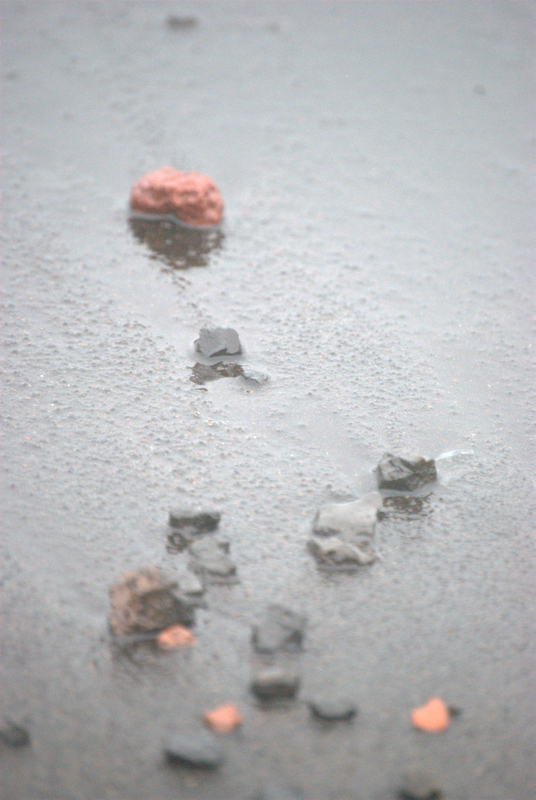 Our zodiac navigated throughout the ice floes like a quiet dance on water. 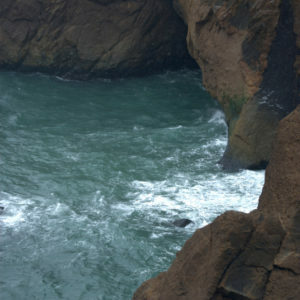 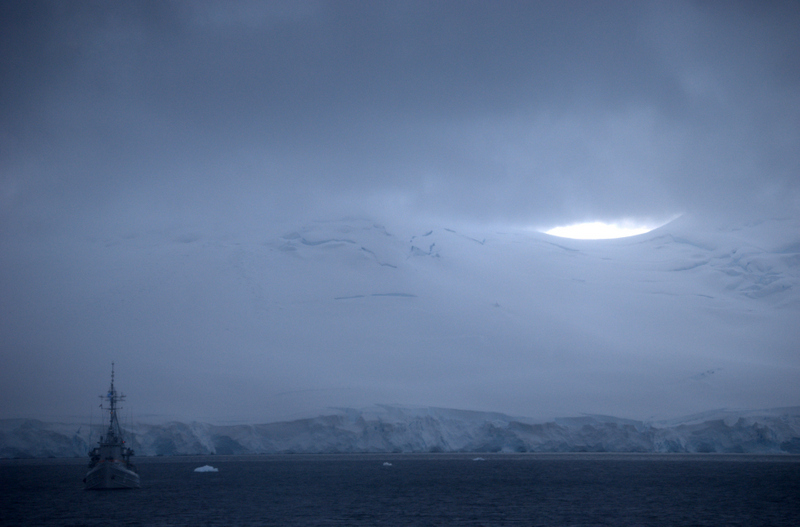 The beauty of this place was surreal and dreamlike. 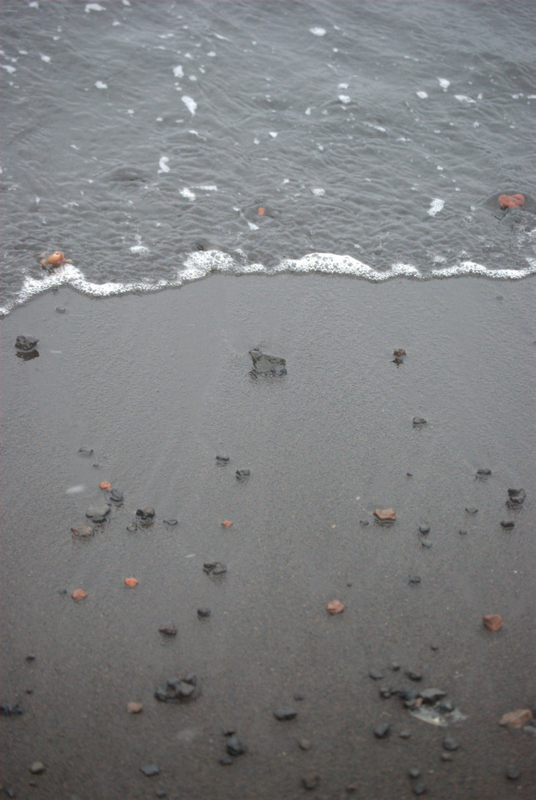 The water was crisp and the air was fresh. 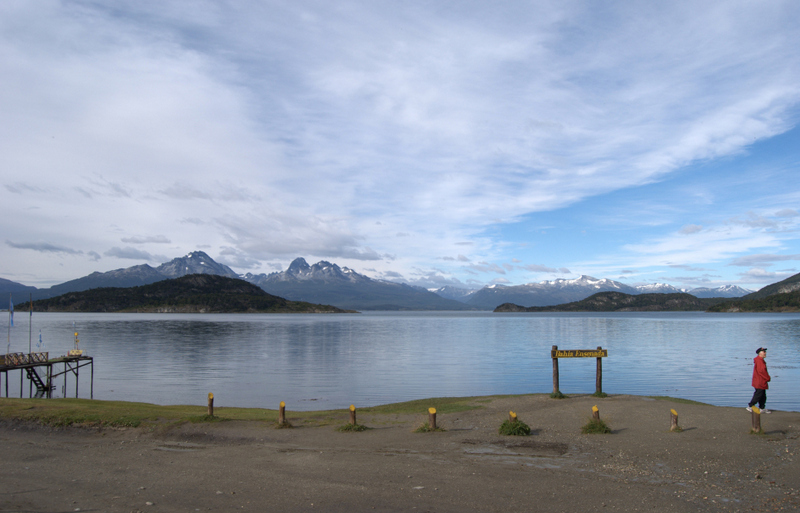 It was so peaceful and untouched that I wished this place would remain just the way it was. 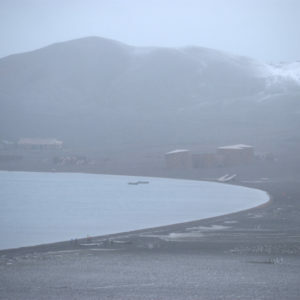 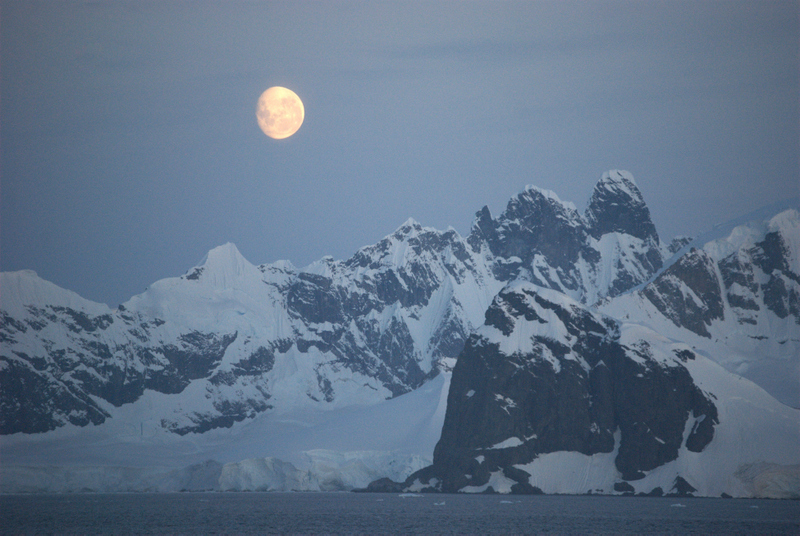 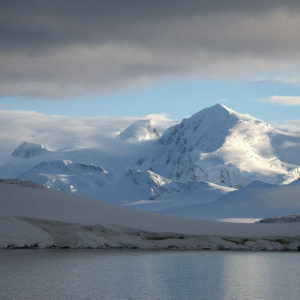 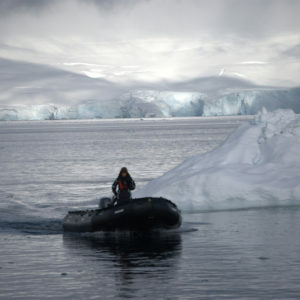 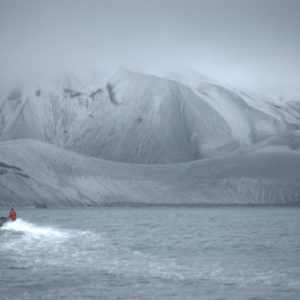 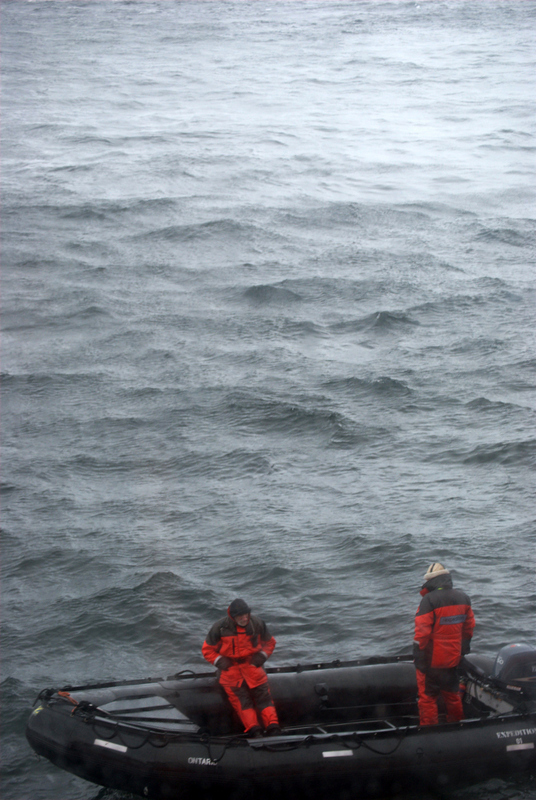 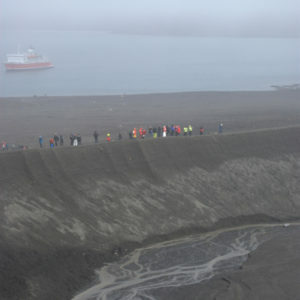 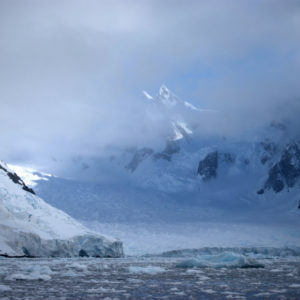 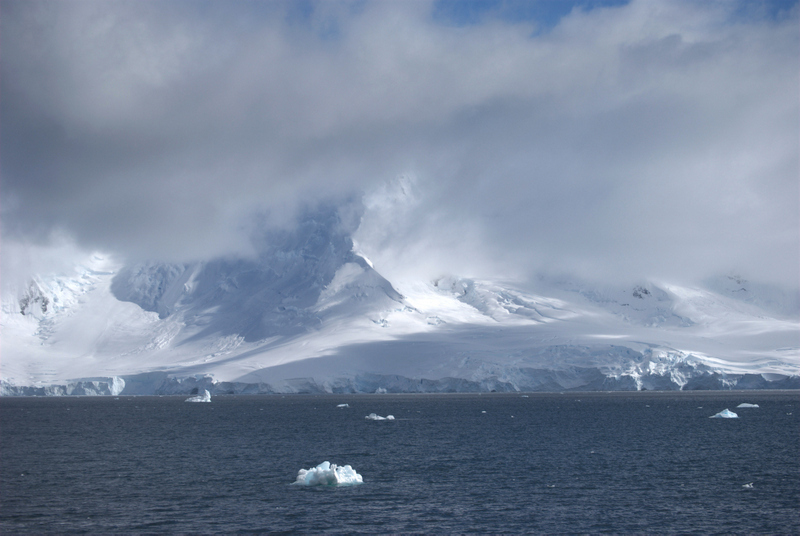 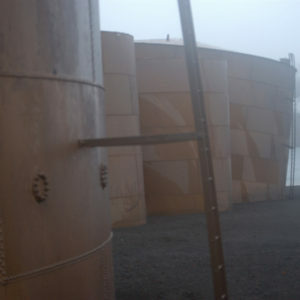 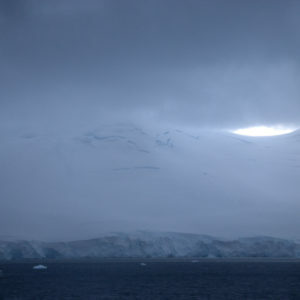 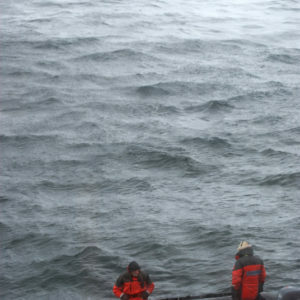 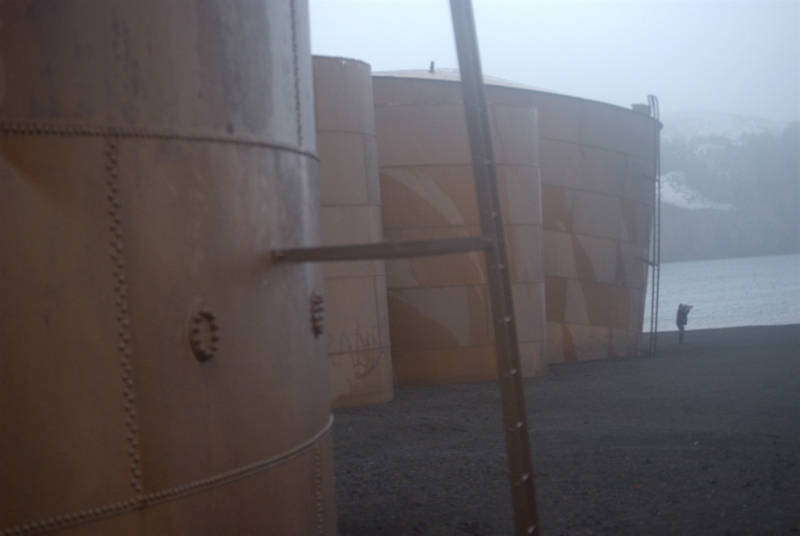 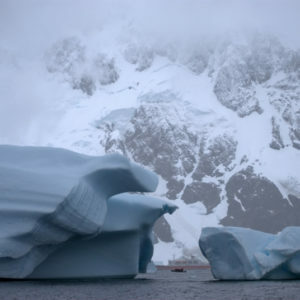 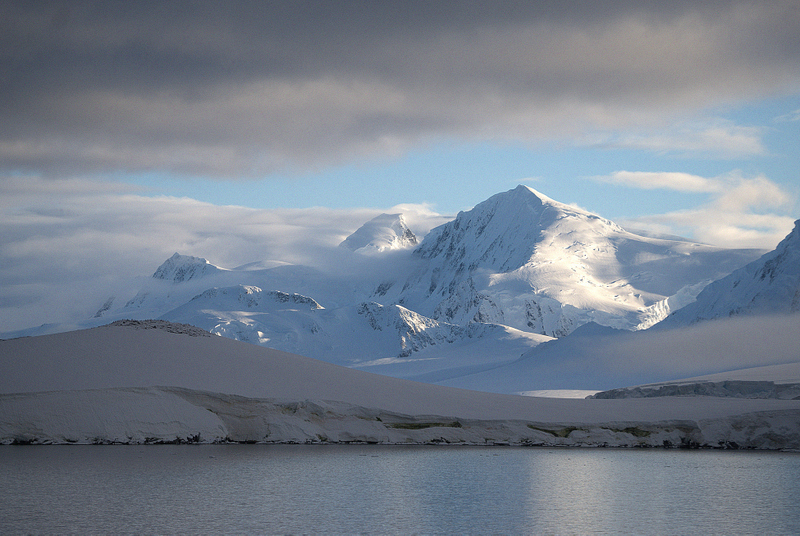 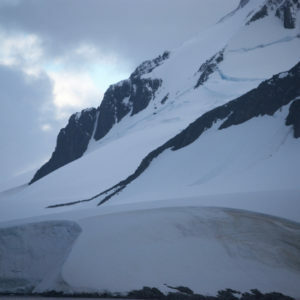 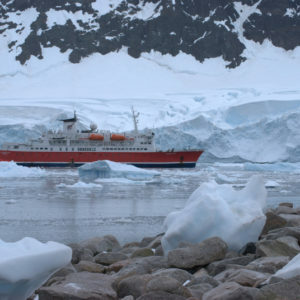 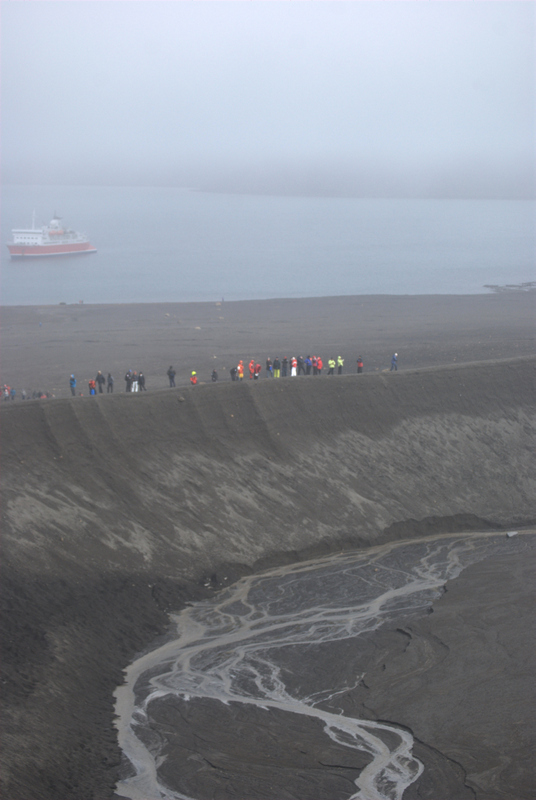 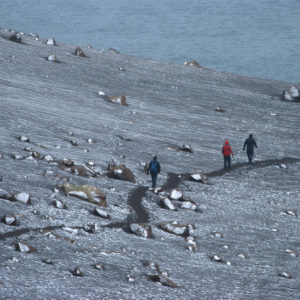 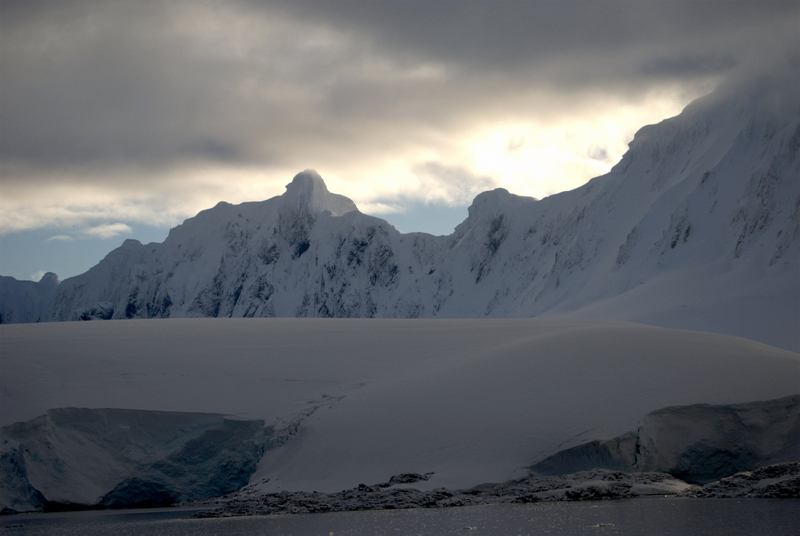 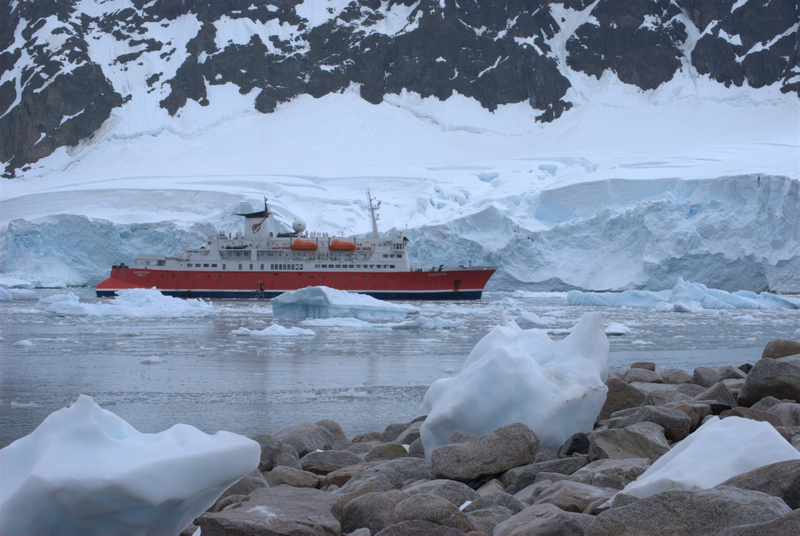 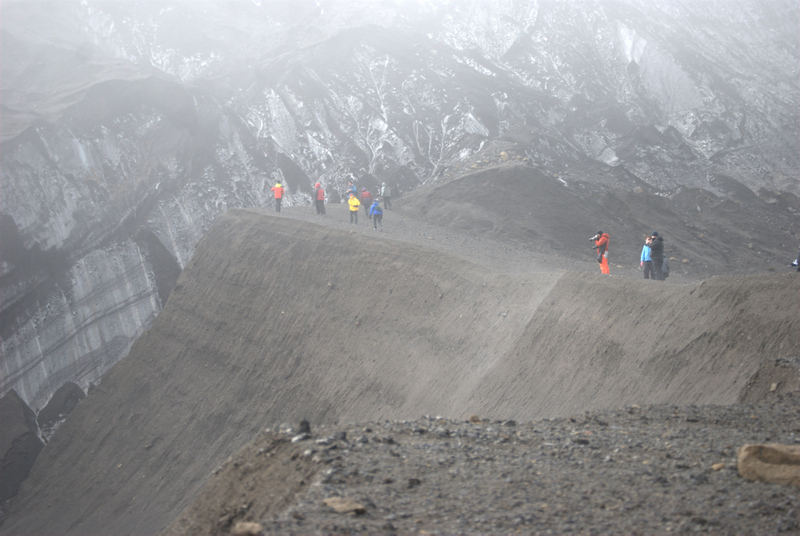 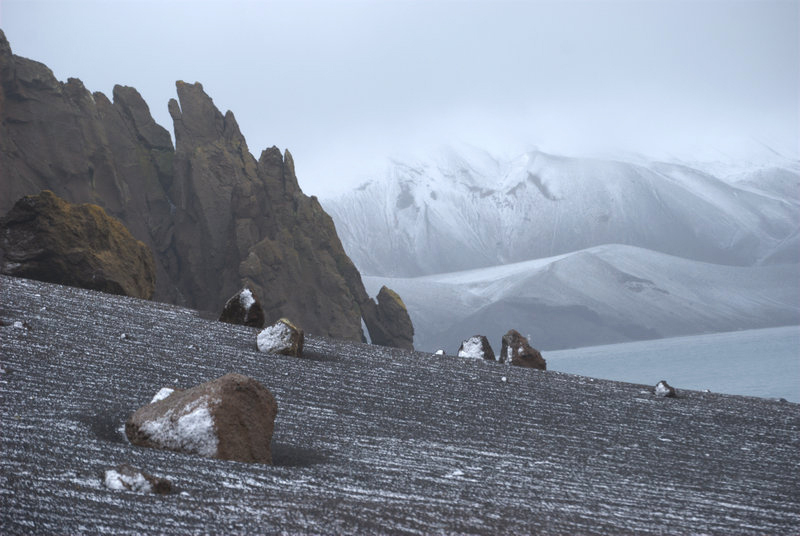 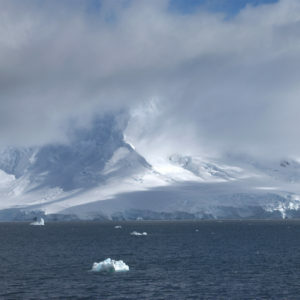 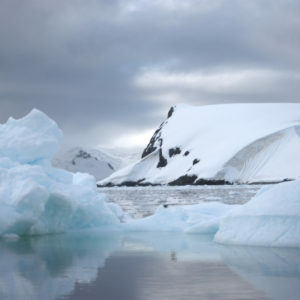 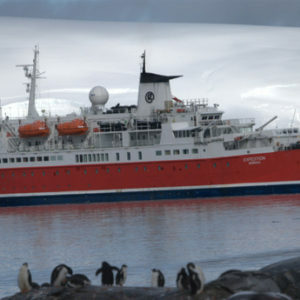 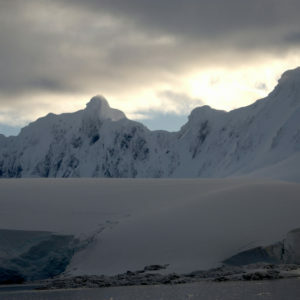 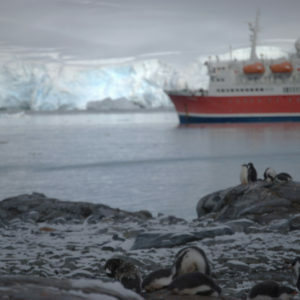 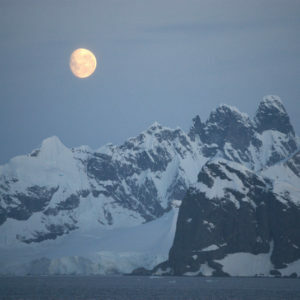 Our crew started our journey on the “7th Continent” at the Aitcho Islands. 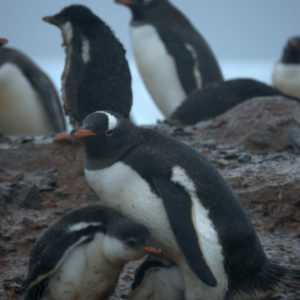 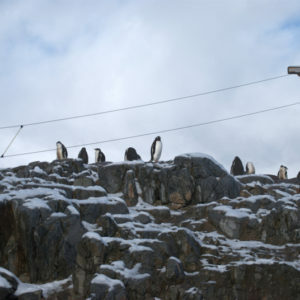 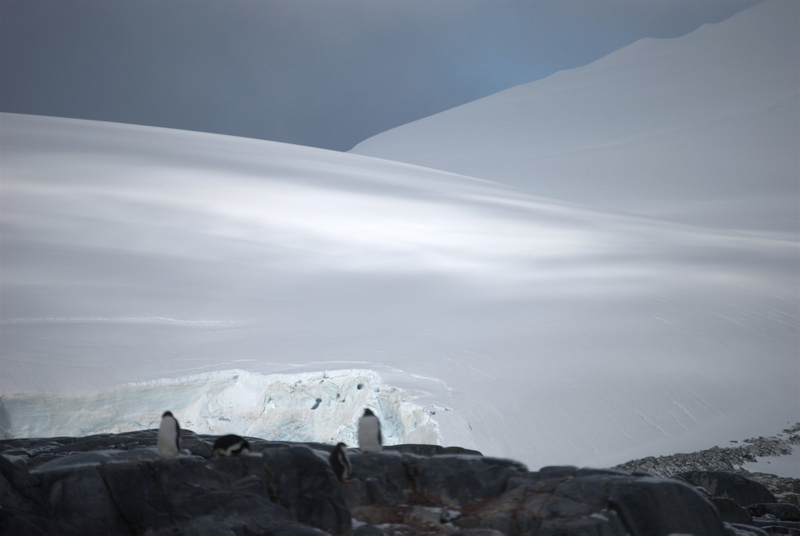 It was Antarctic penguin breeding season. 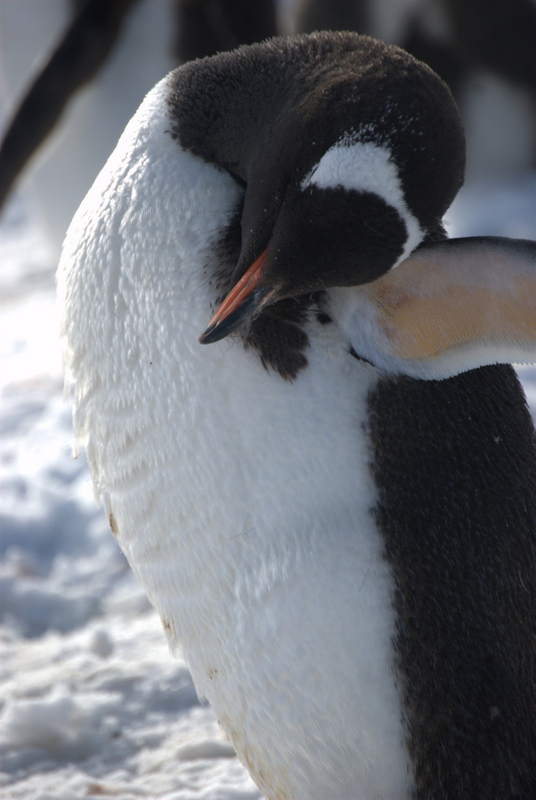 It’s amazing how still penguins can be for long periods. 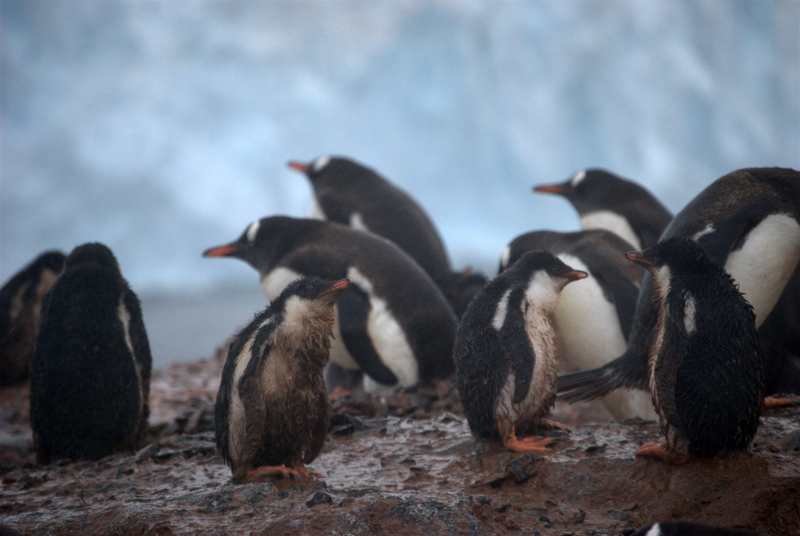 When they stand all together in a group as they did on this island, they were practically like statues. 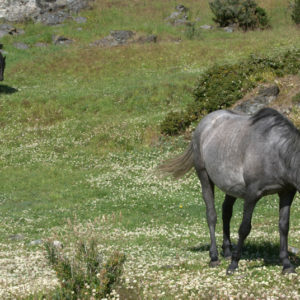 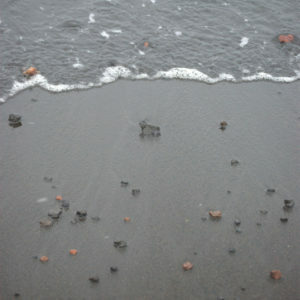 It made taking photographs of them a cinch. 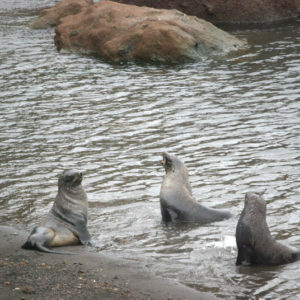 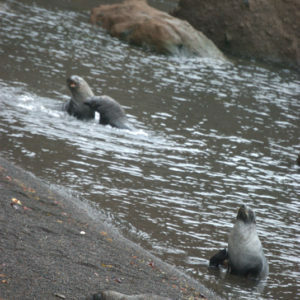 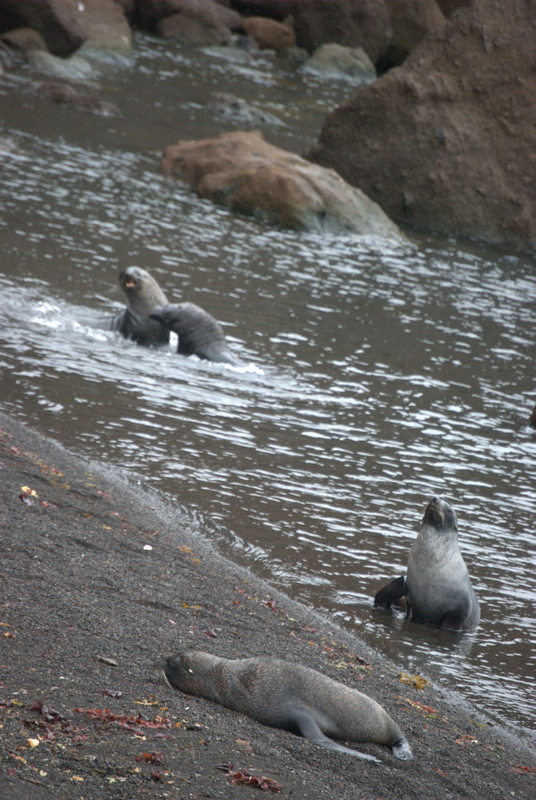 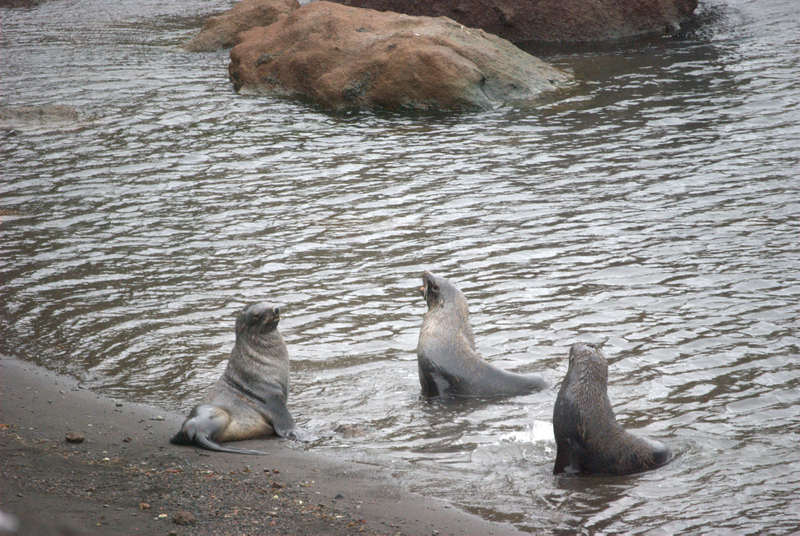 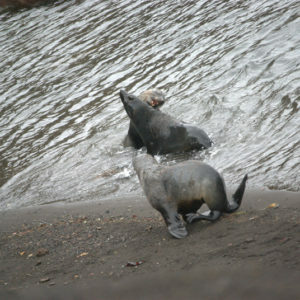 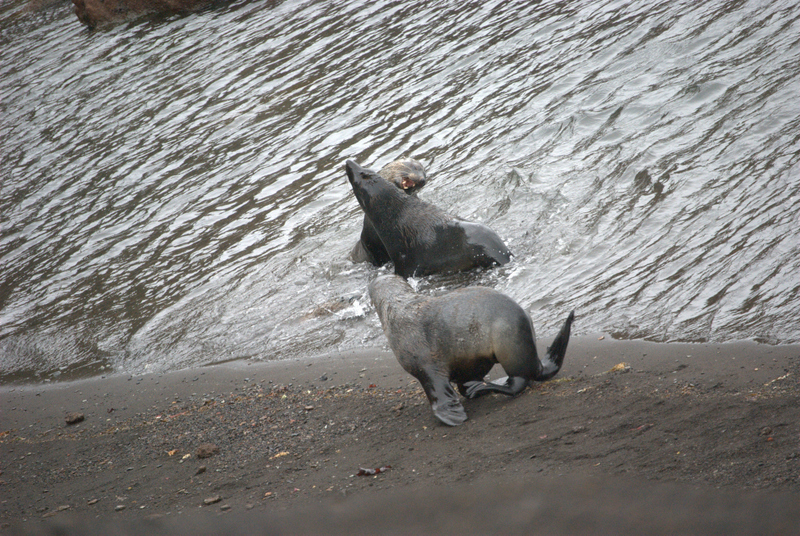 The fur seals here had open wounds and scars likely from fights. 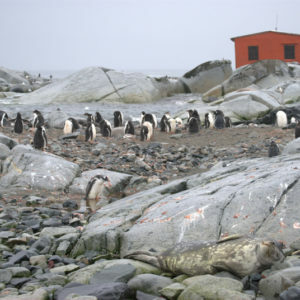 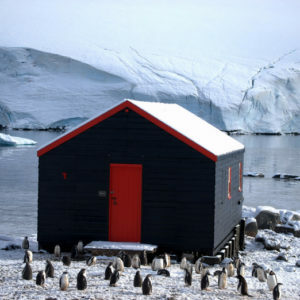 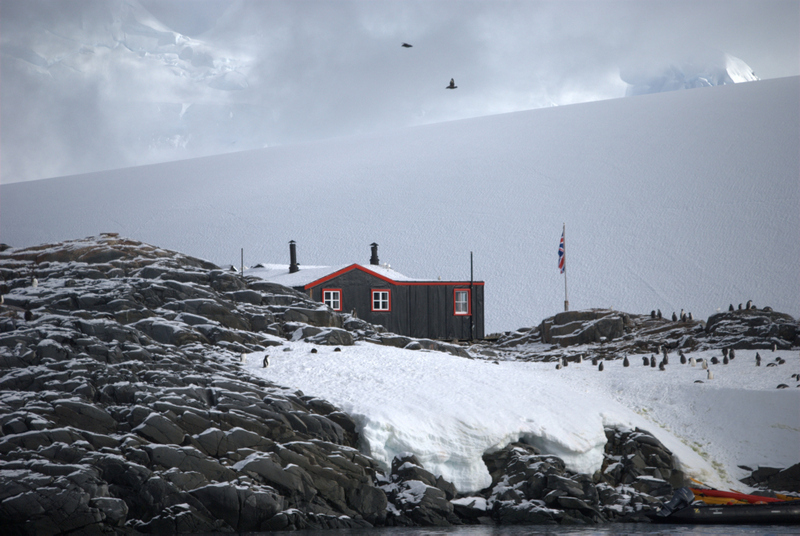 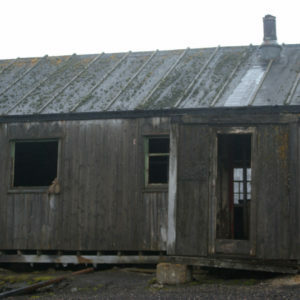 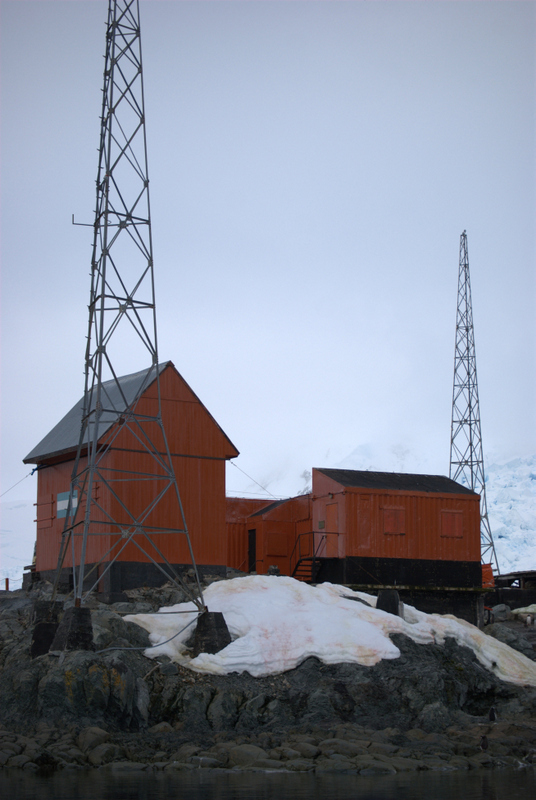 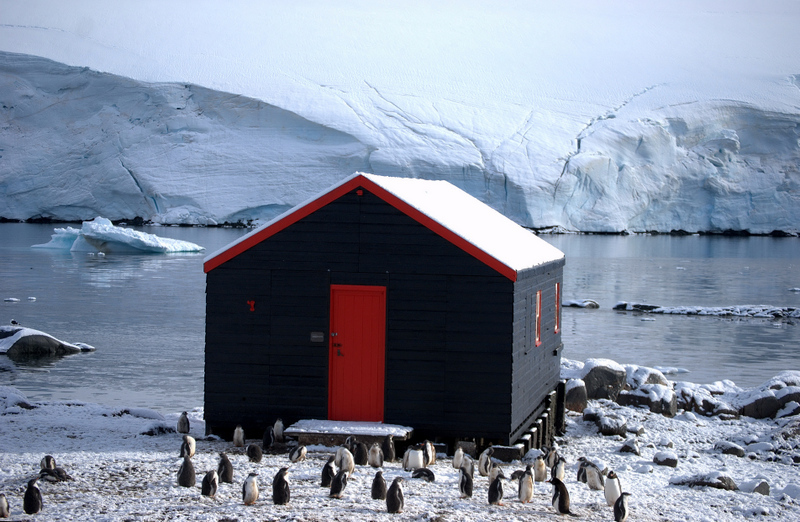 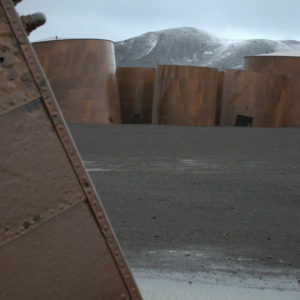 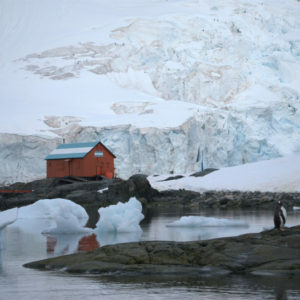 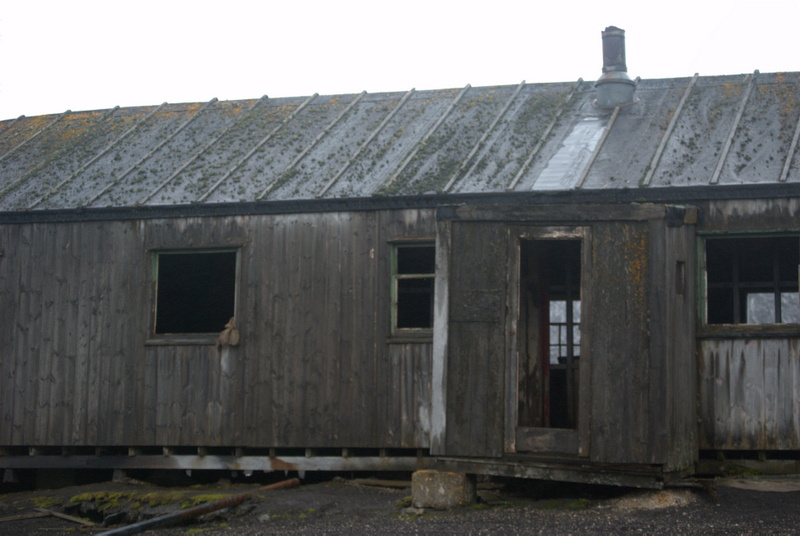 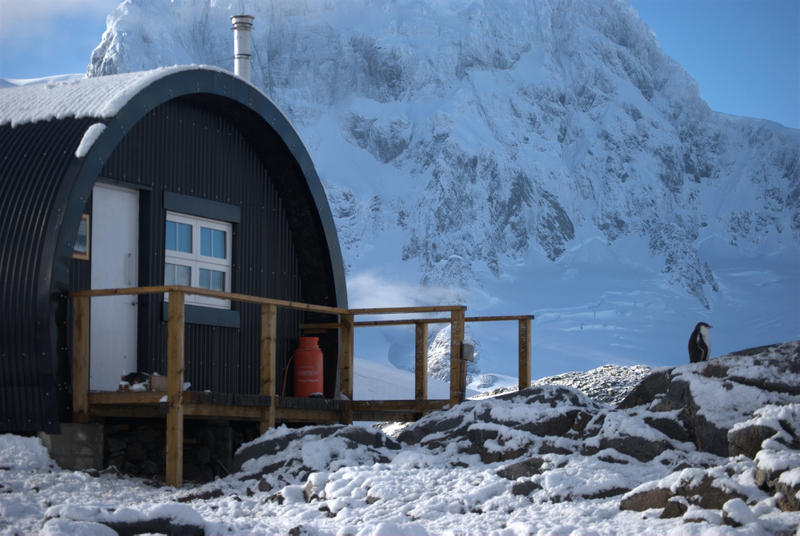 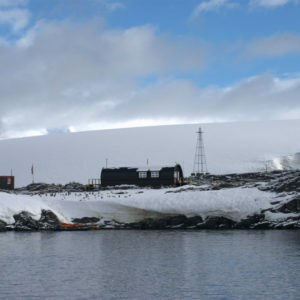 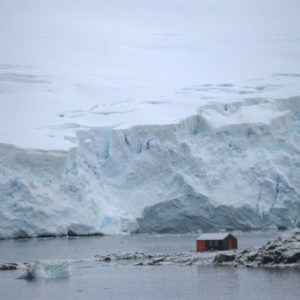 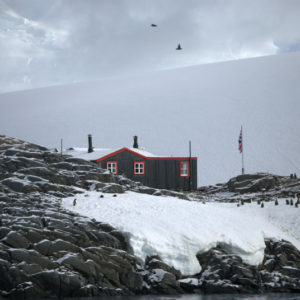 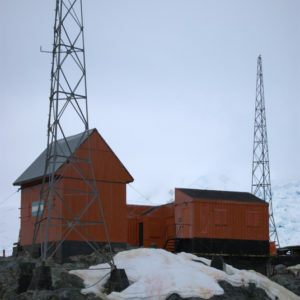 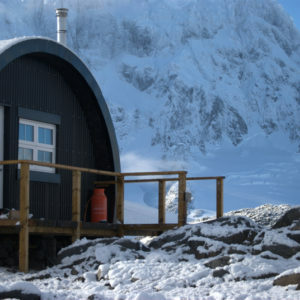 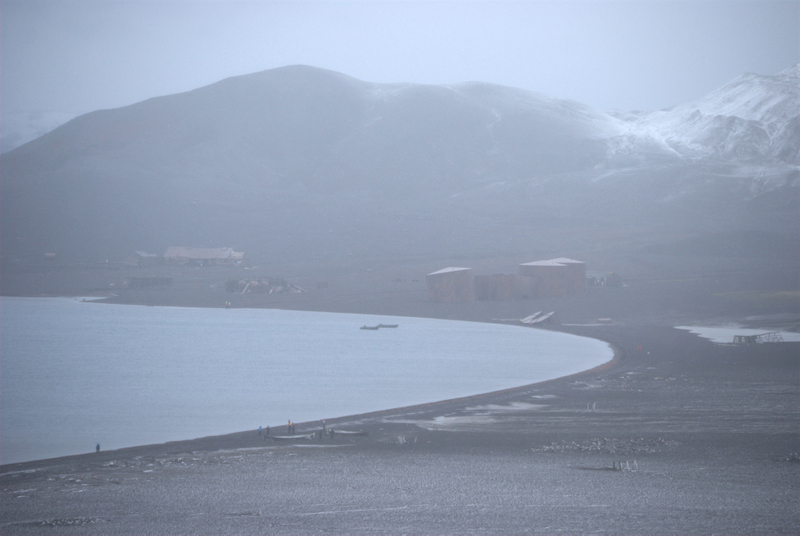 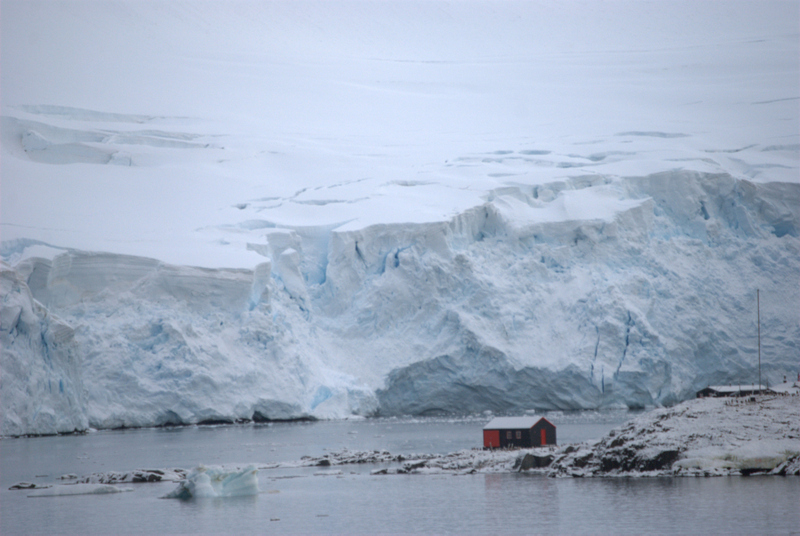 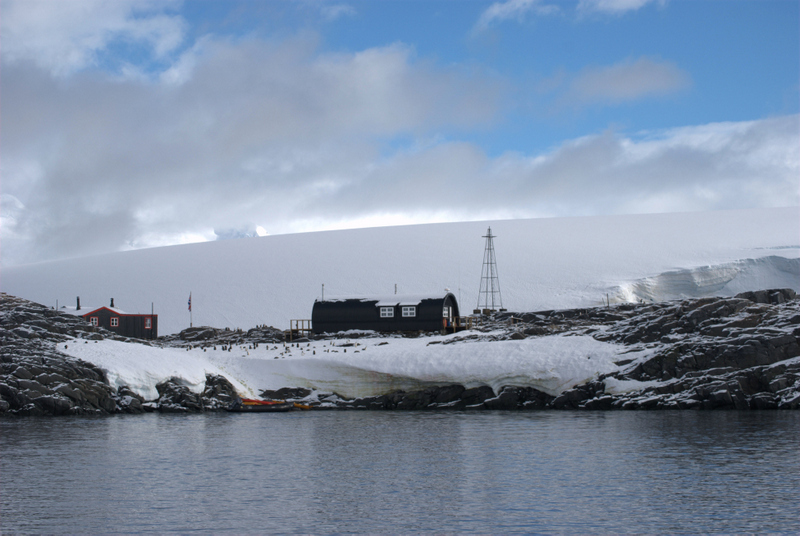 Port Lockroy base on Gouldier Island was the only post office in Antarctica, operated by the United Kingdom Antarctic Heritage Trust. 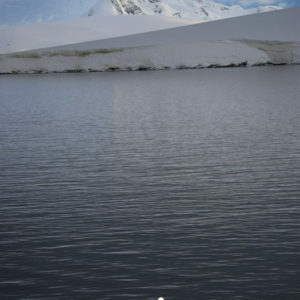 I even had my choice of an Antarctic stamp on my passport. 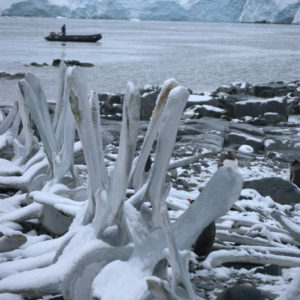 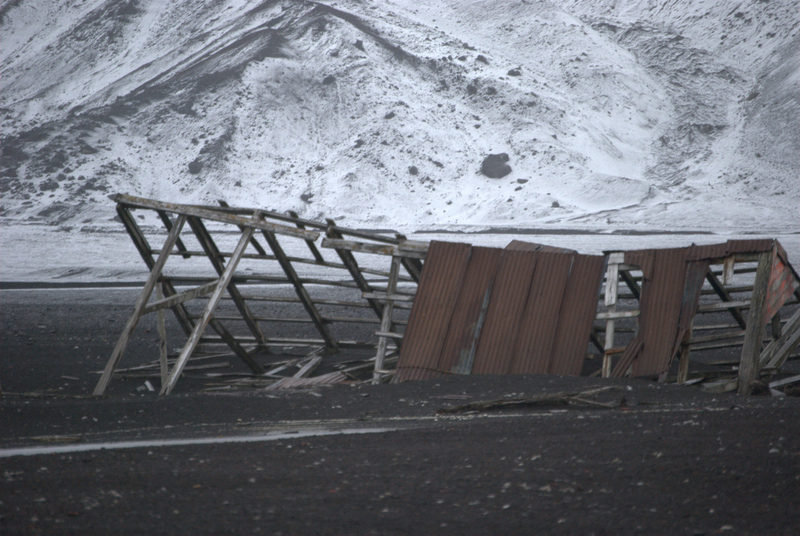 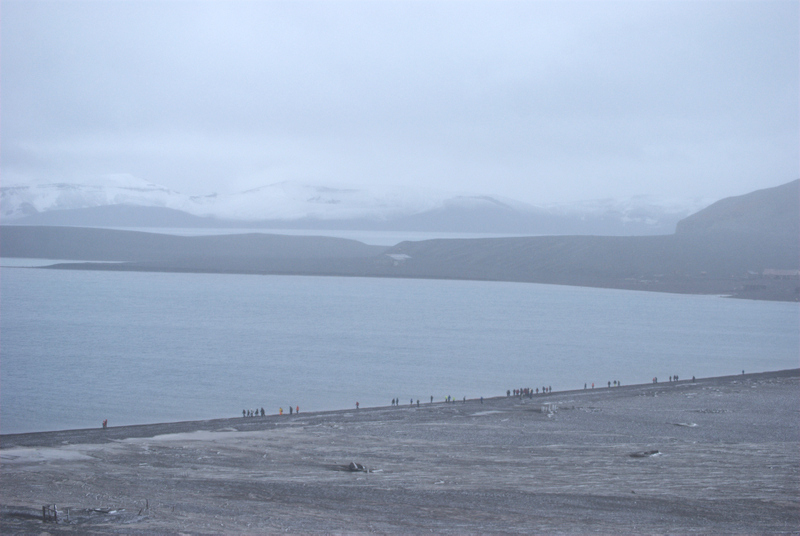 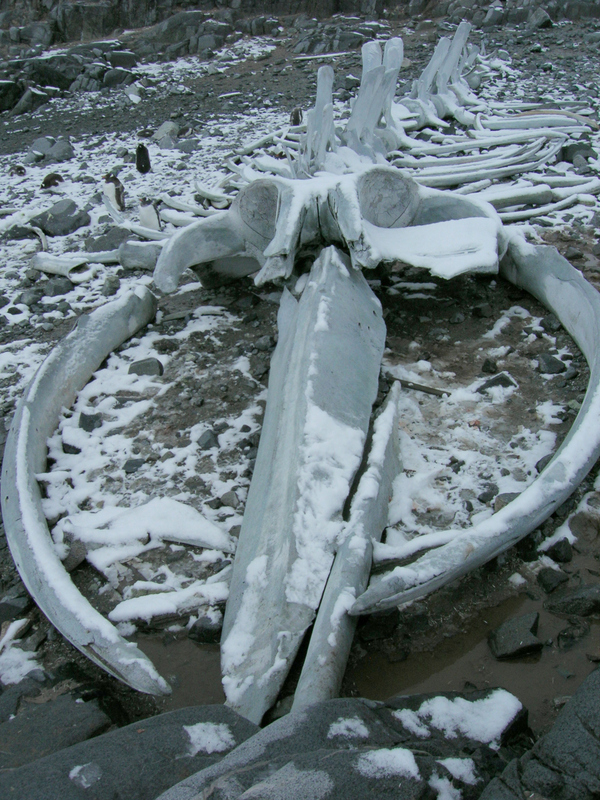 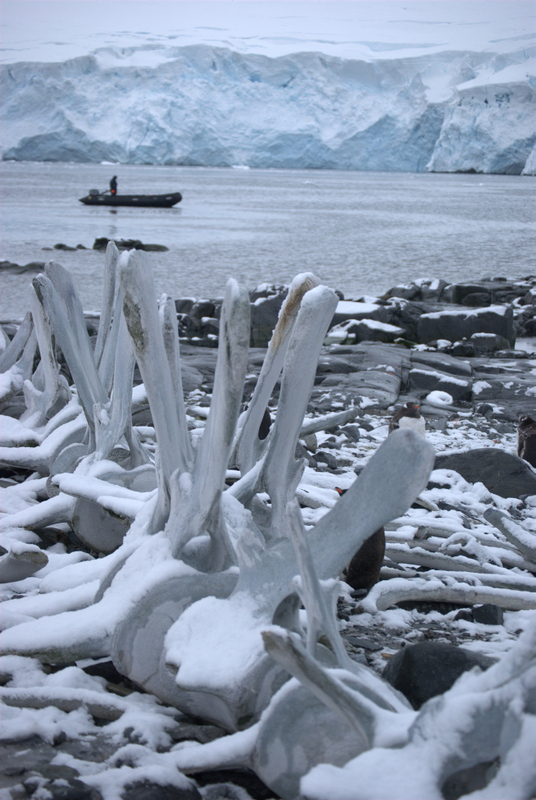 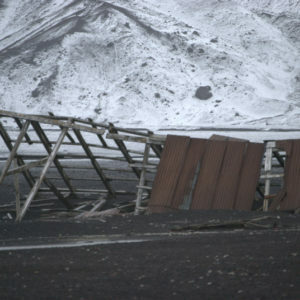 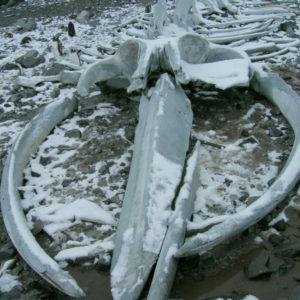 Washed up on shore were whale bones which penguins and humans alike enjoyed lingering around. 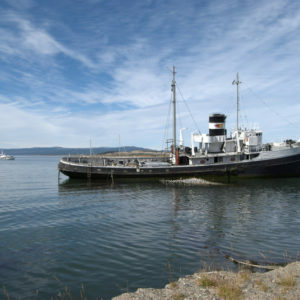 A former whaling station in the early 1900s. 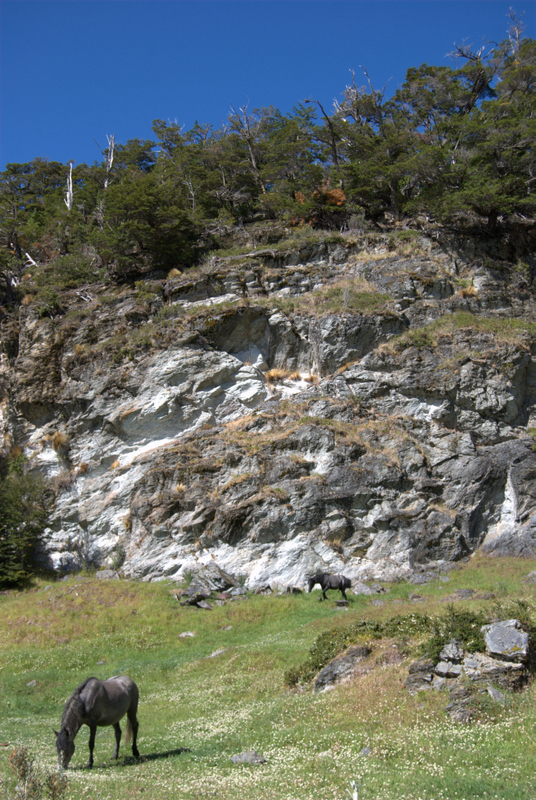 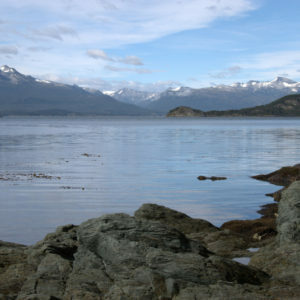 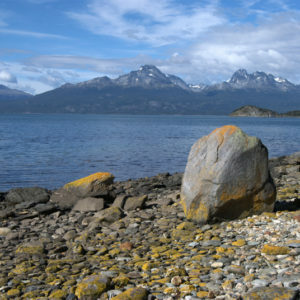 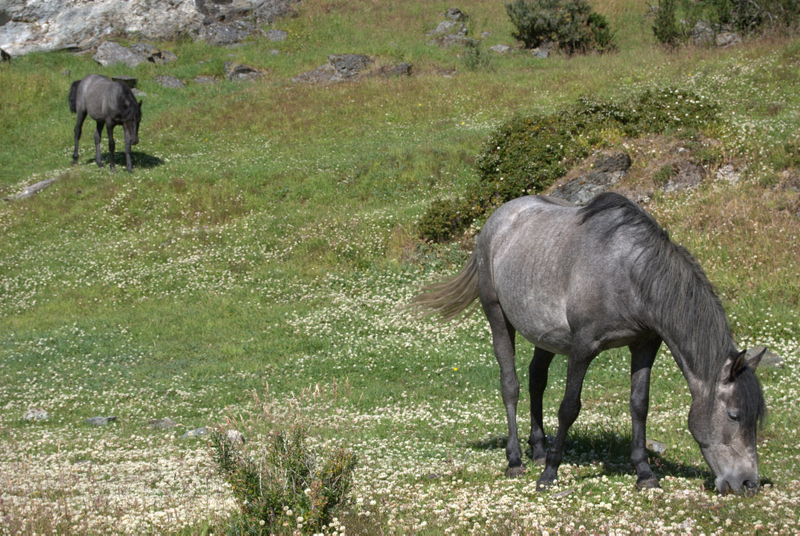 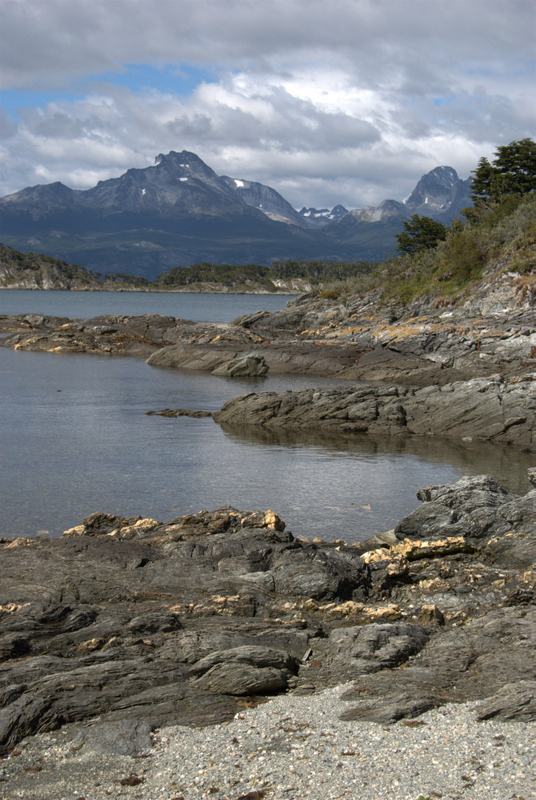 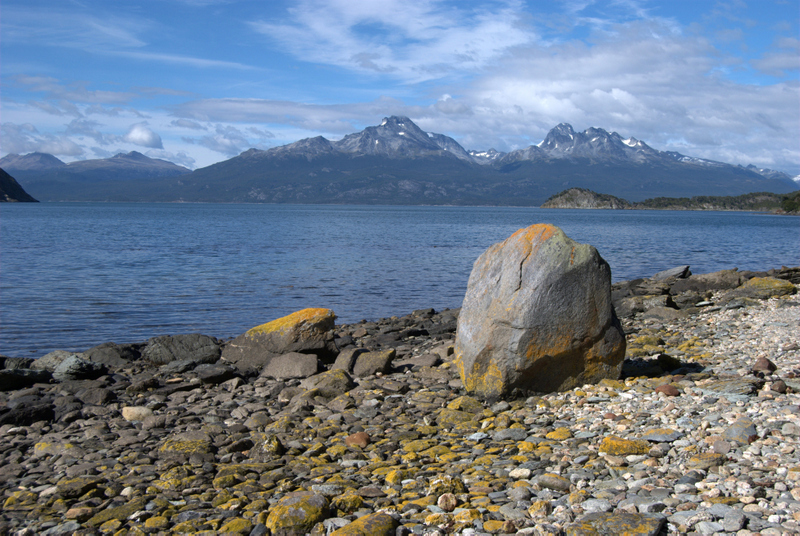 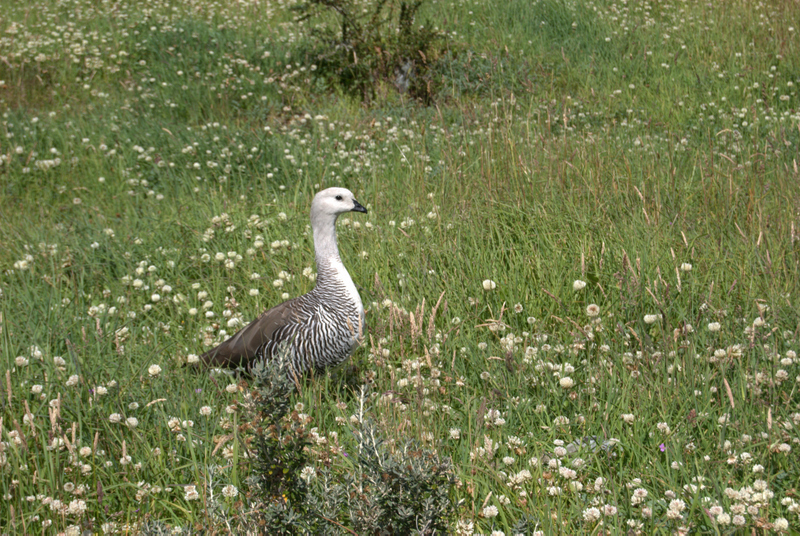 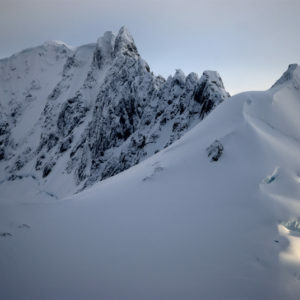 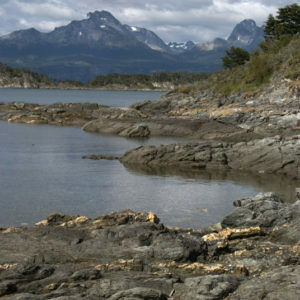 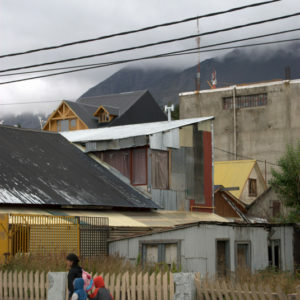 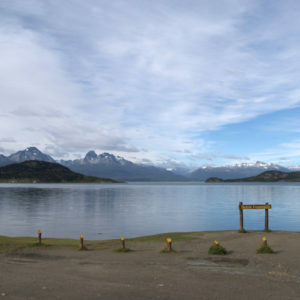 Hiking through Tierra del Fuego National Park revealed panoramic views of Patagonia’s ice capped mountains and nomad hunter-gatherers’ settlements. 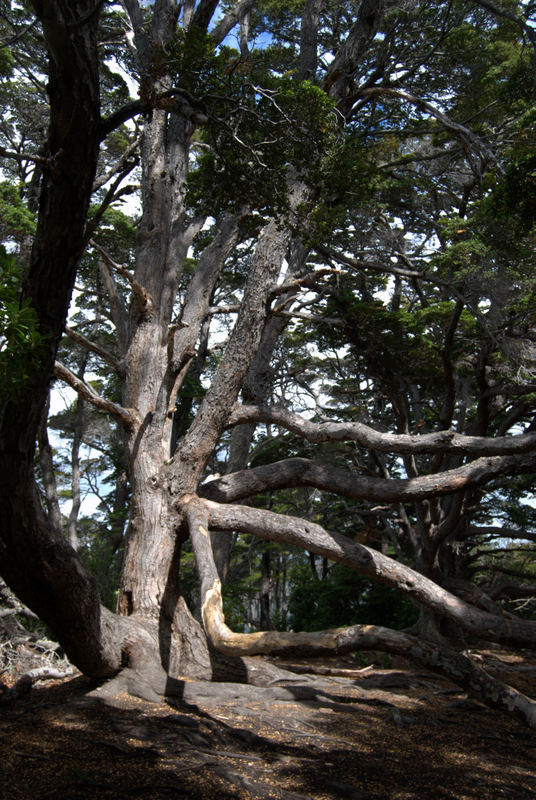 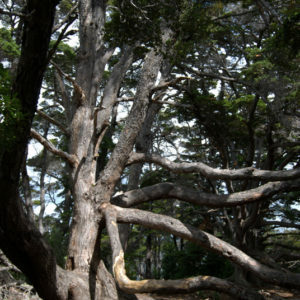 The hiking trail was hands down one of the best ones I have ever taken. 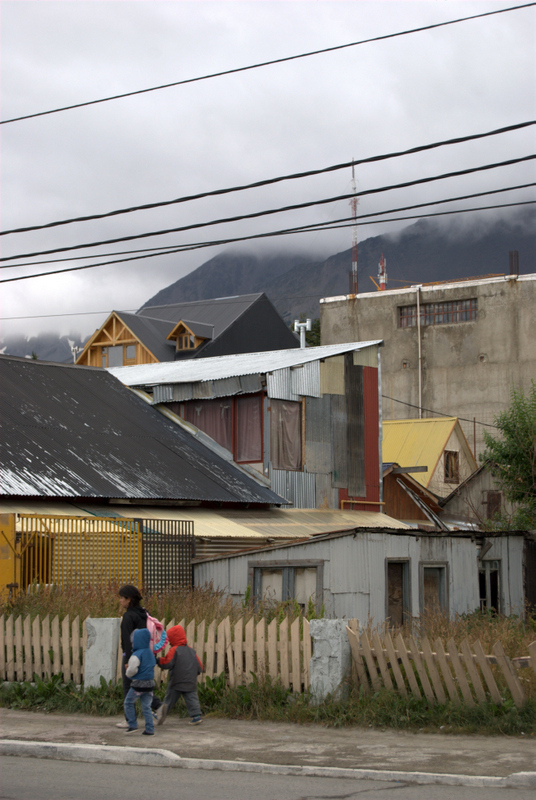 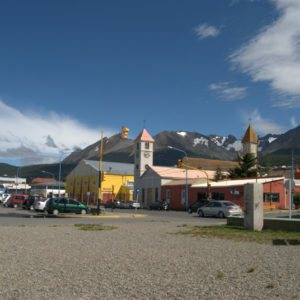 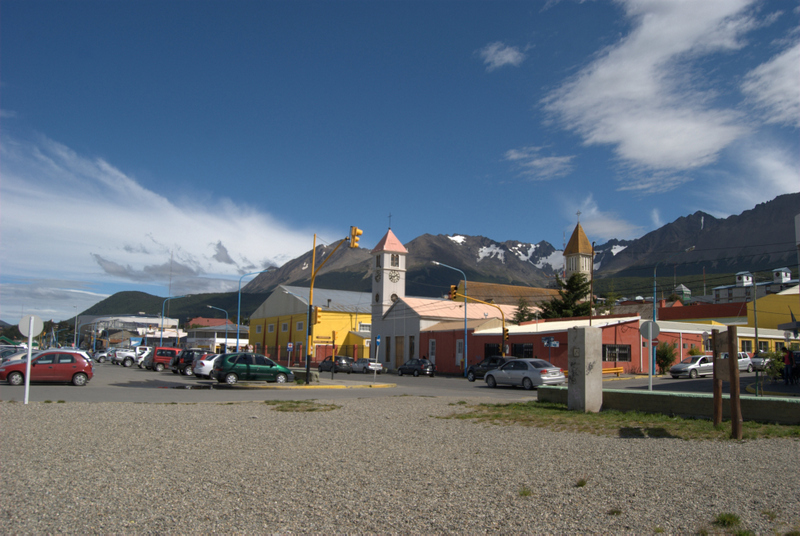 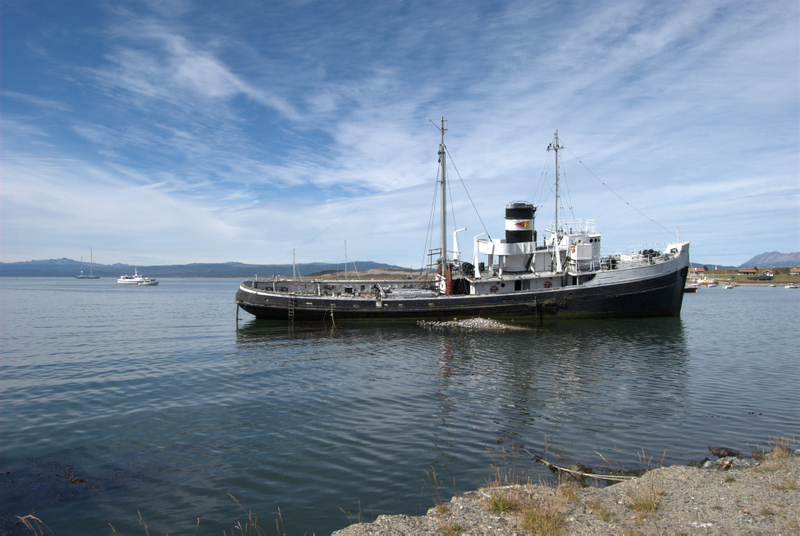 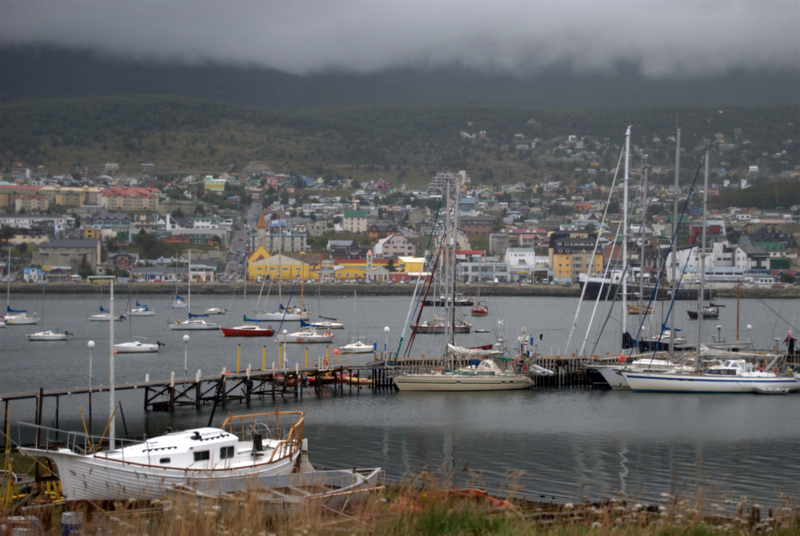 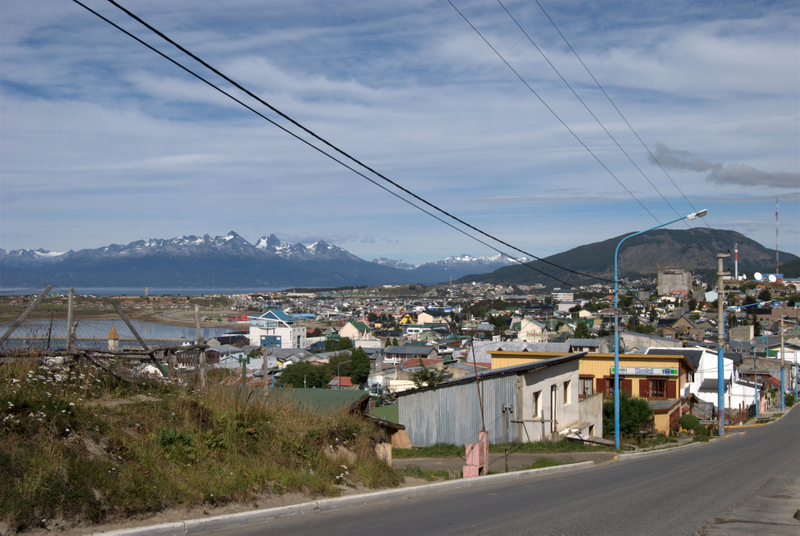 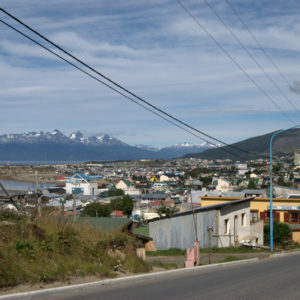 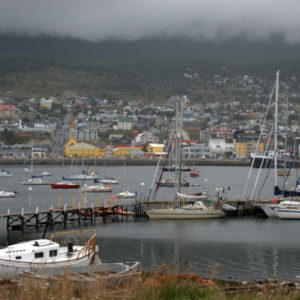 Ushuaia is simply one of the best cities I’ve ever seen, partly due to its stunning views from the port. 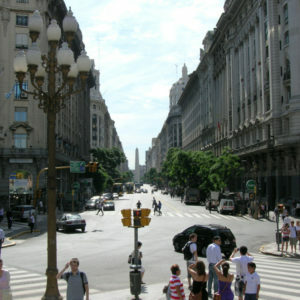 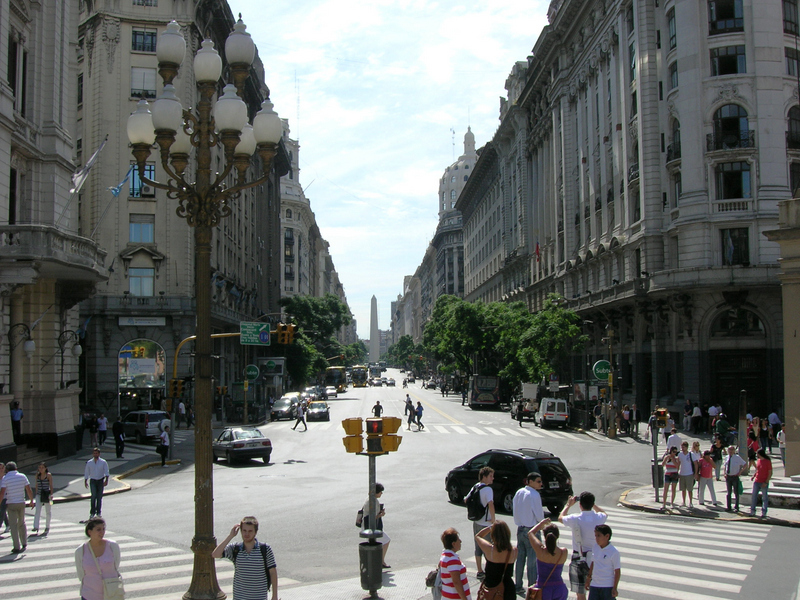 Their small shops and closely packed houses make taking a stroll around the block very enjoyable. 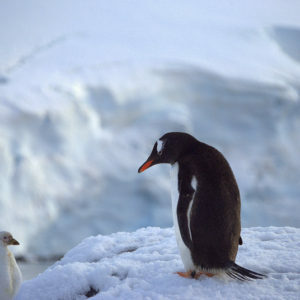 Your pictures are Magnificent! 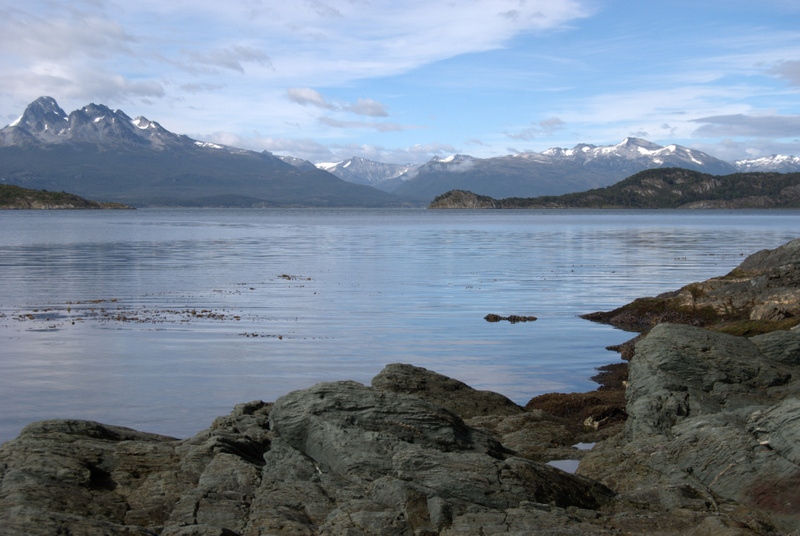 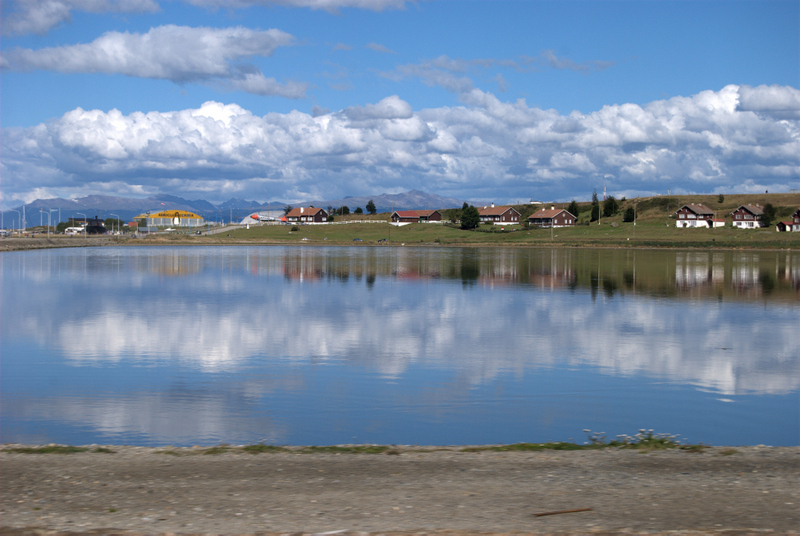 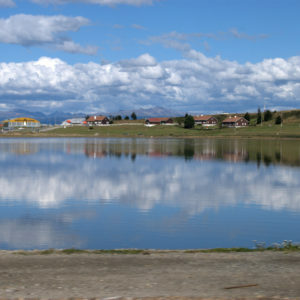 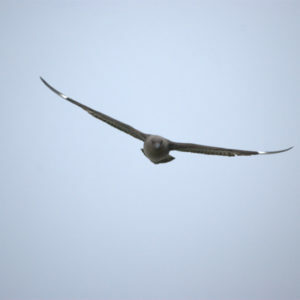 You have shown pictures of God’s country that man has not defiled. 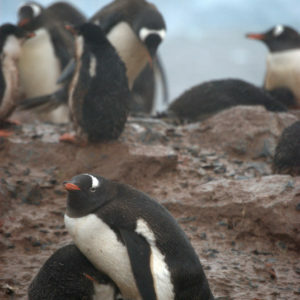 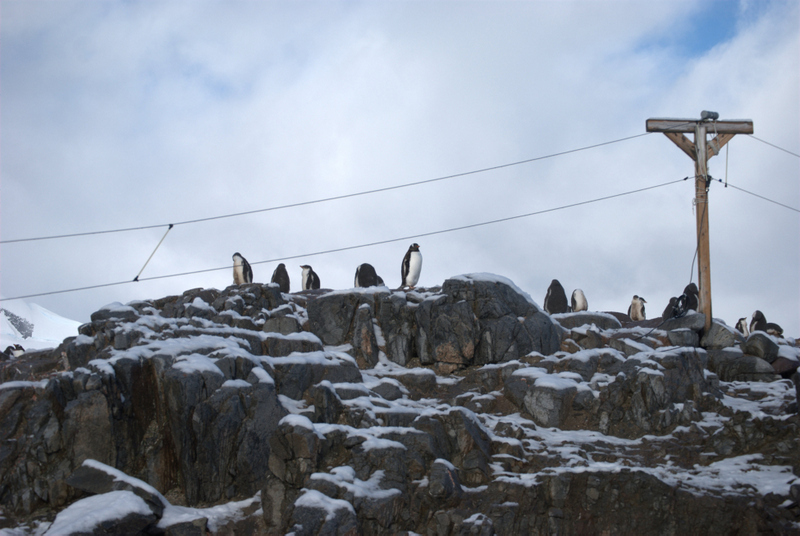 The fact that the Penguins posed for you are wonderful as well. 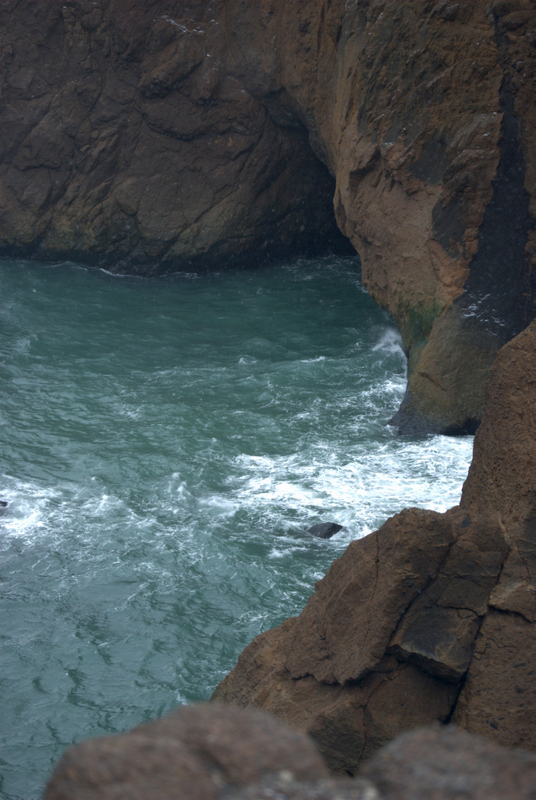 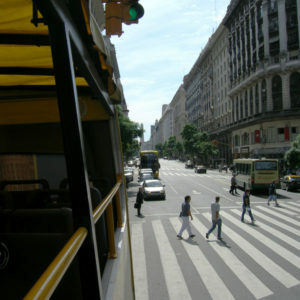 The fear of man was not present and I truly hope that it will never be.